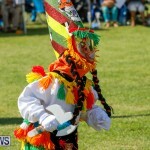 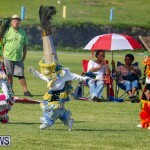 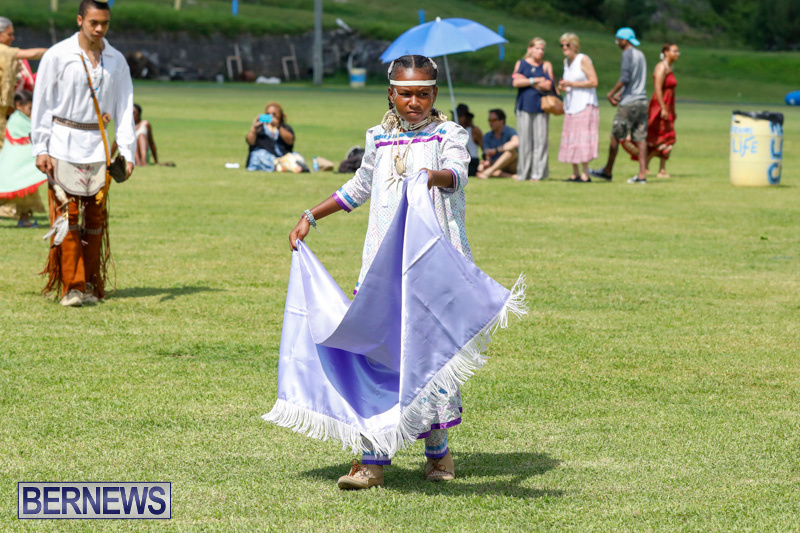 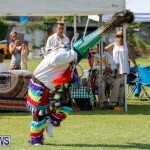 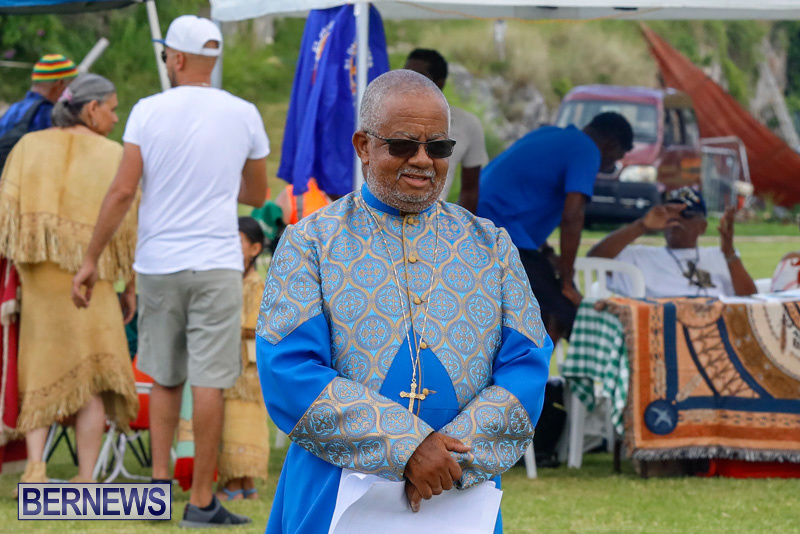 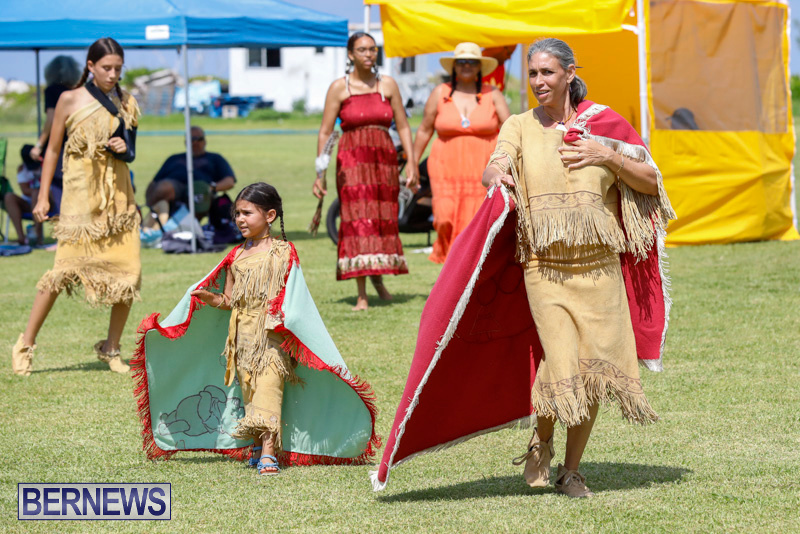 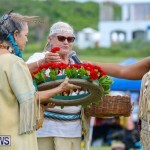 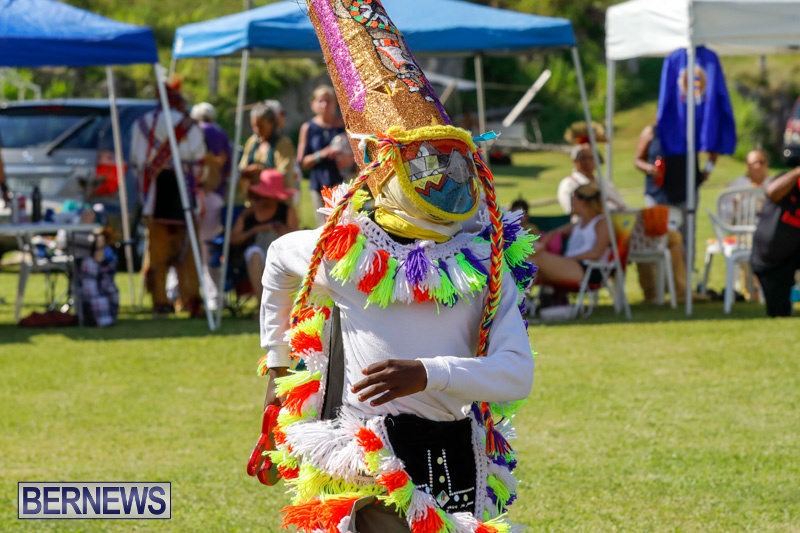 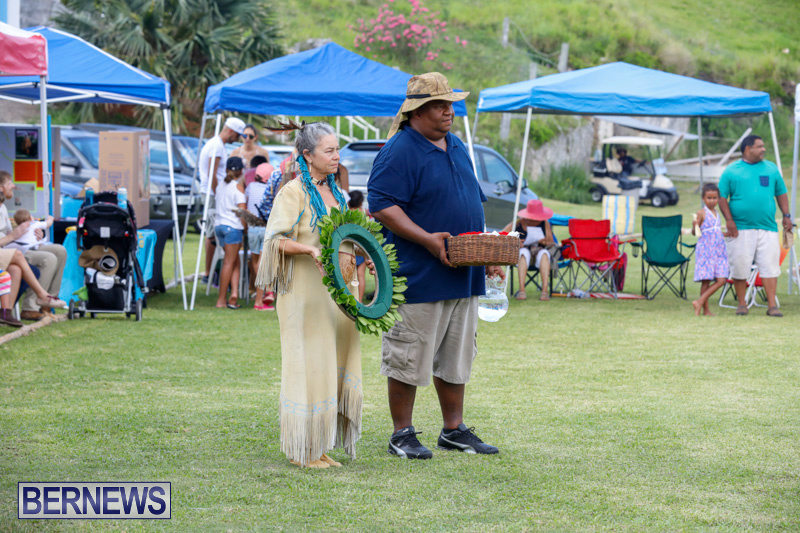 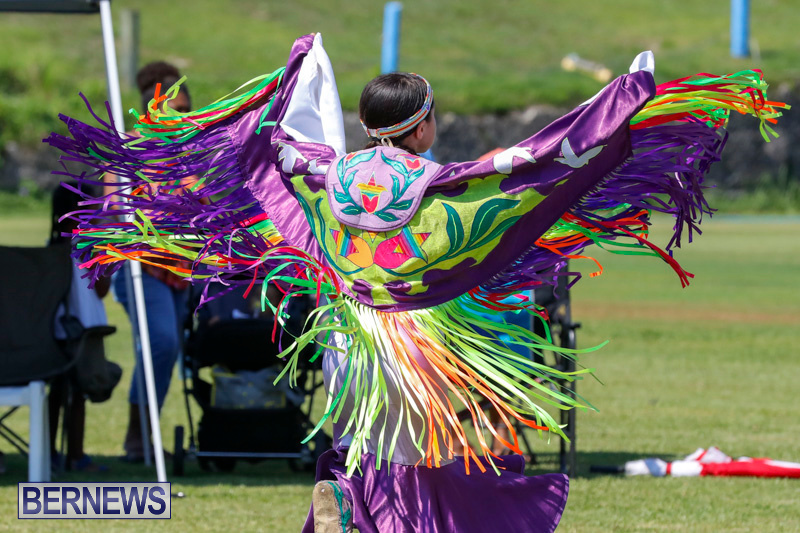 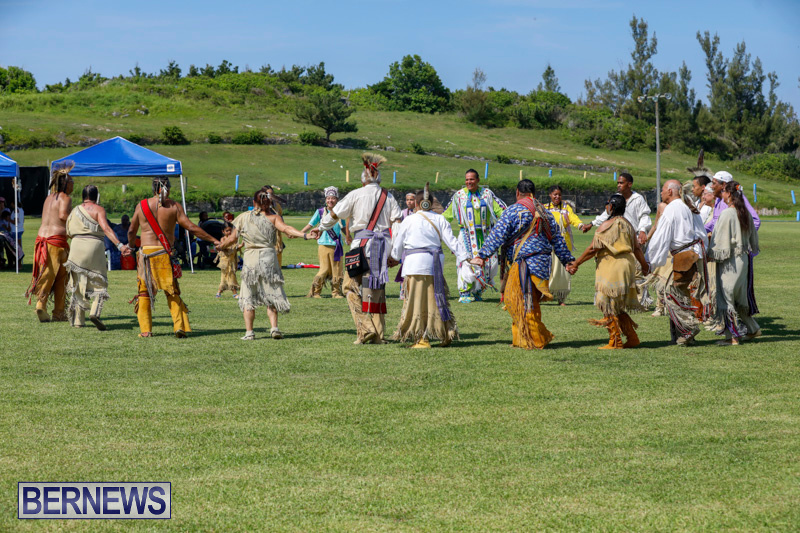 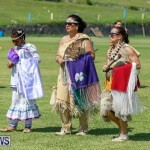 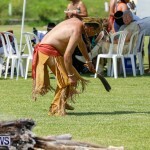 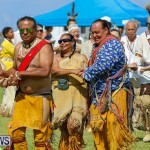 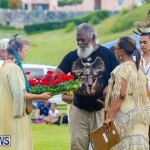 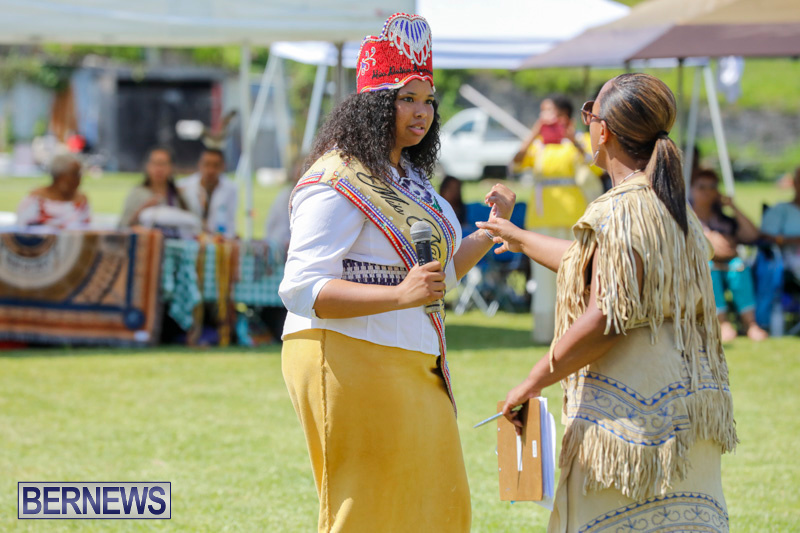 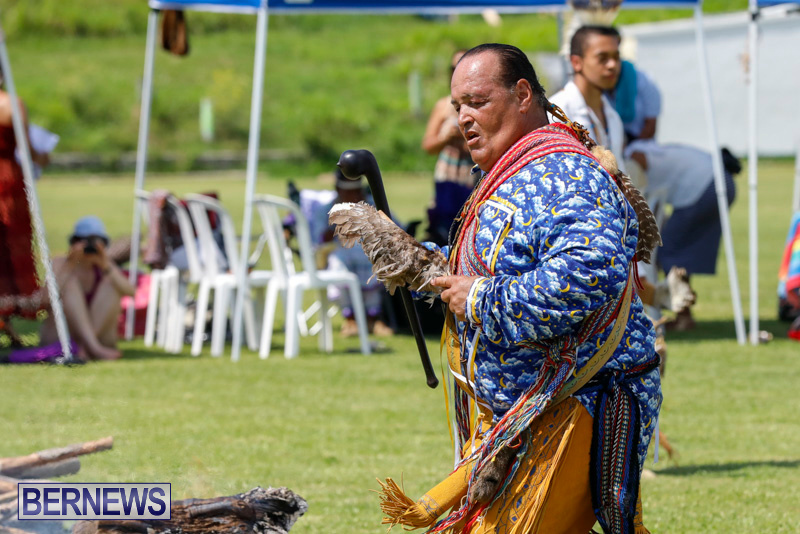 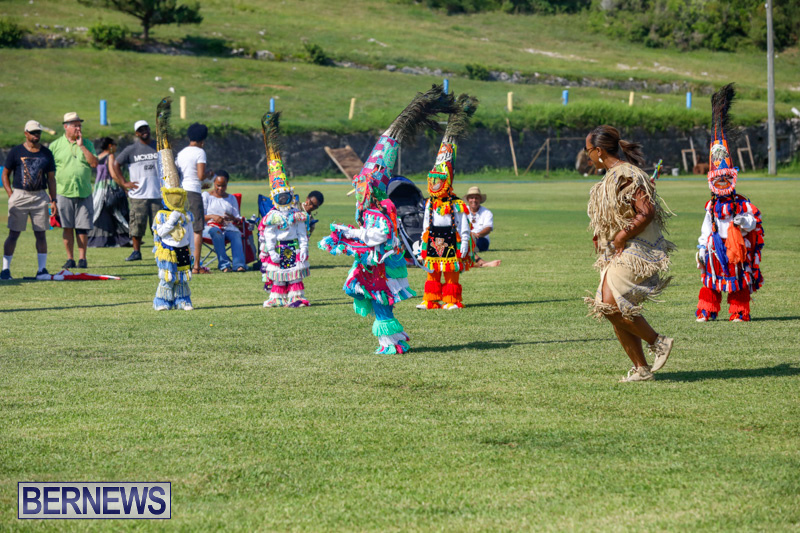 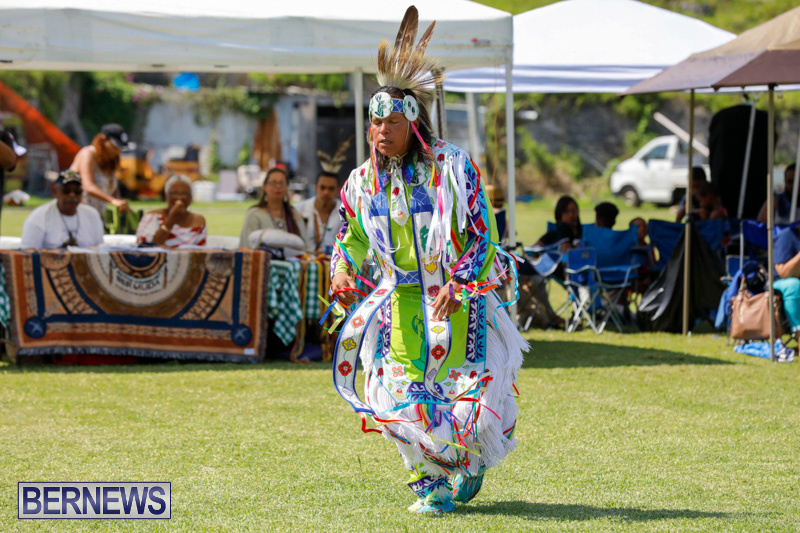 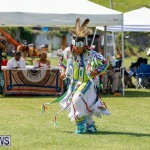 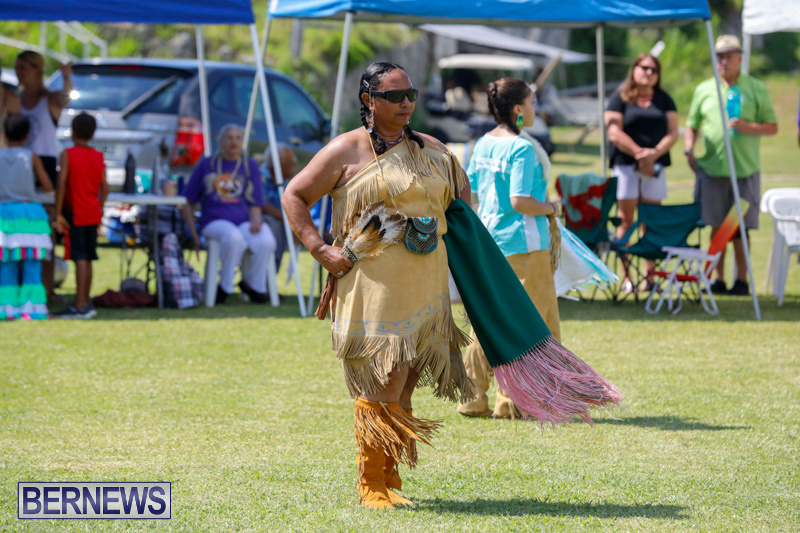 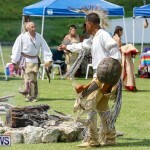 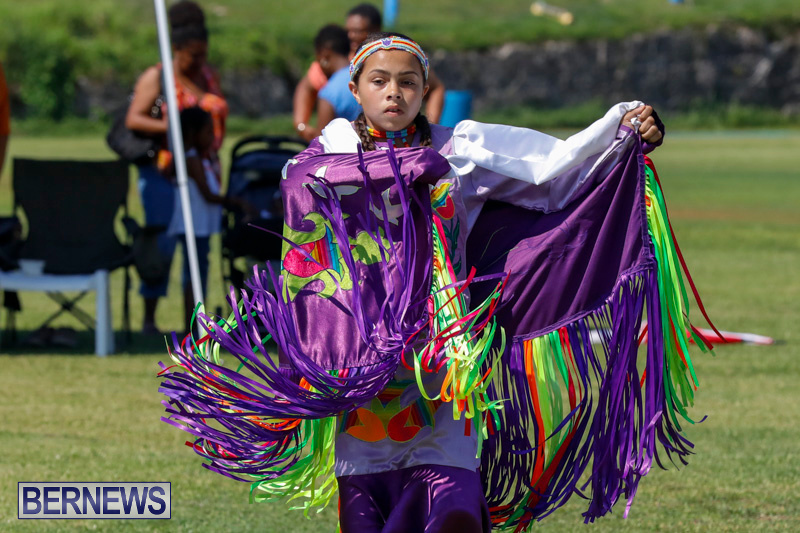 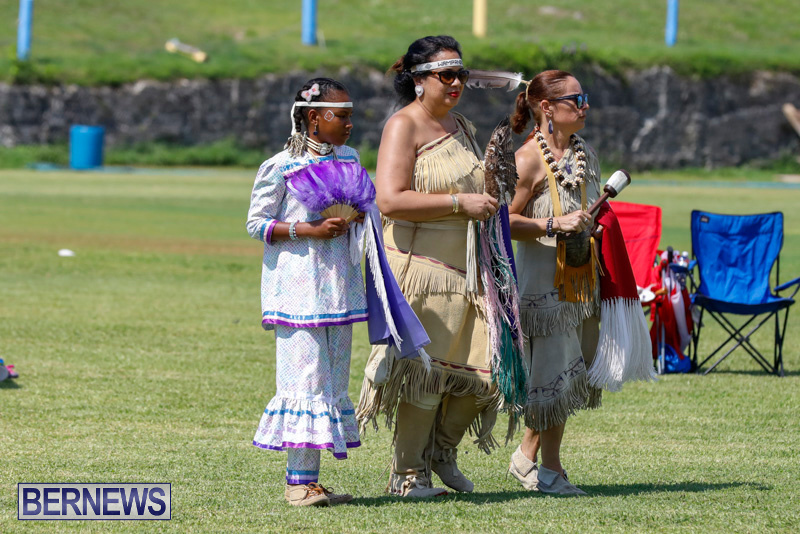 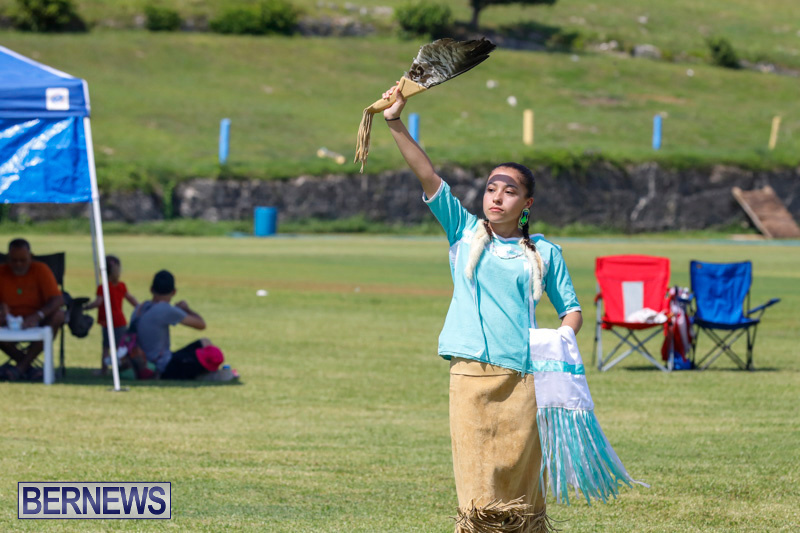 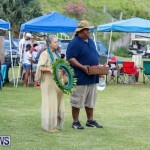 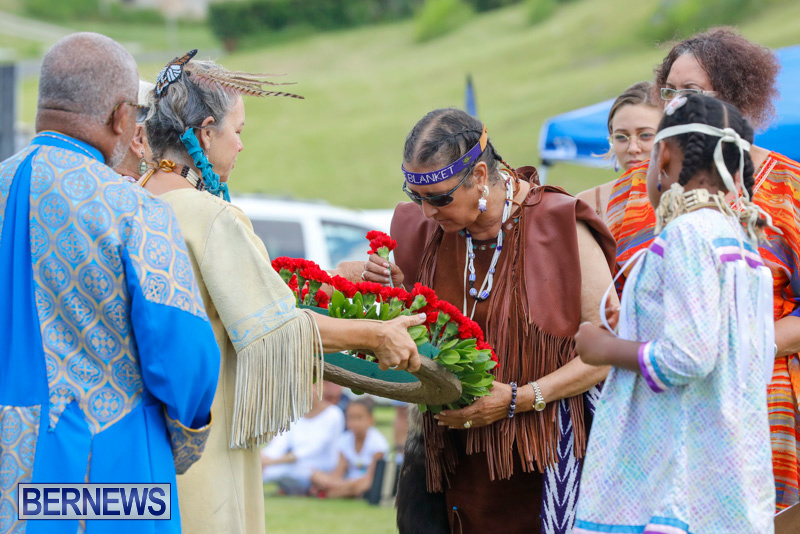 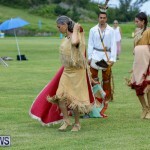 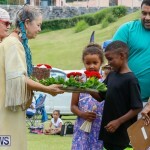 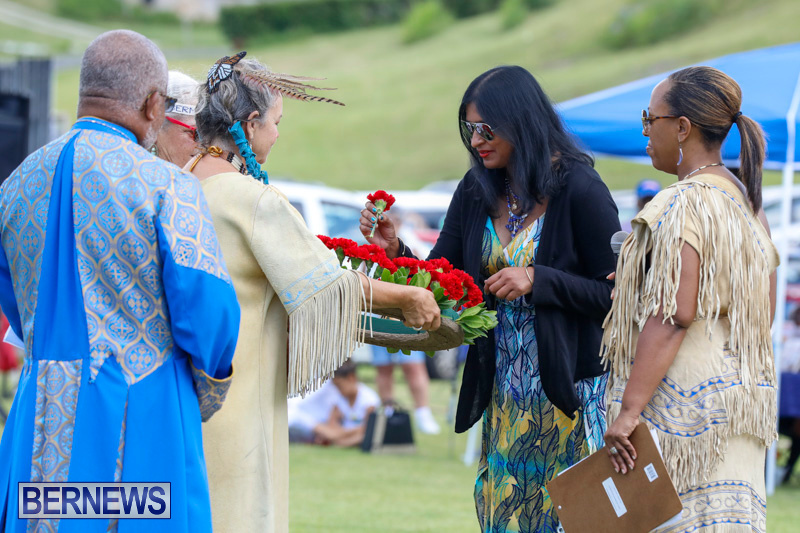 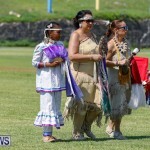 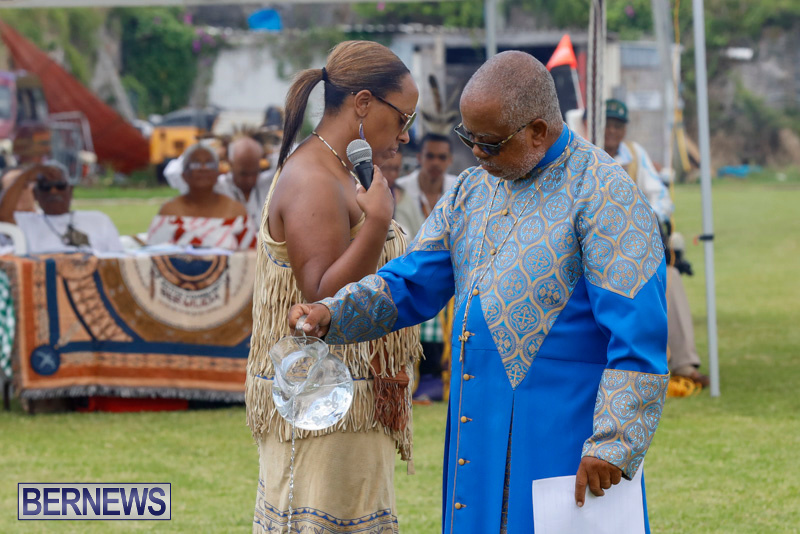 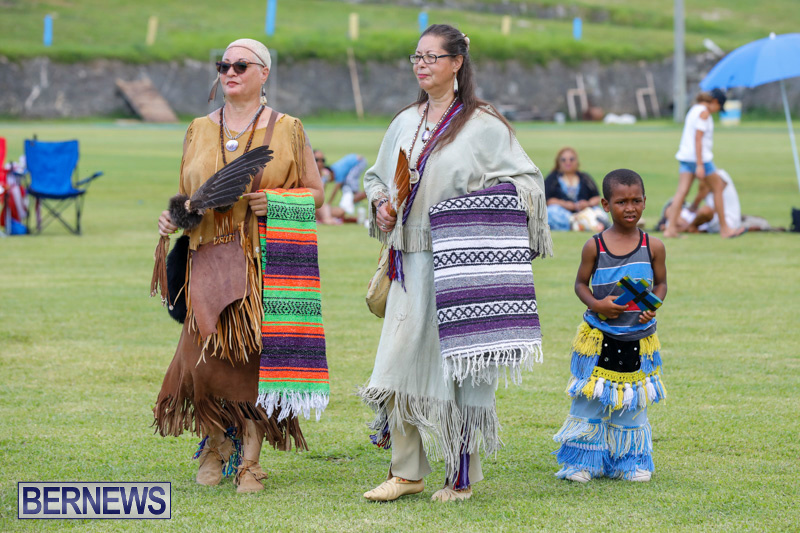 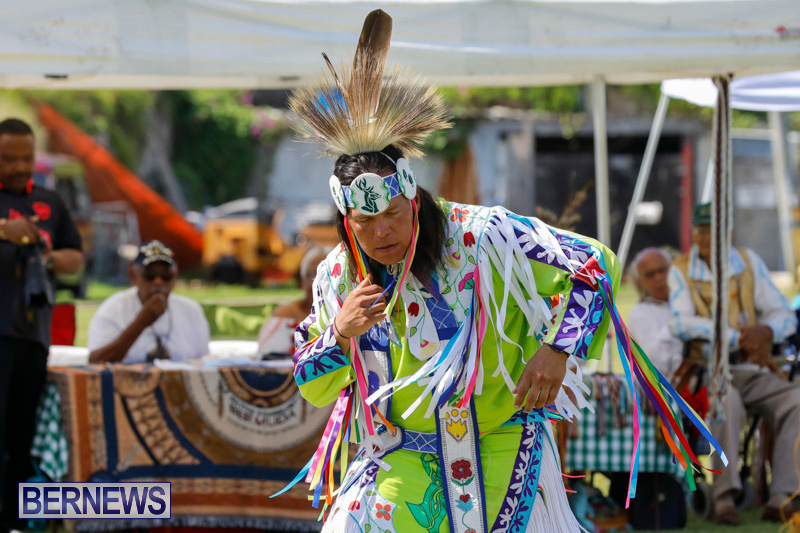 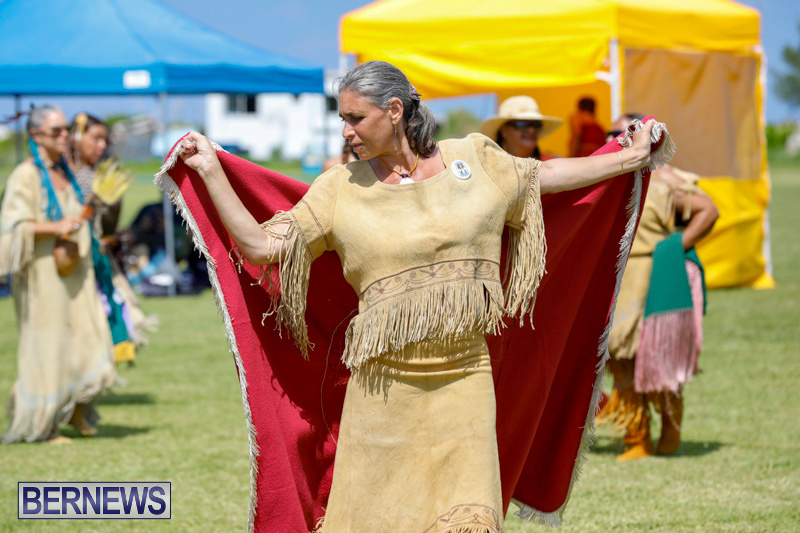 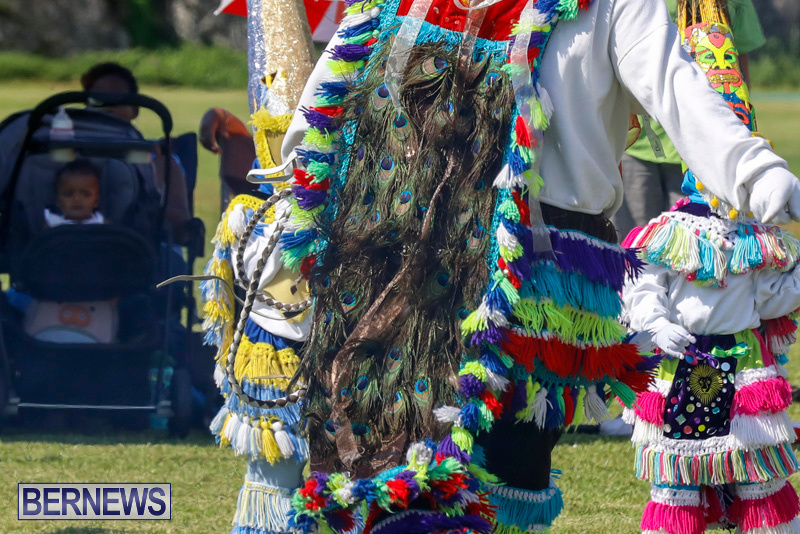 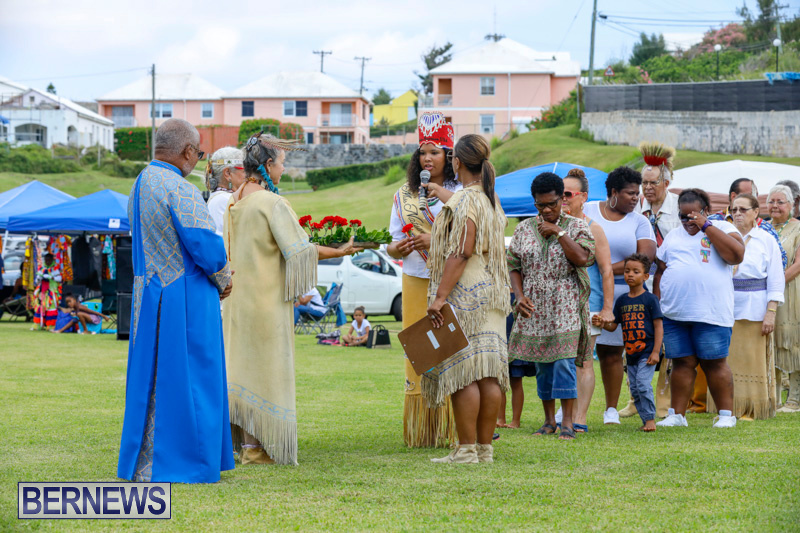 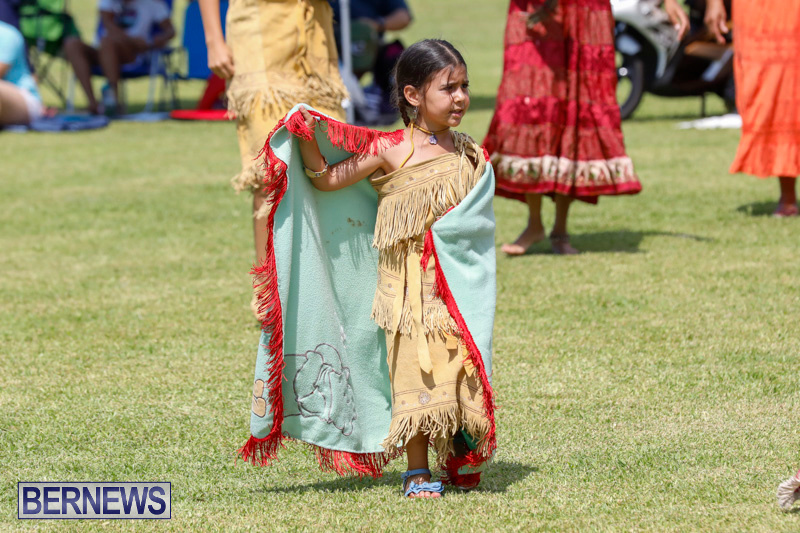 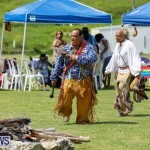 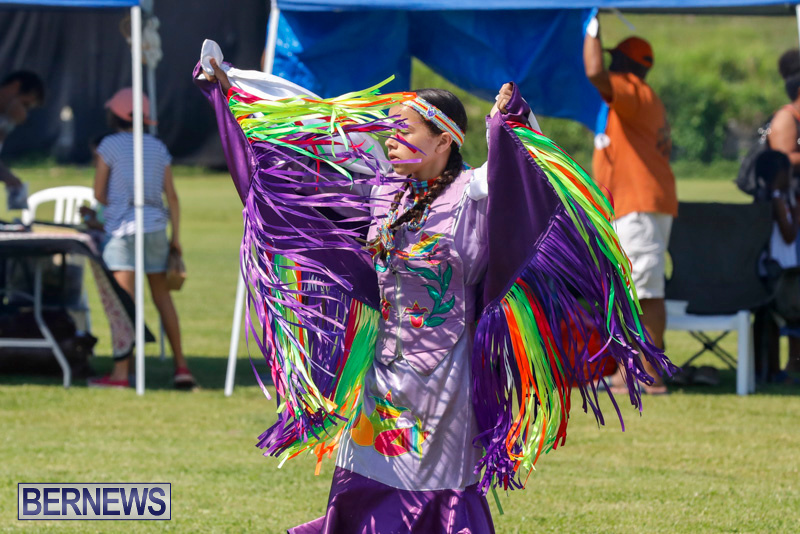 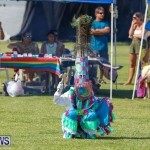 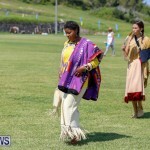 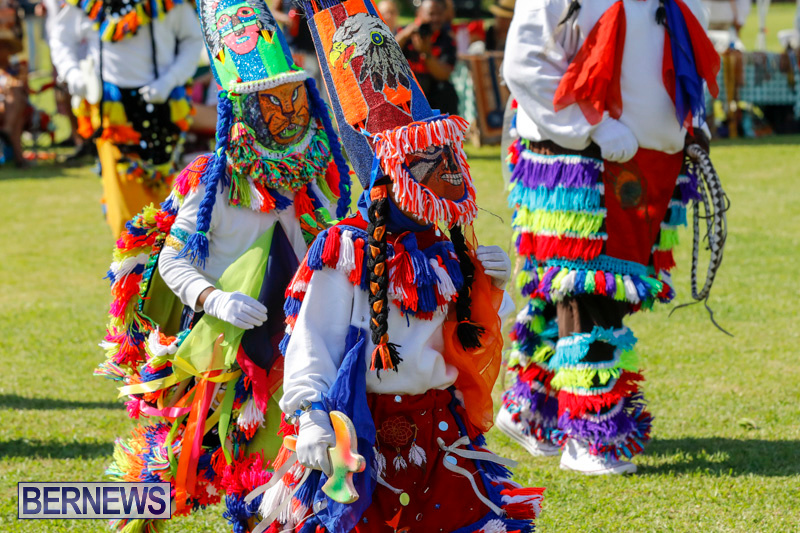 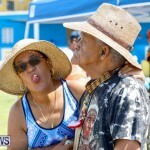 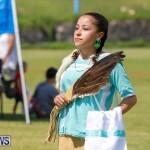 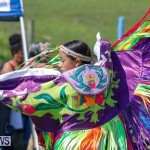 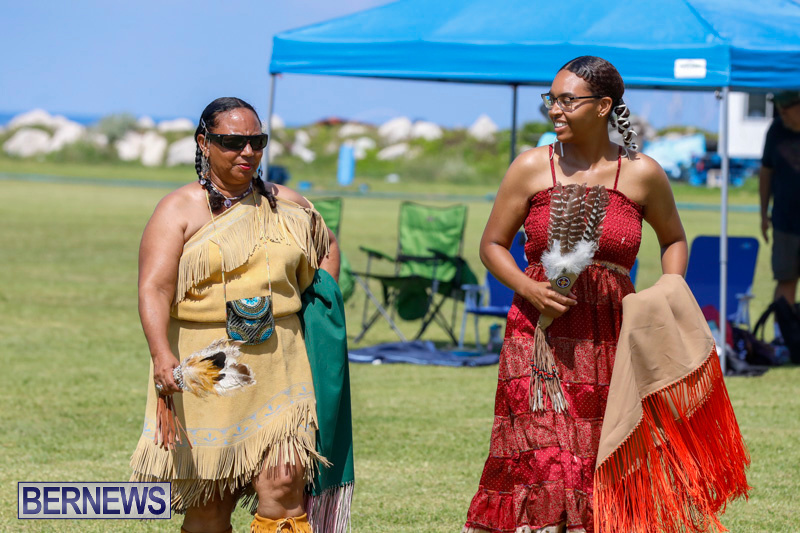 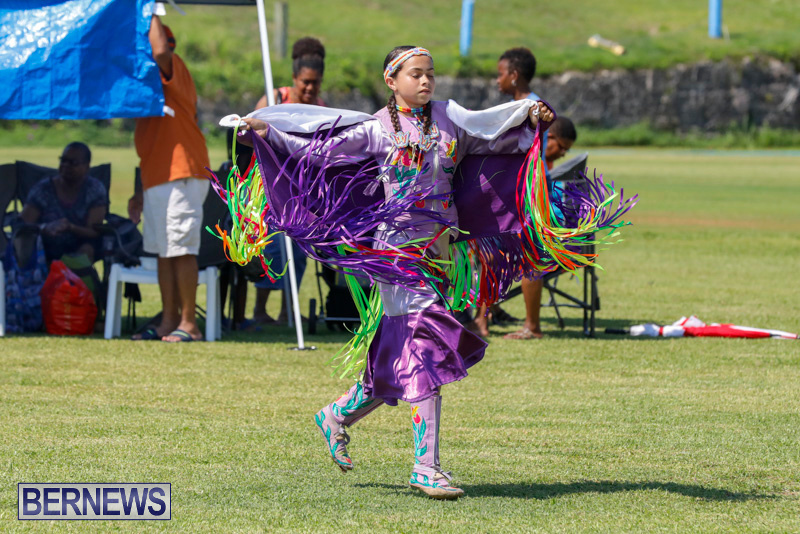 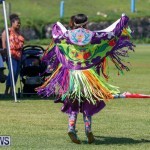 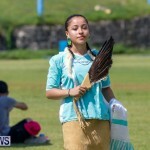 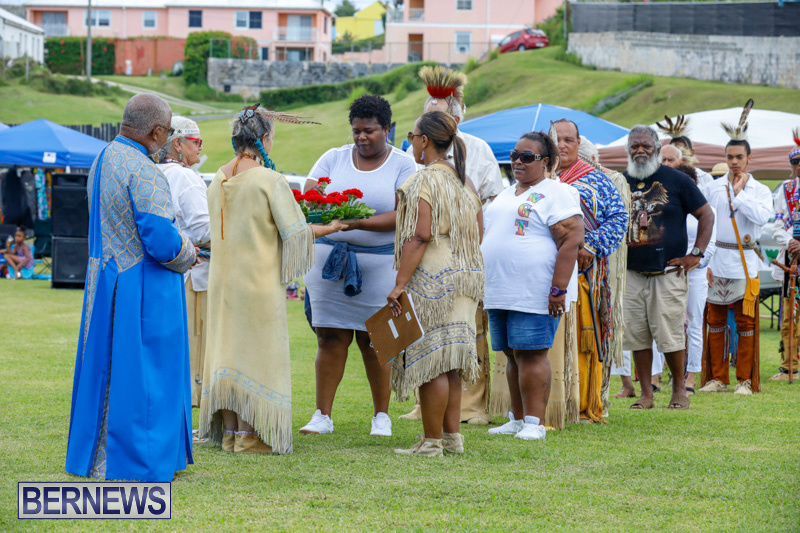 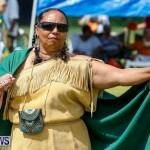 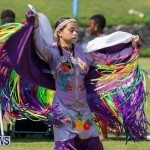 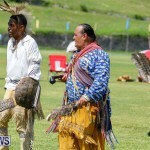 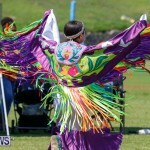 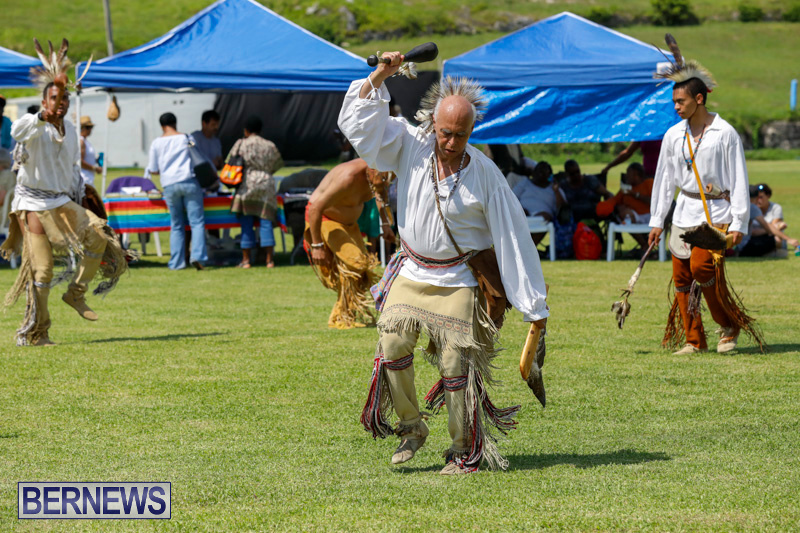 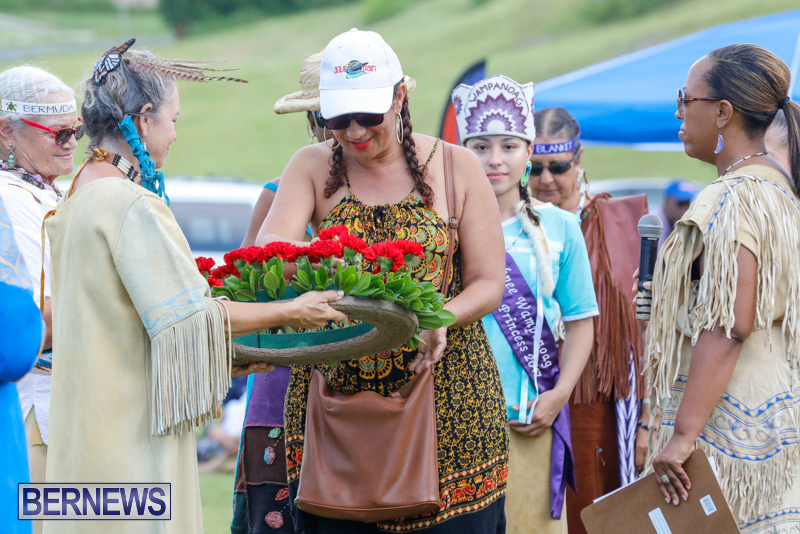 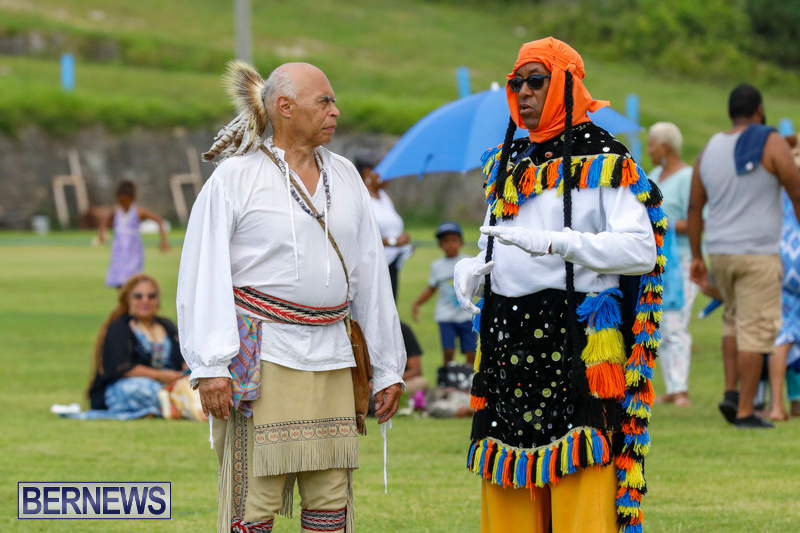 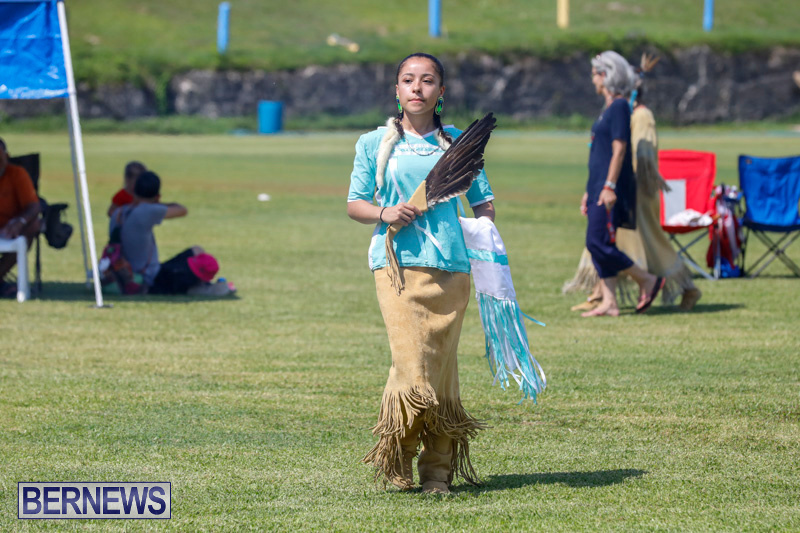 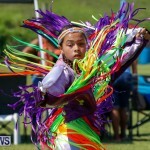 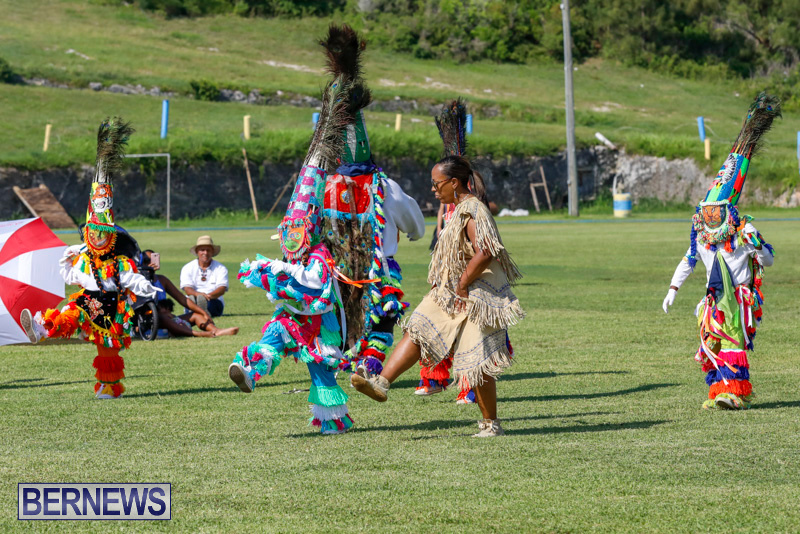 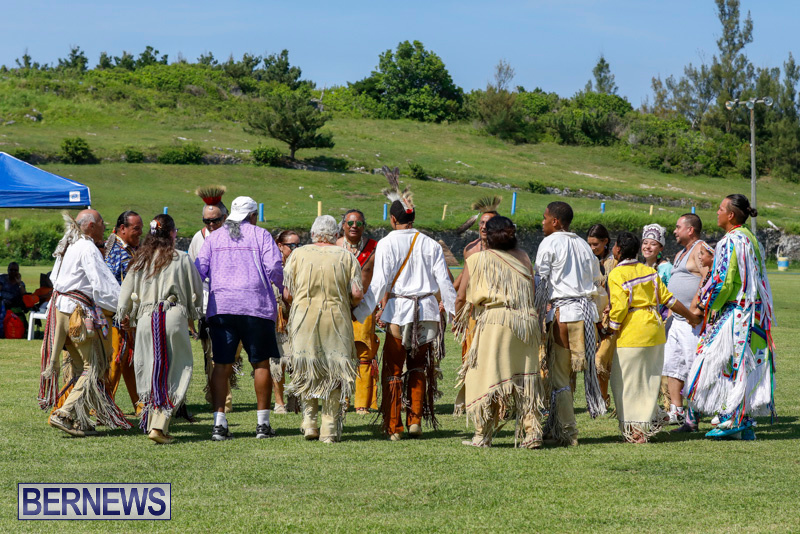 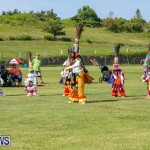 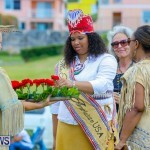 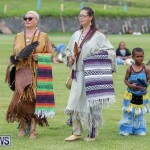 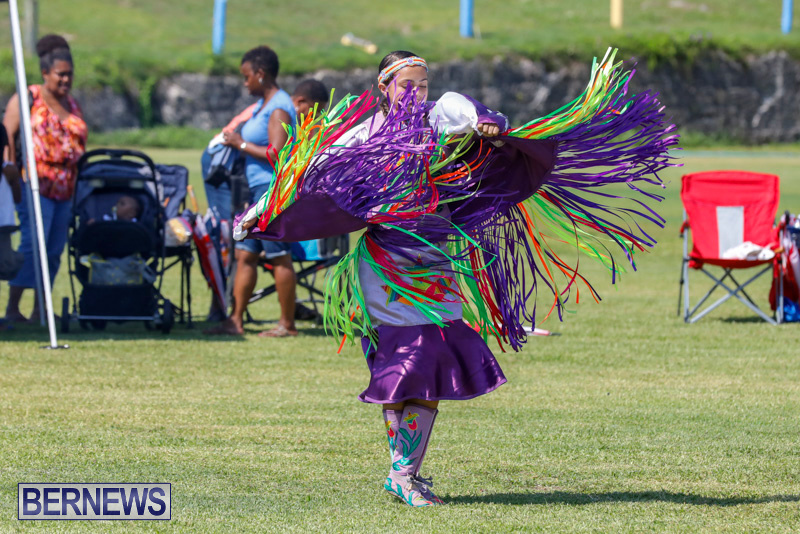 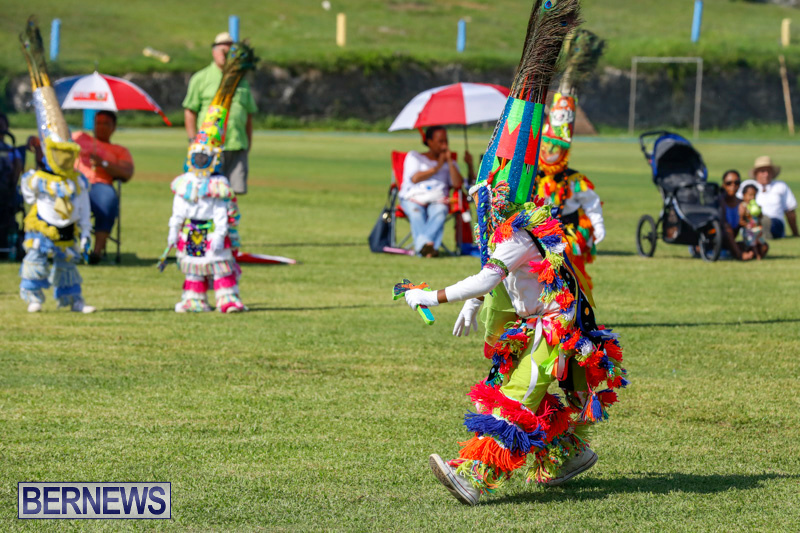 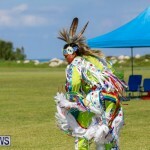 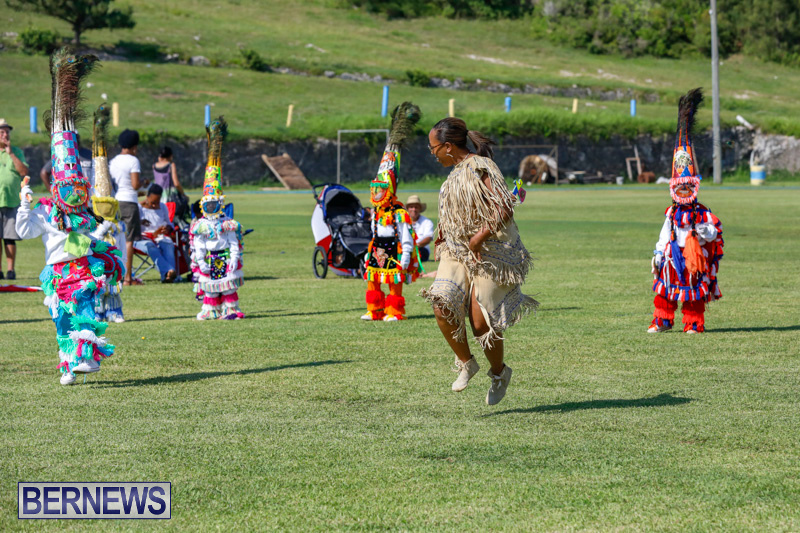 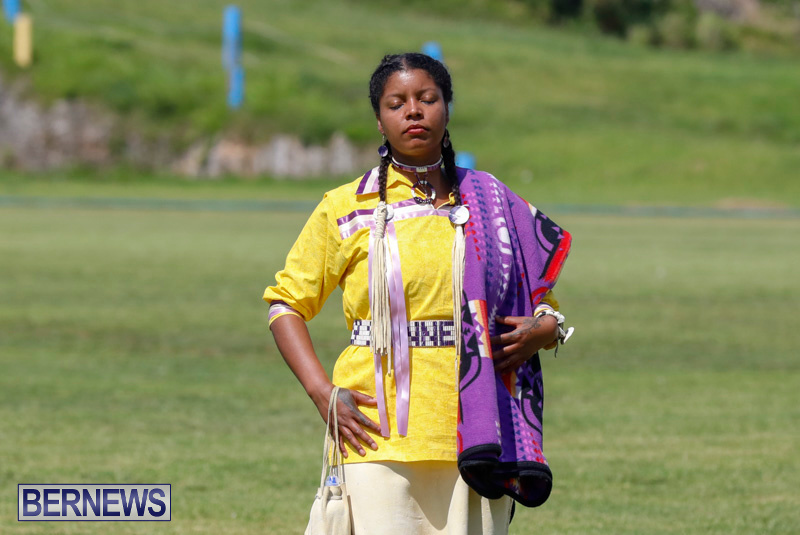 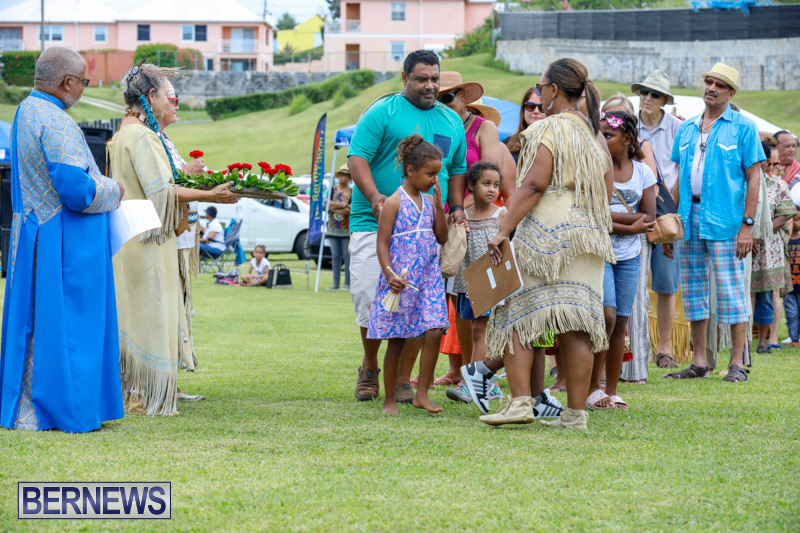 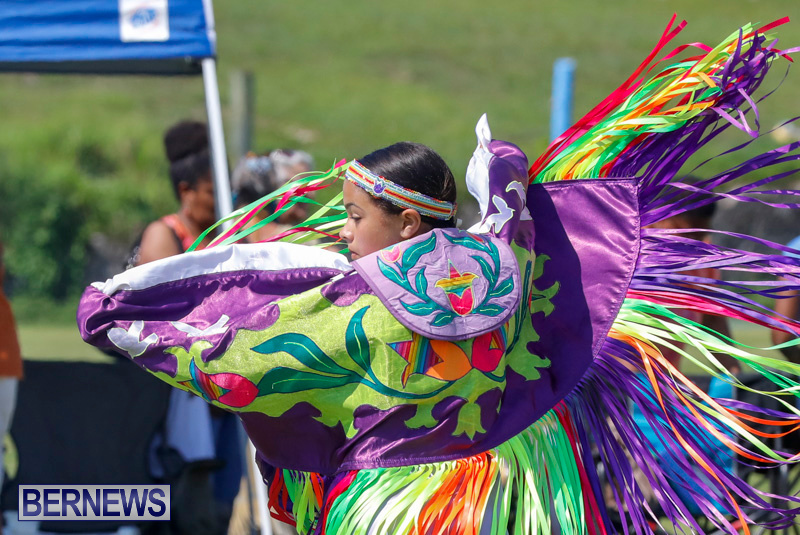 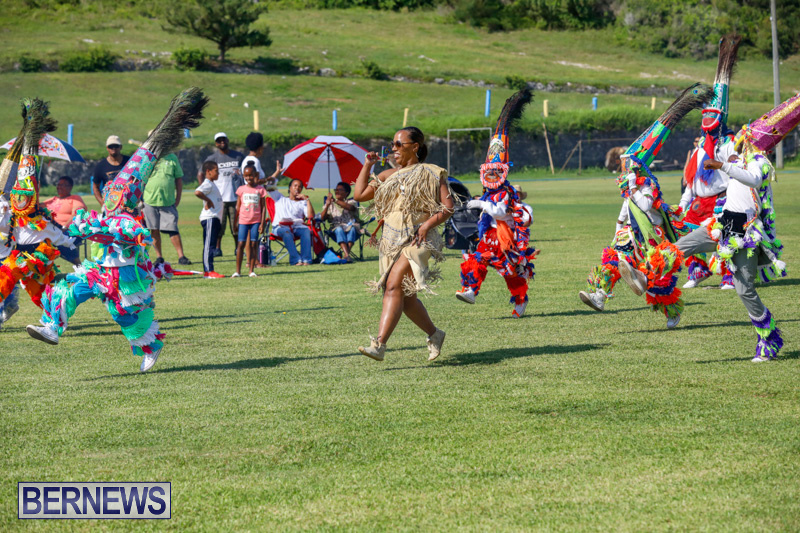 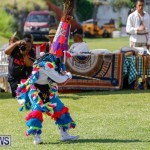 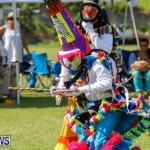 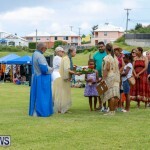 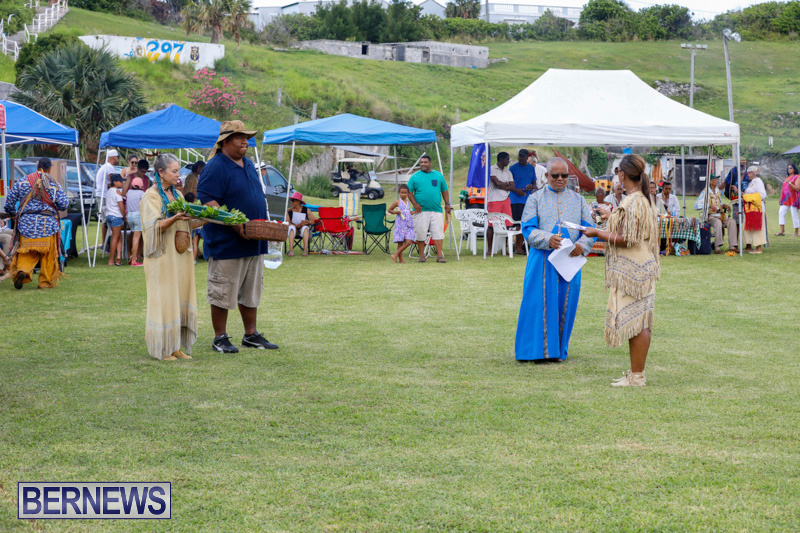 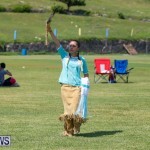 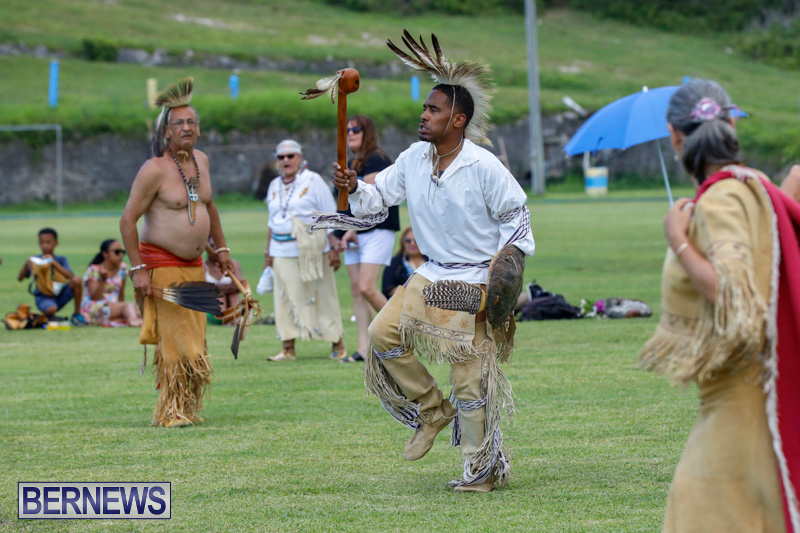 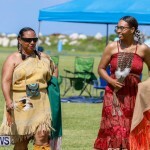 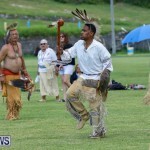 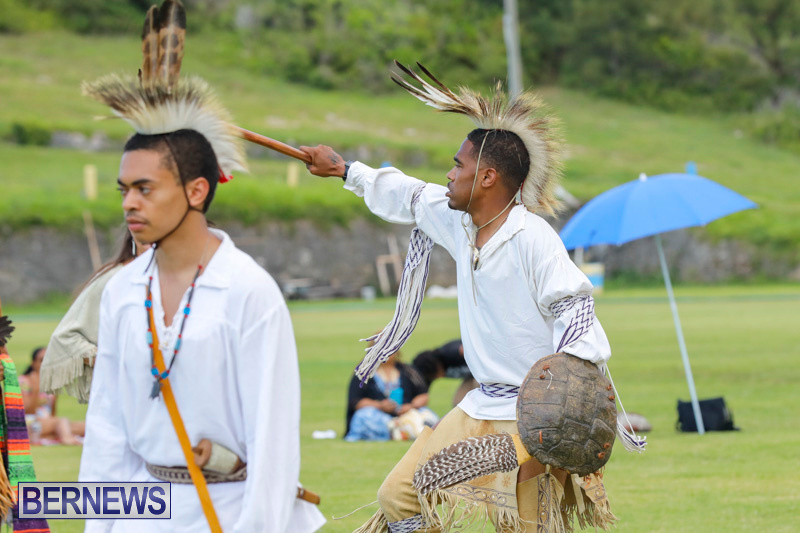 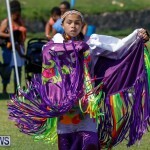 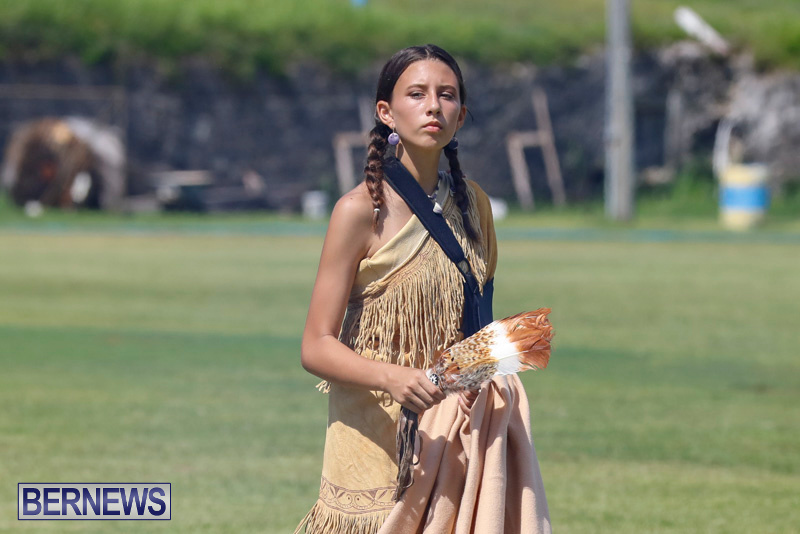 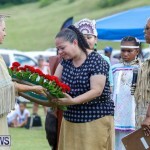 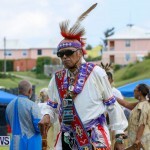 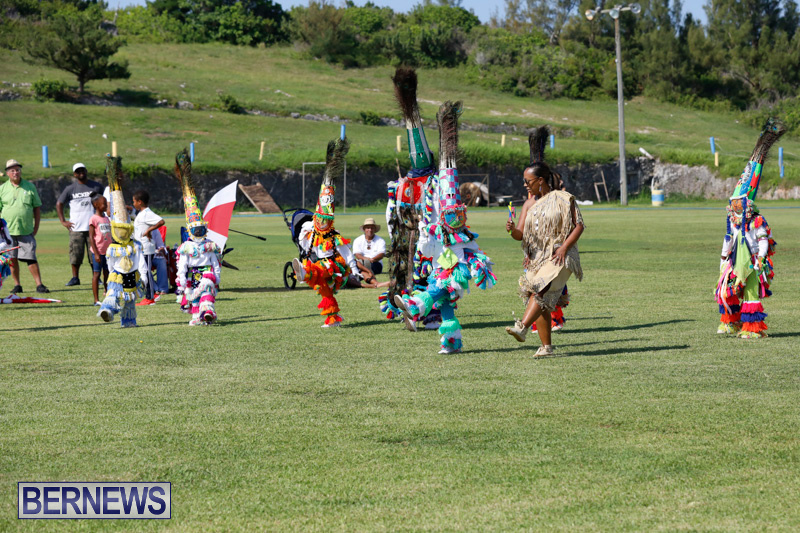 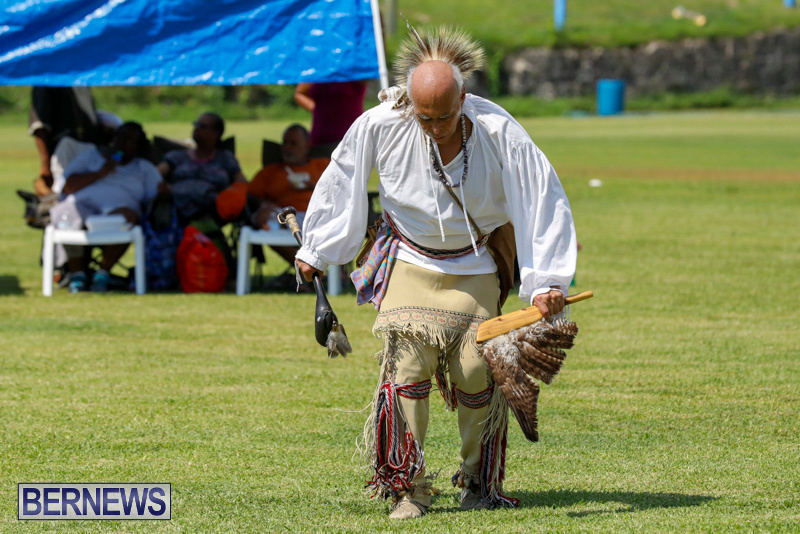 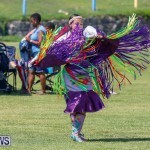 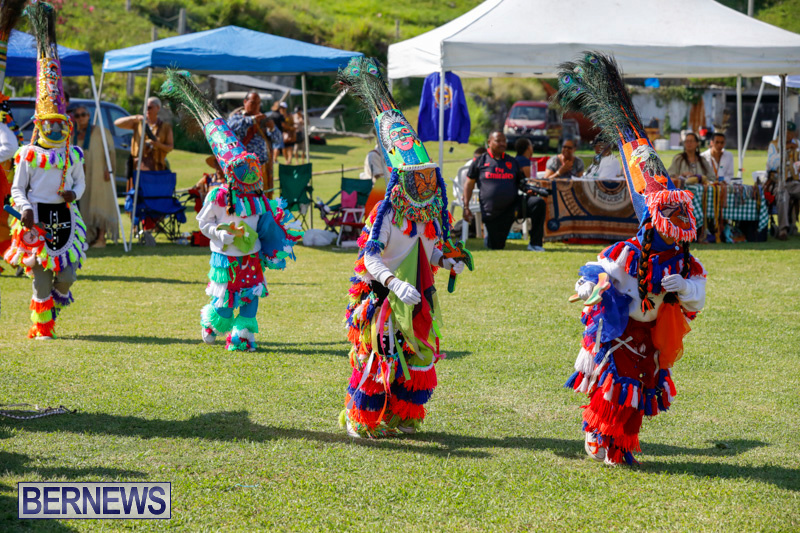 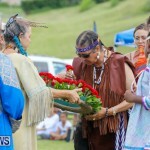 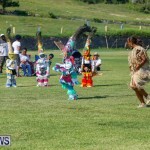 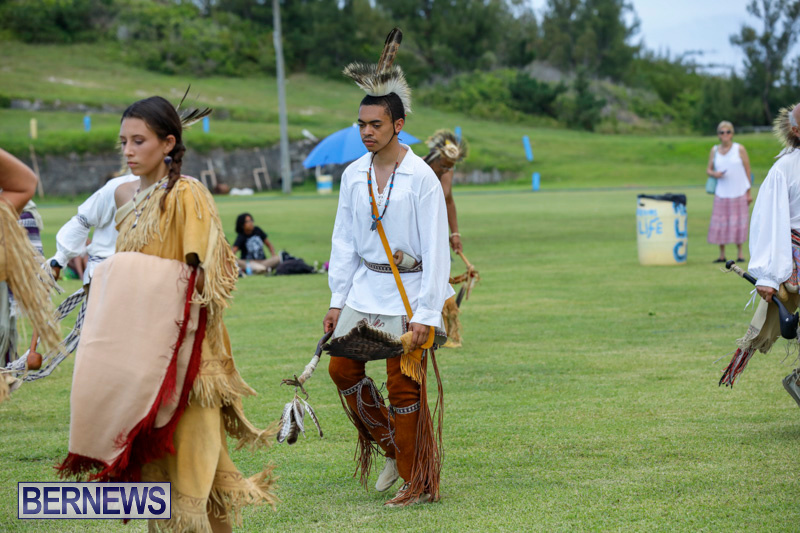 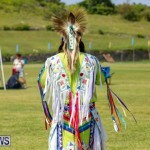 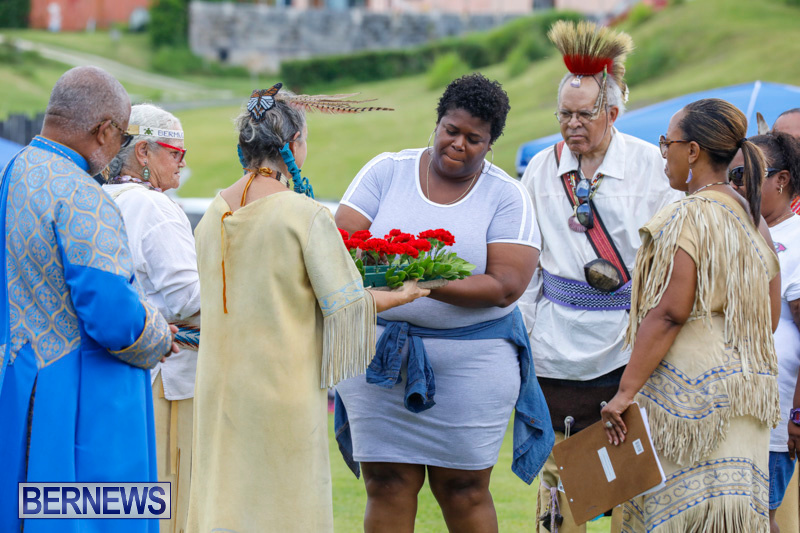 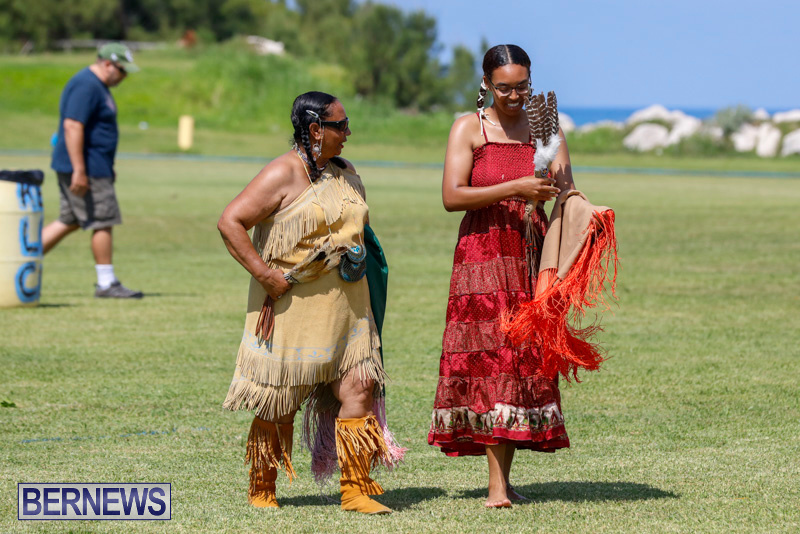 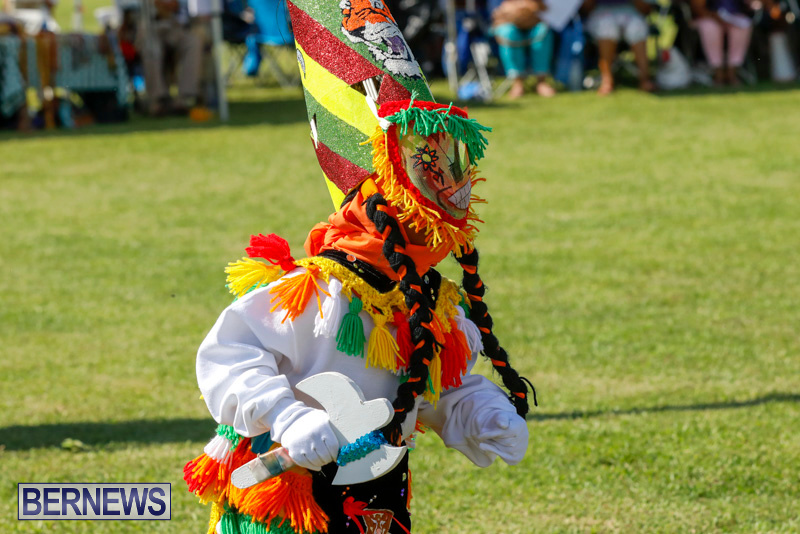 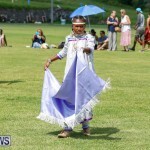 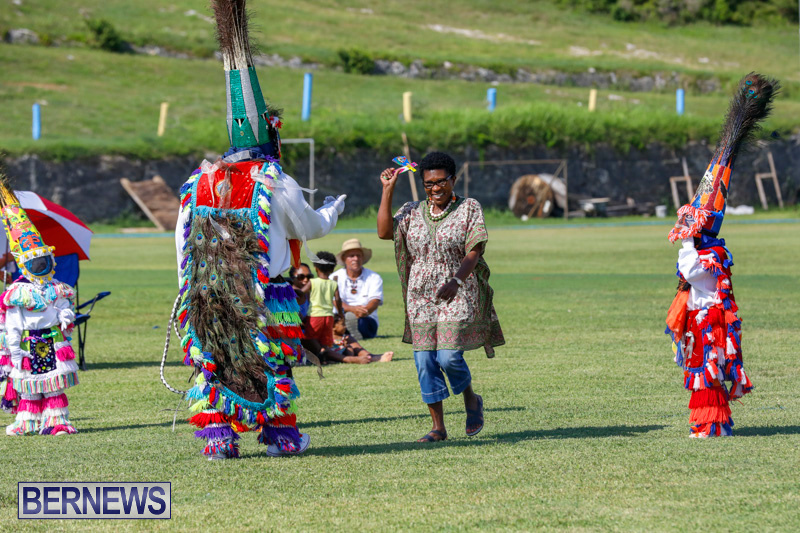 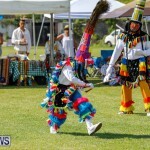 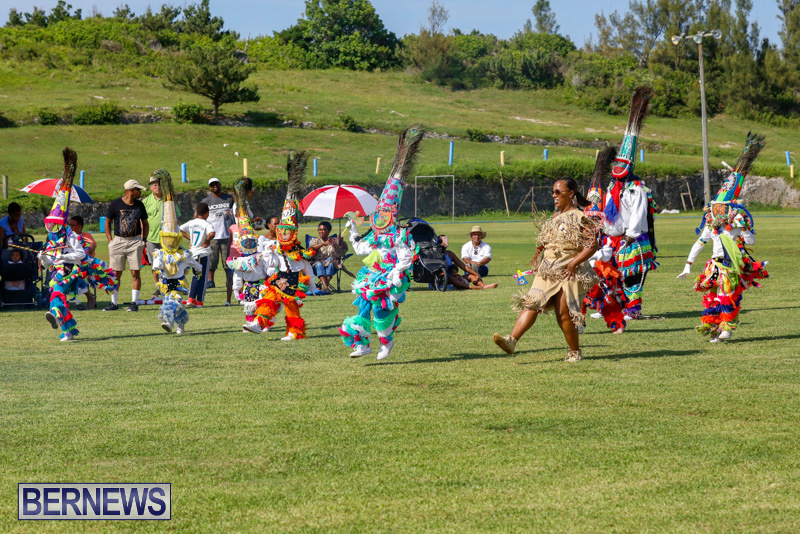 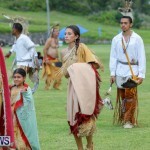 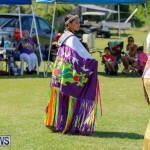 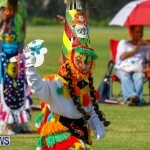 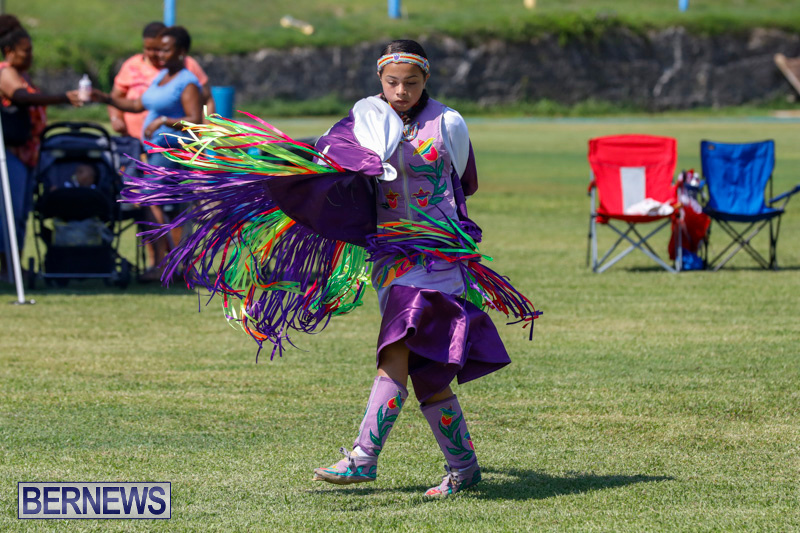 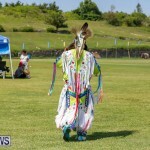 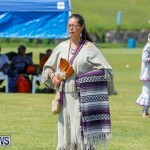 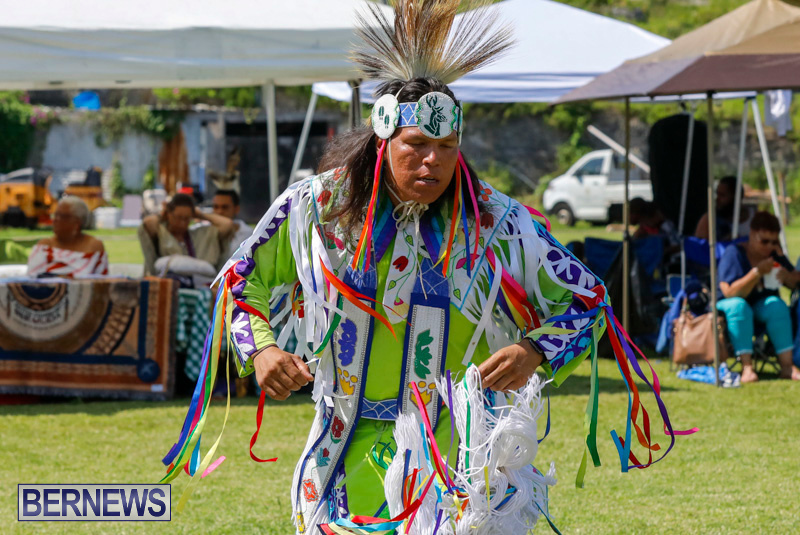 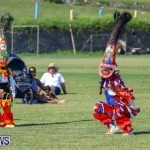 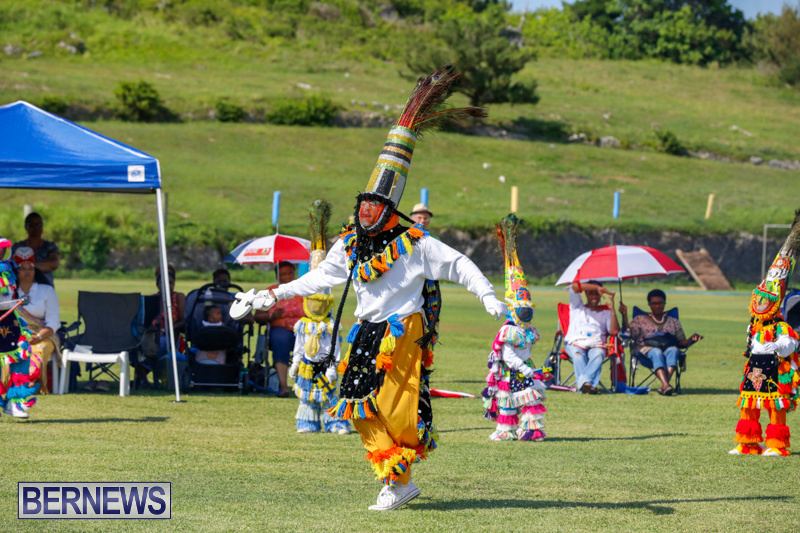 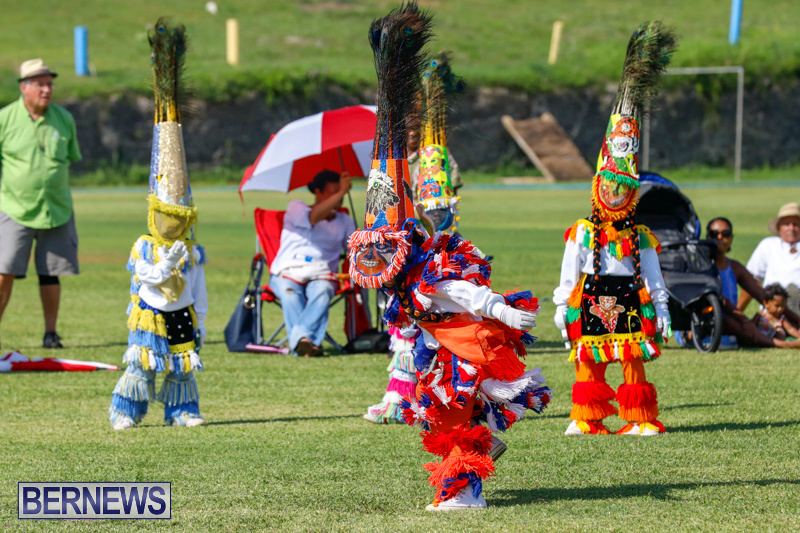 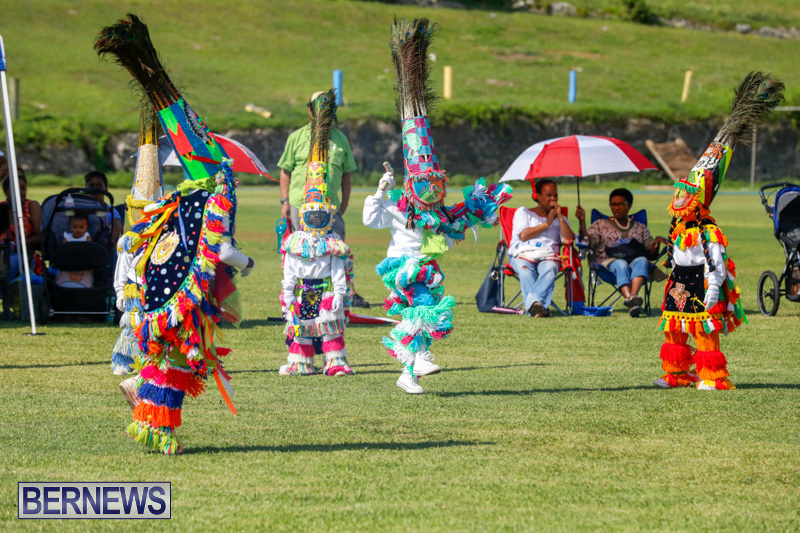 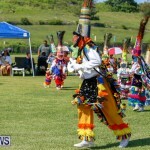 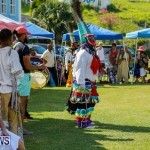 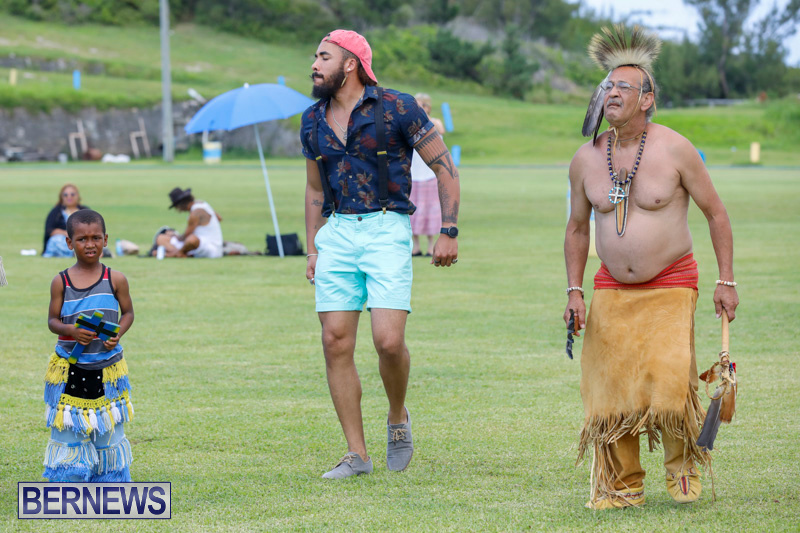 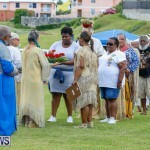 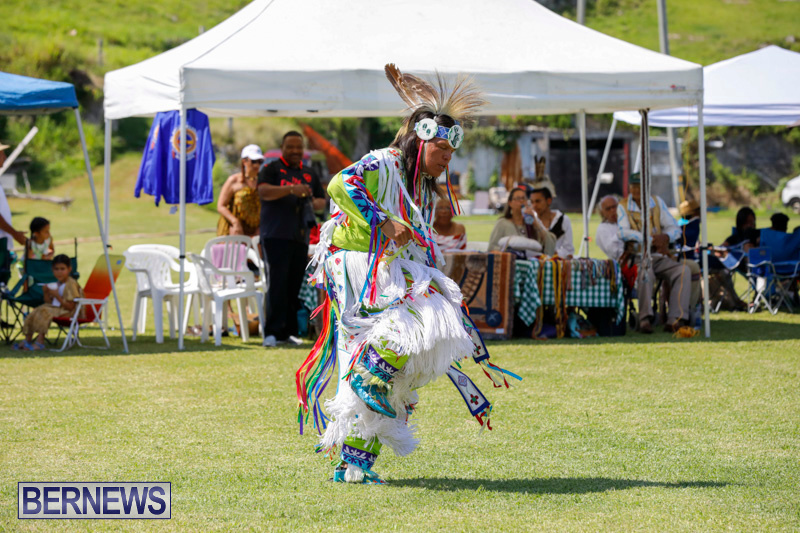 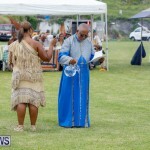 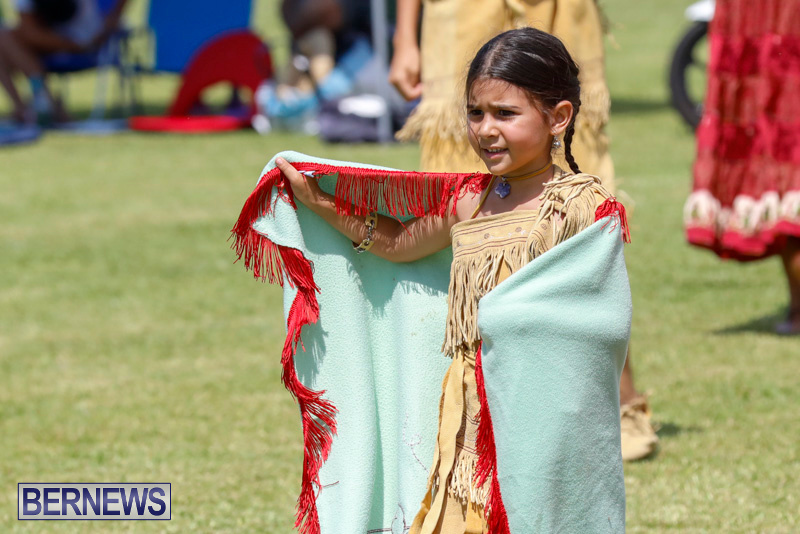 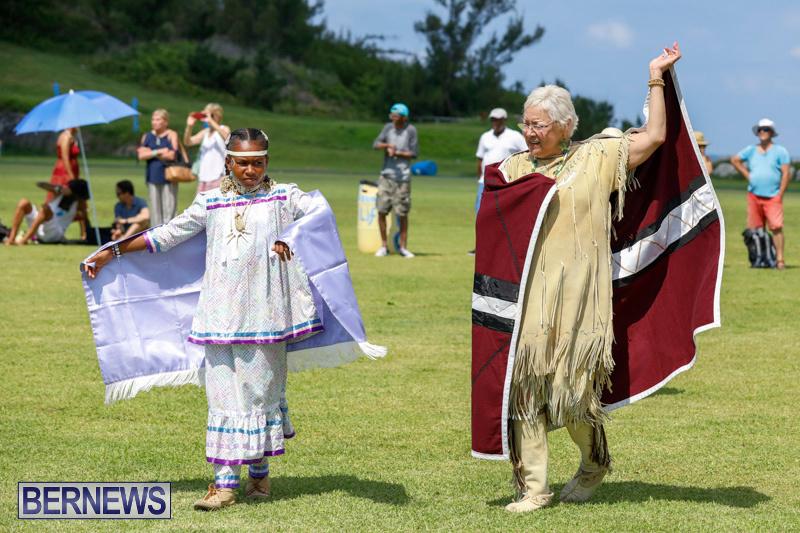 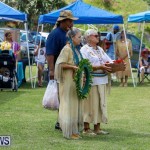 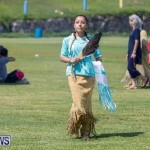 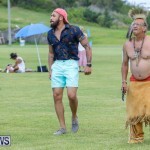 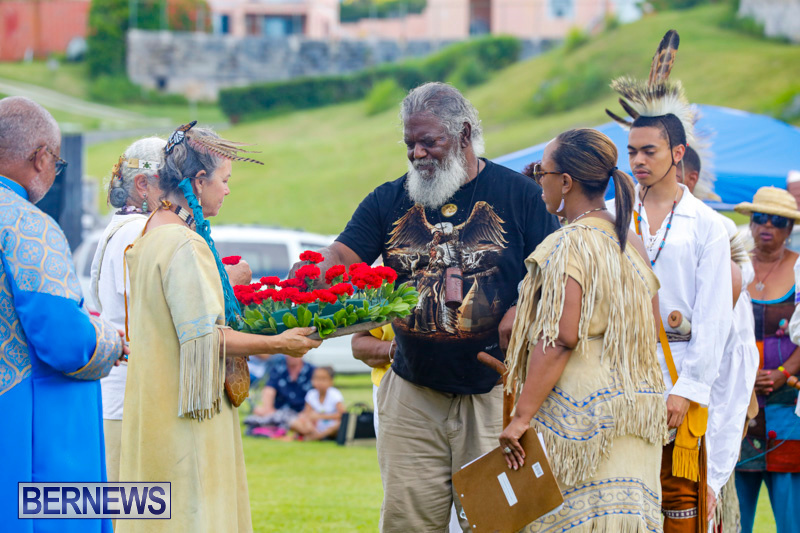 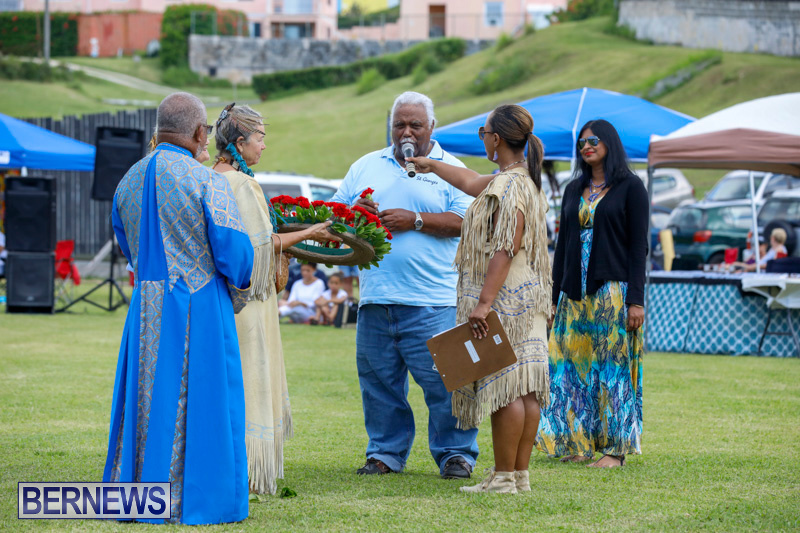 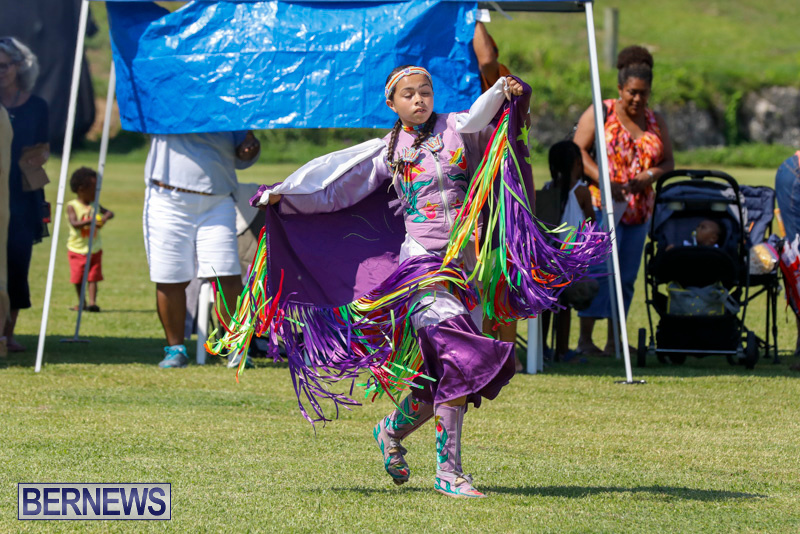 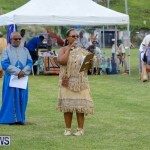 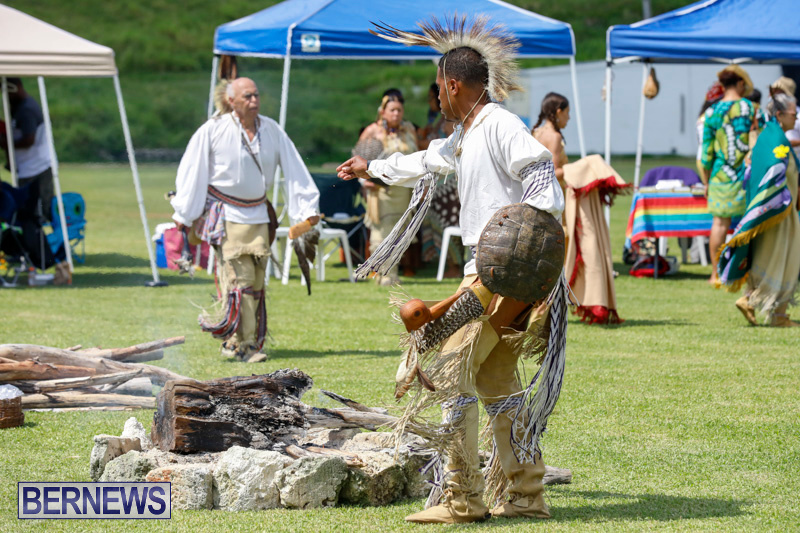 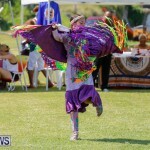 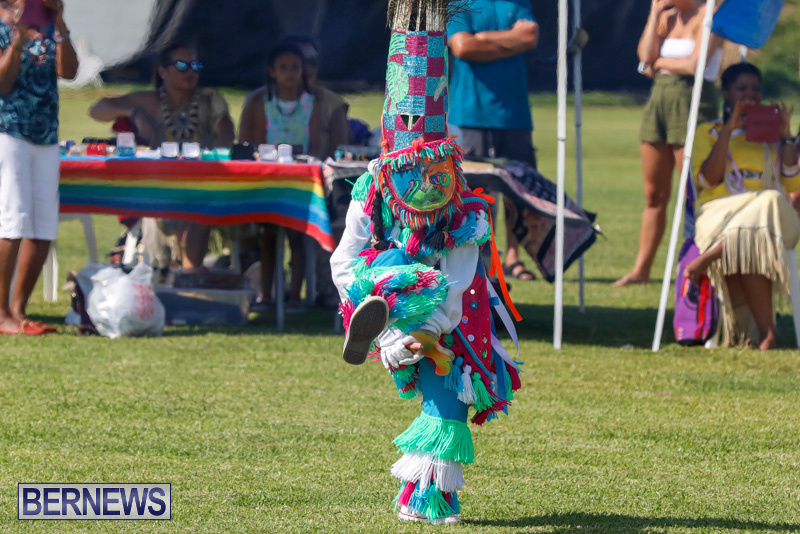 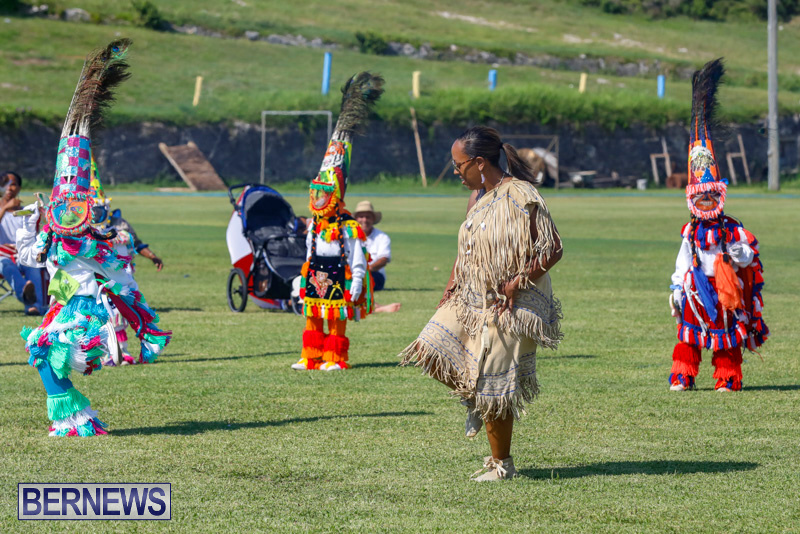 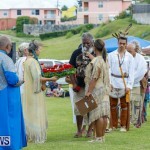 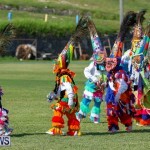 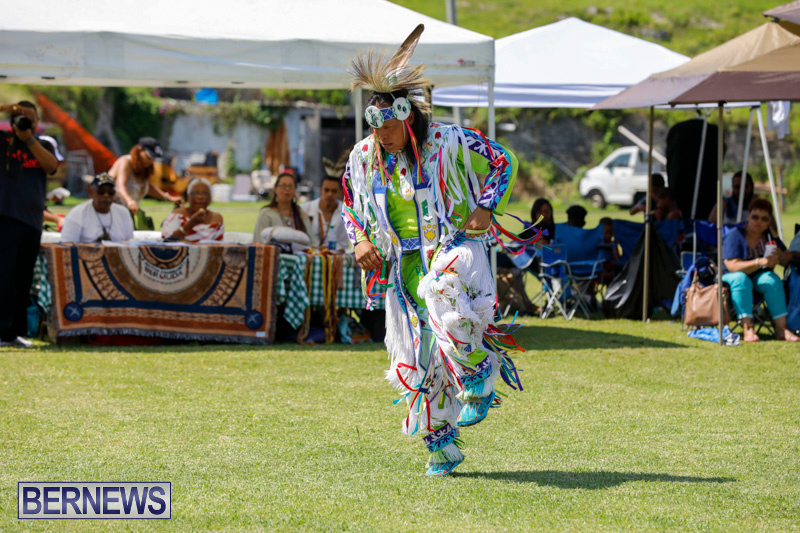 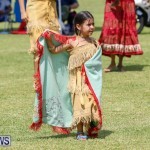 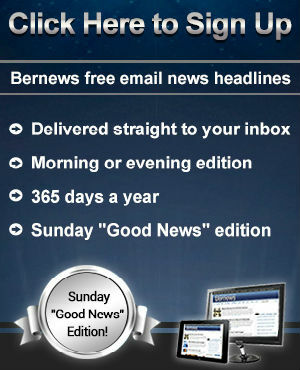 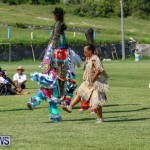 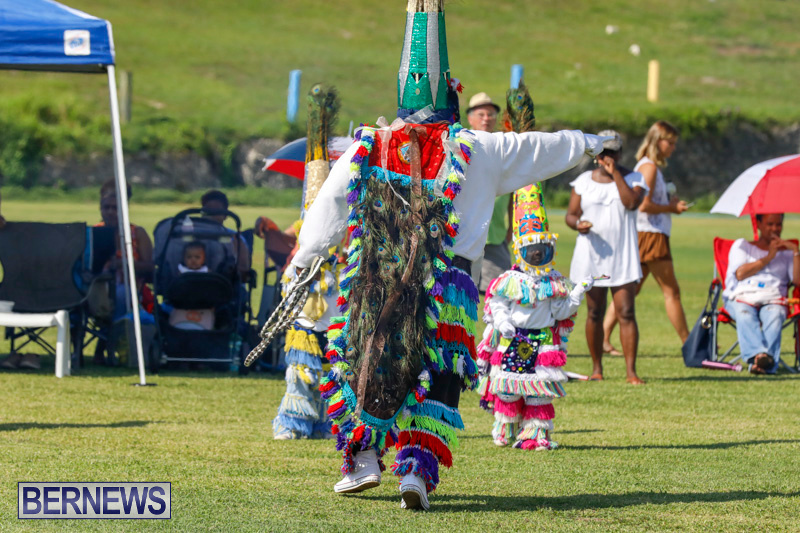 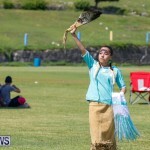 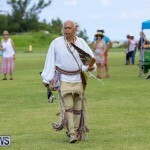 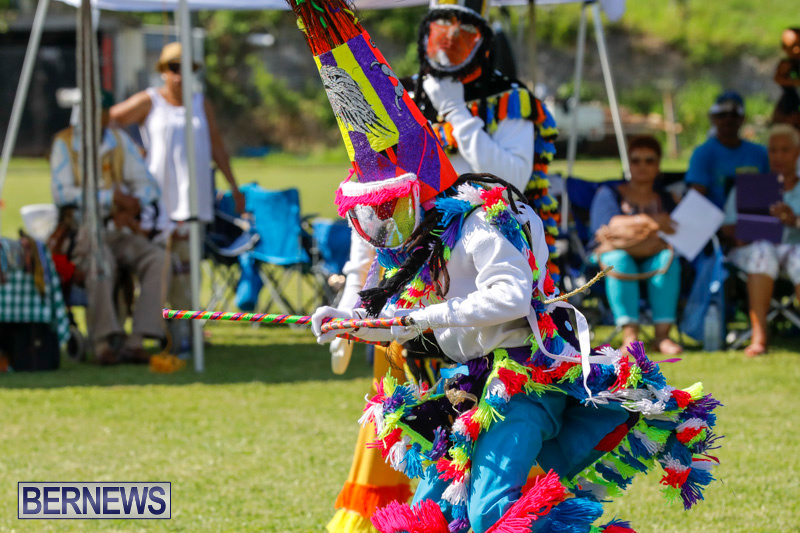 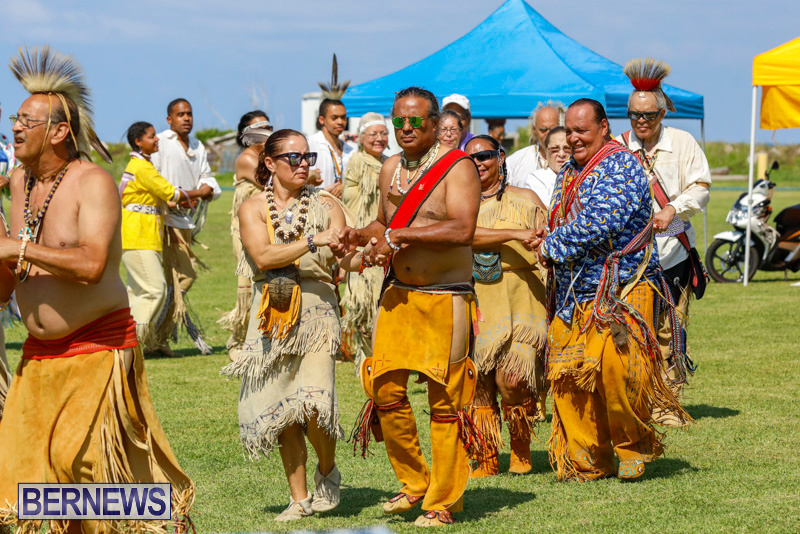 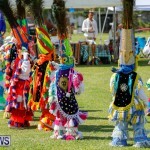 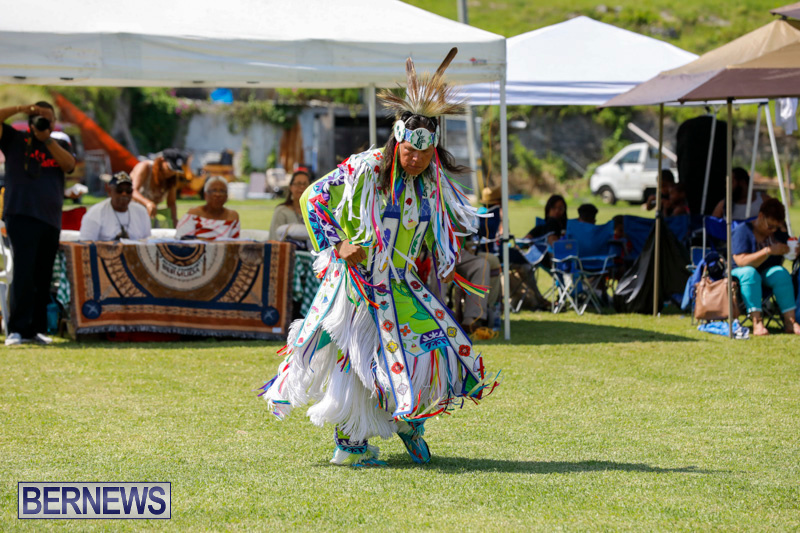 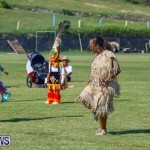 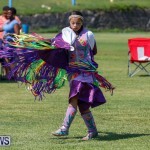 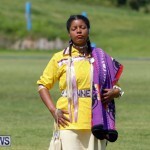 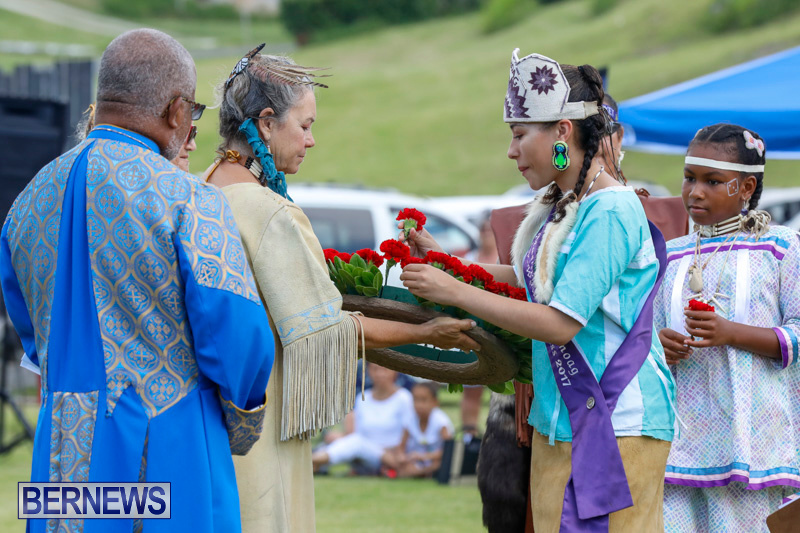 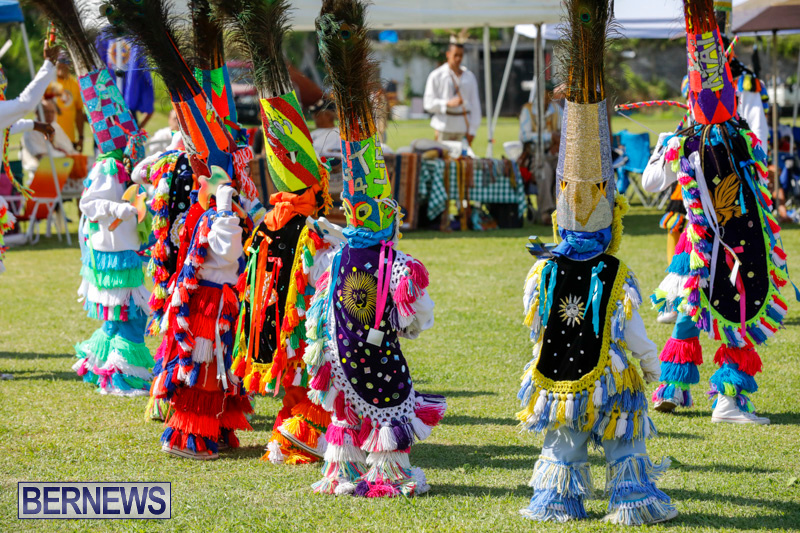 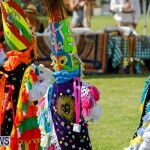 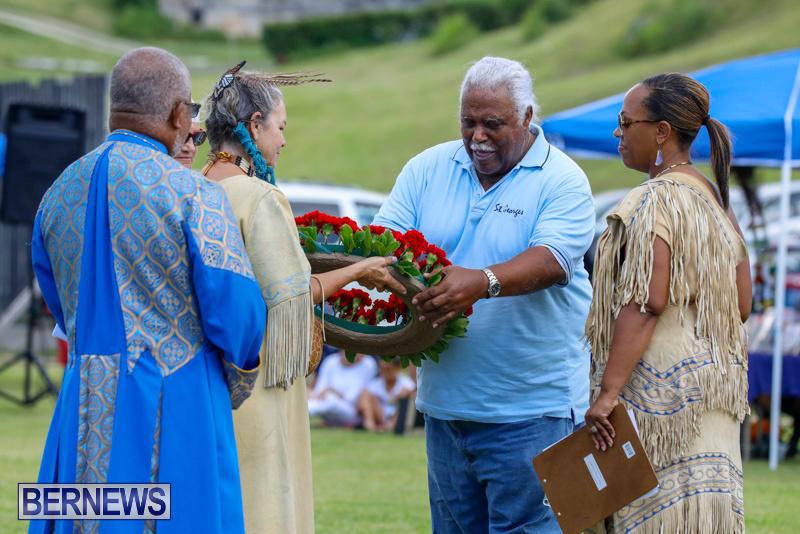 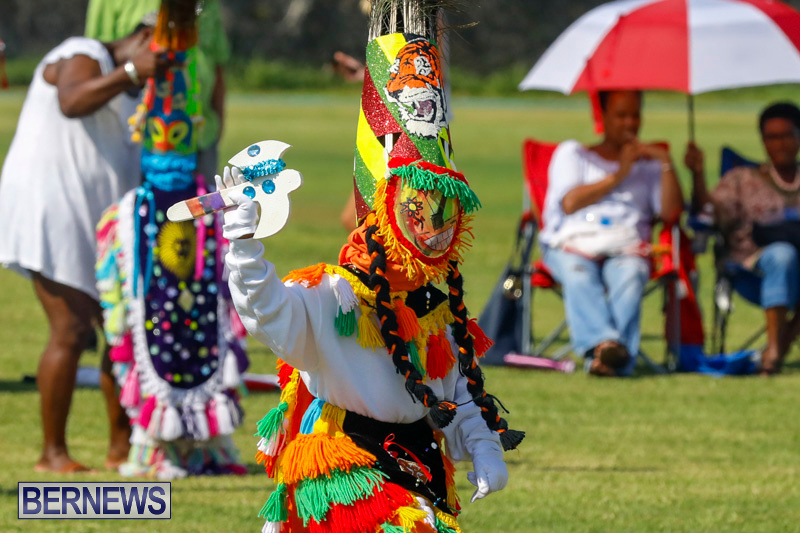 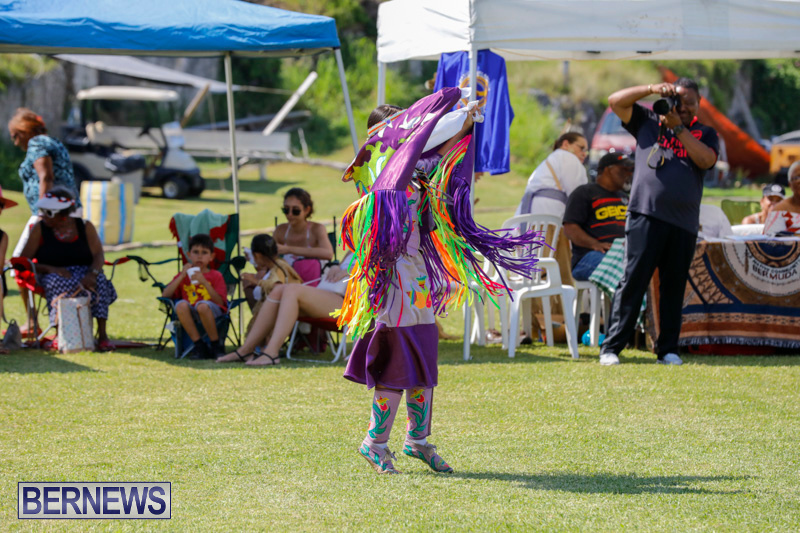 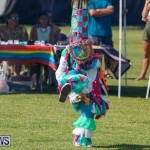 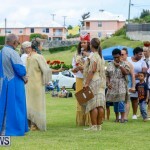 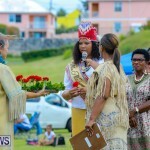 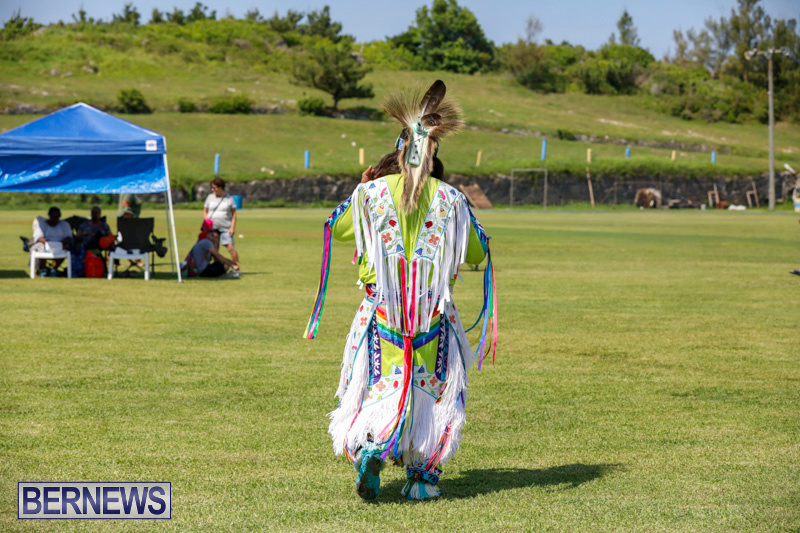 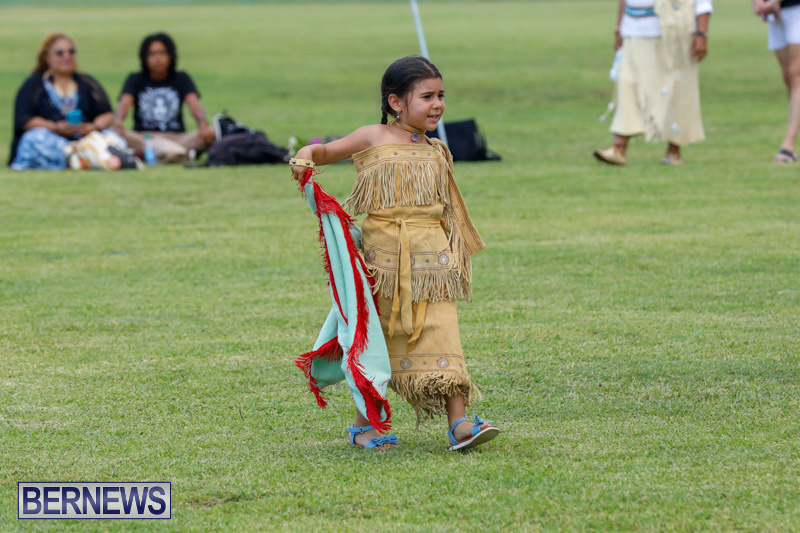 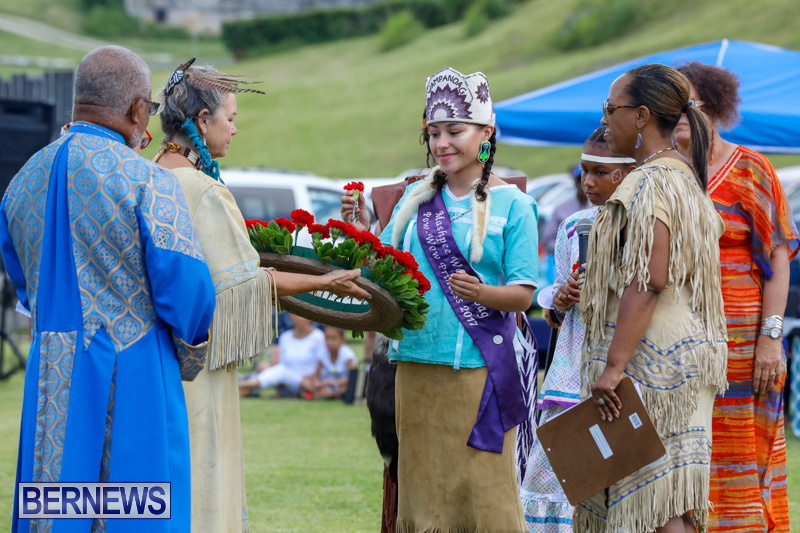 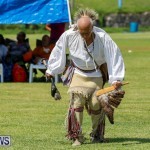 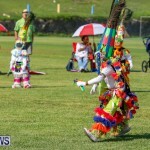 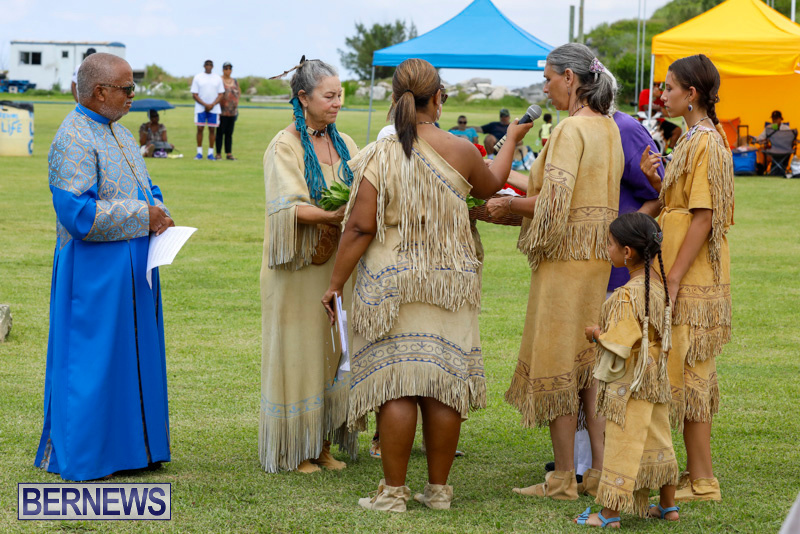 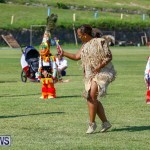 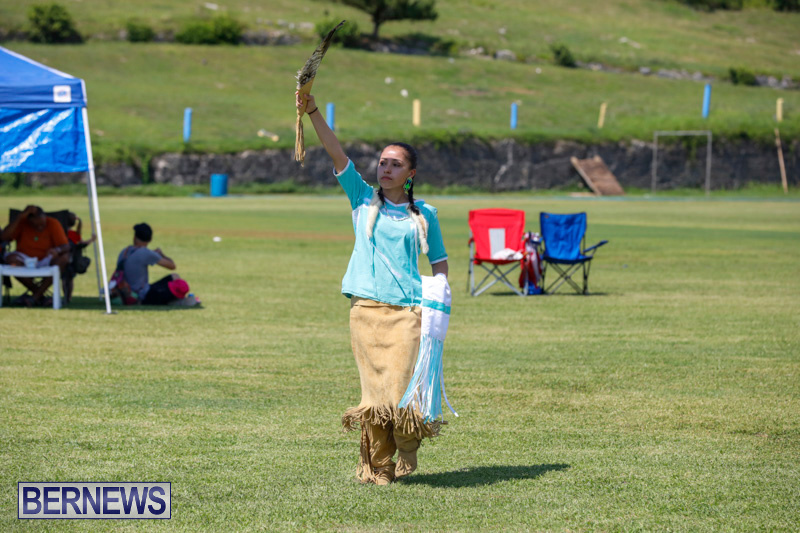 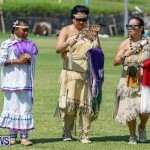 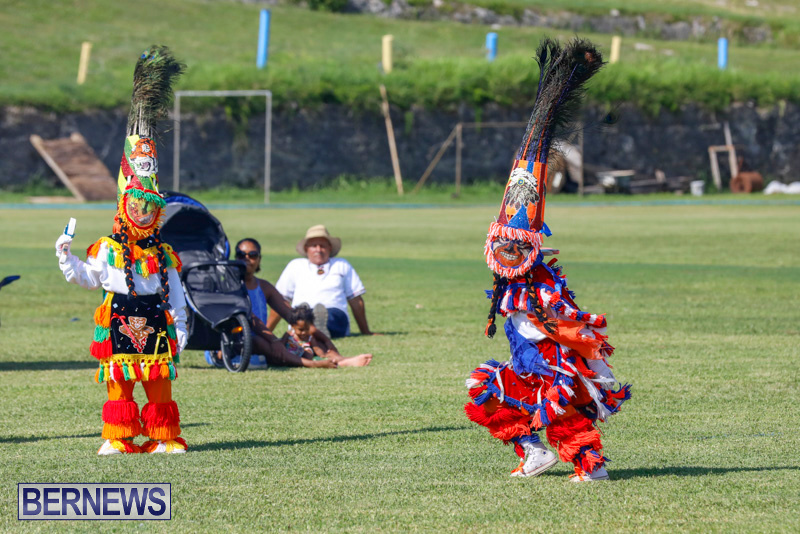 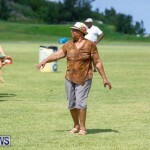 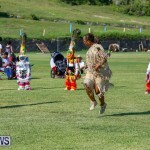 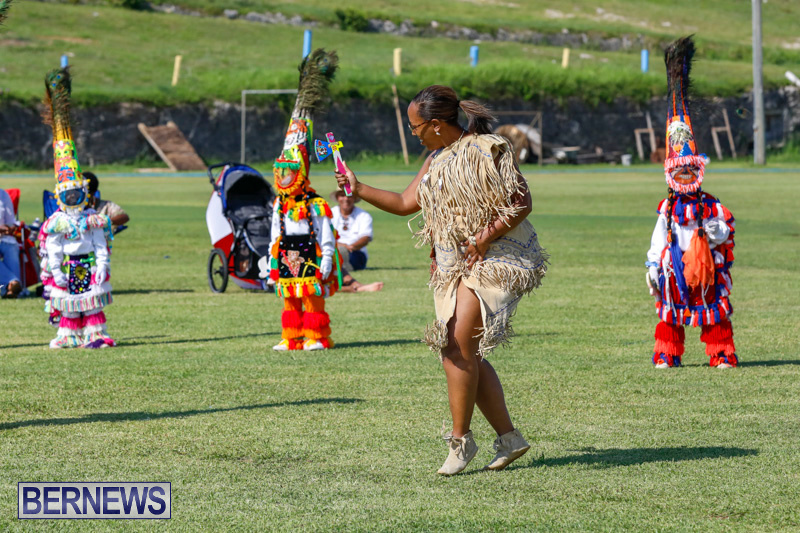 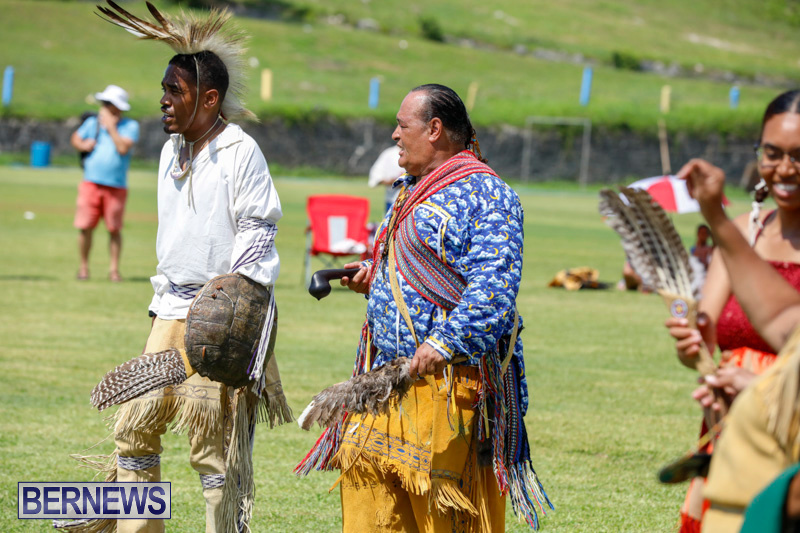 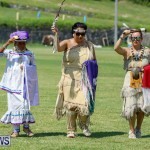 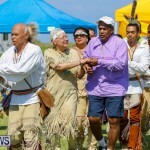 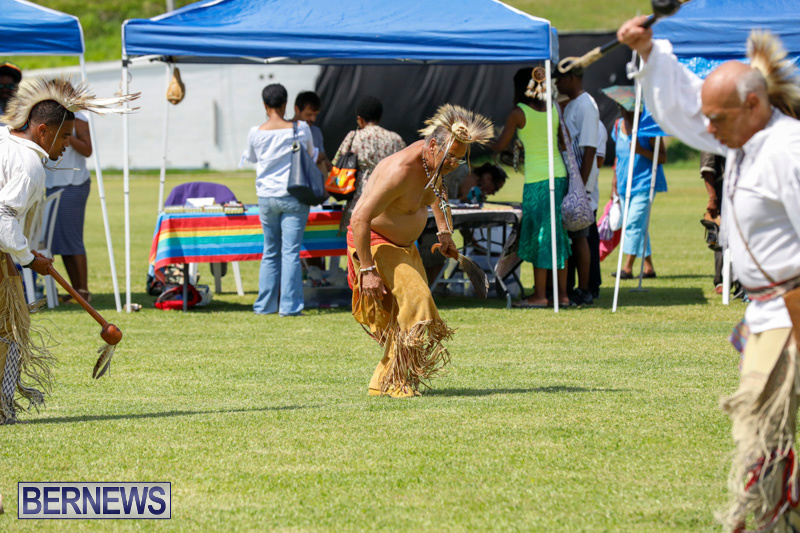 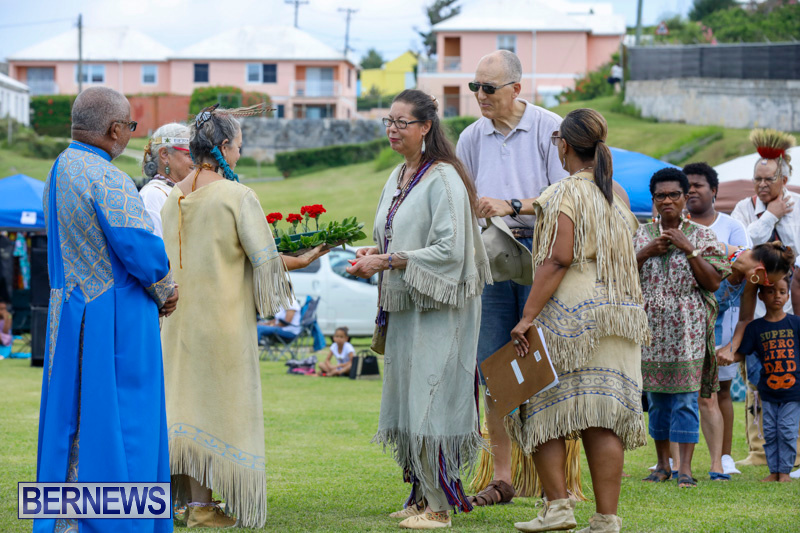 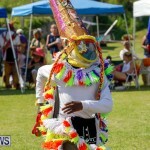 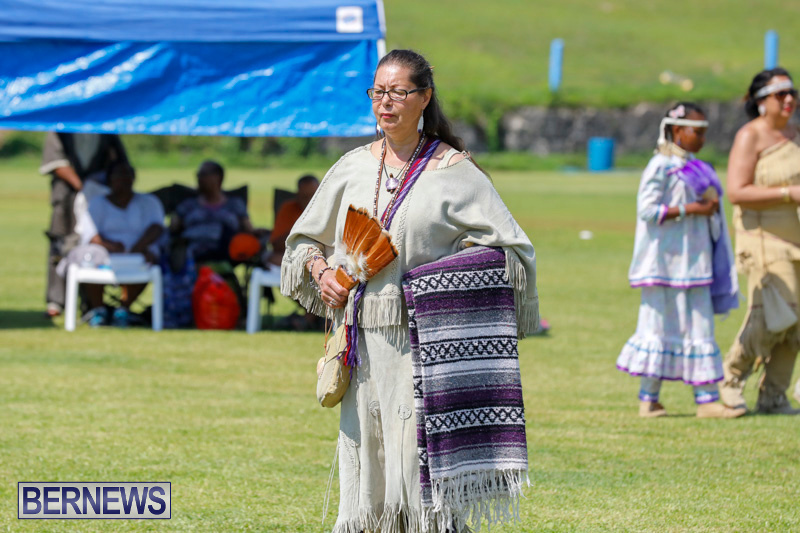 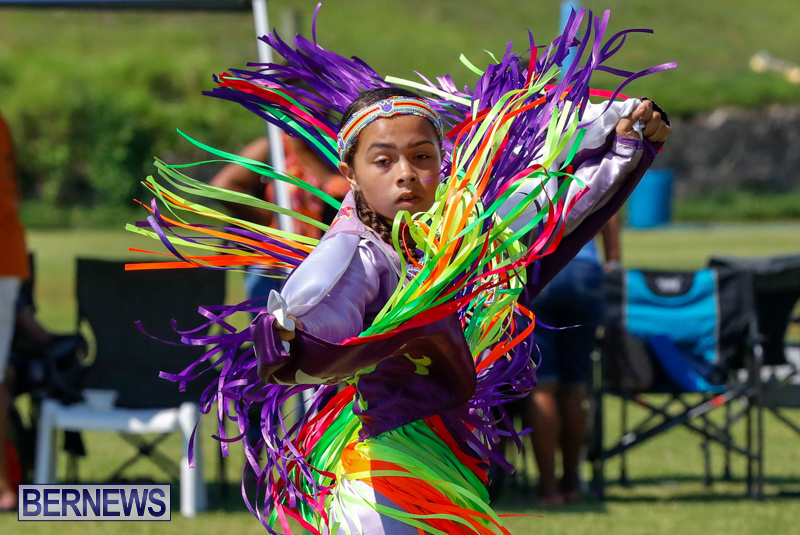 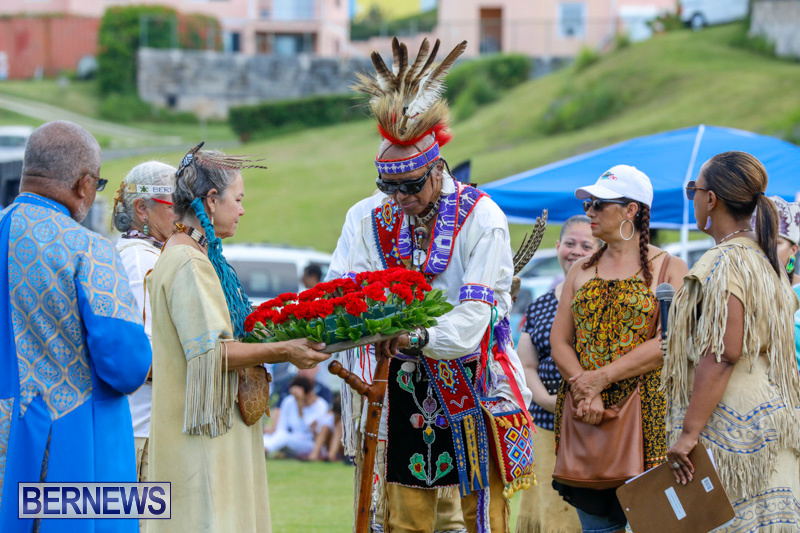 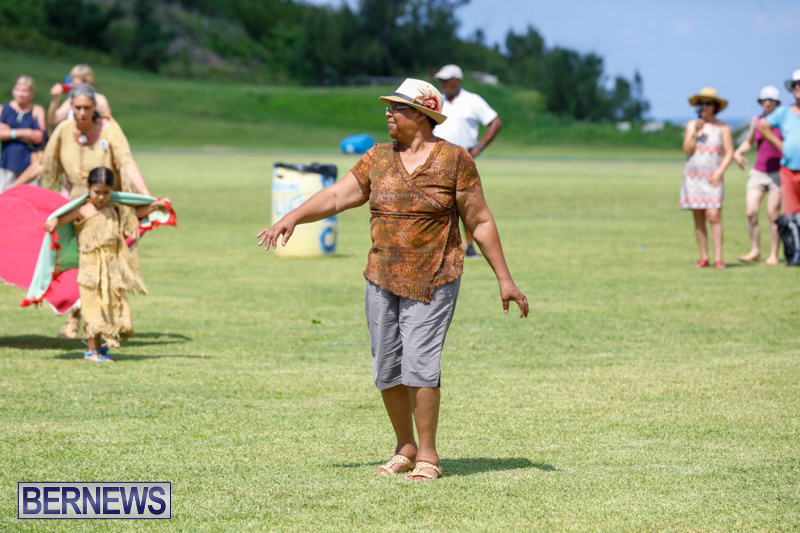 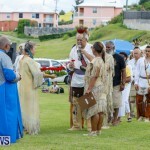 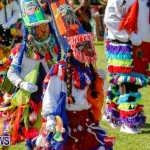 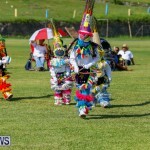 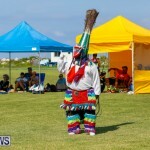 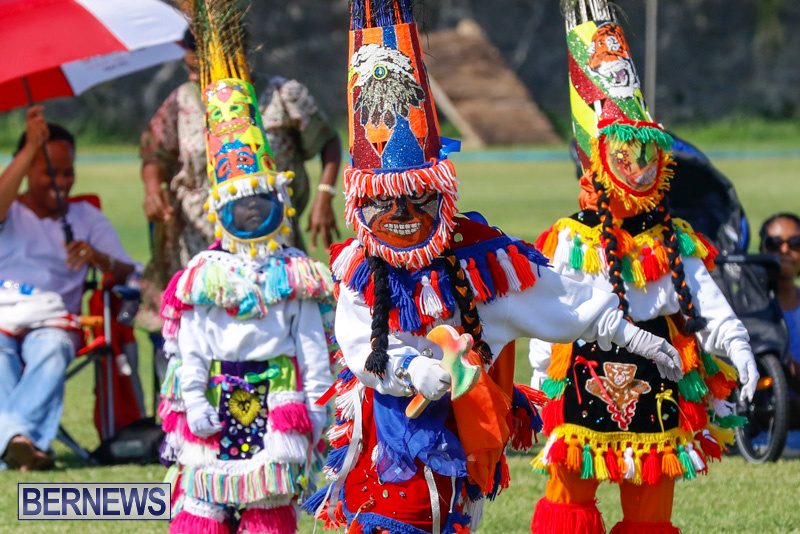 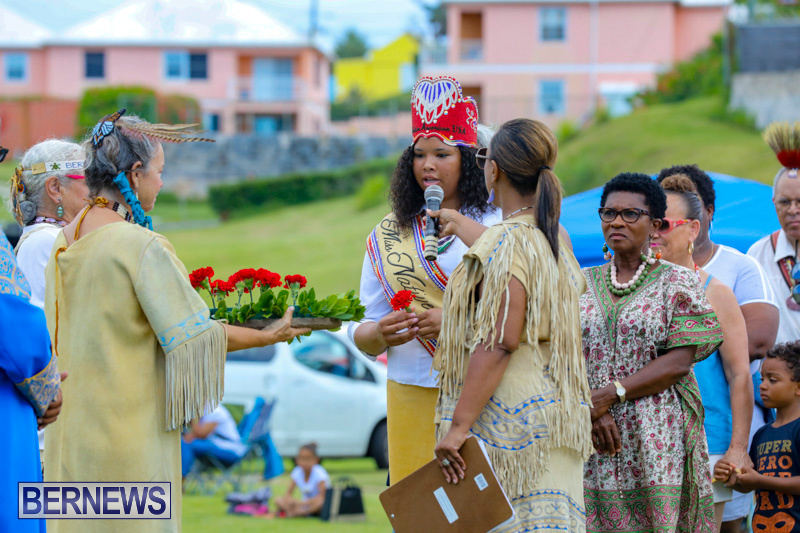 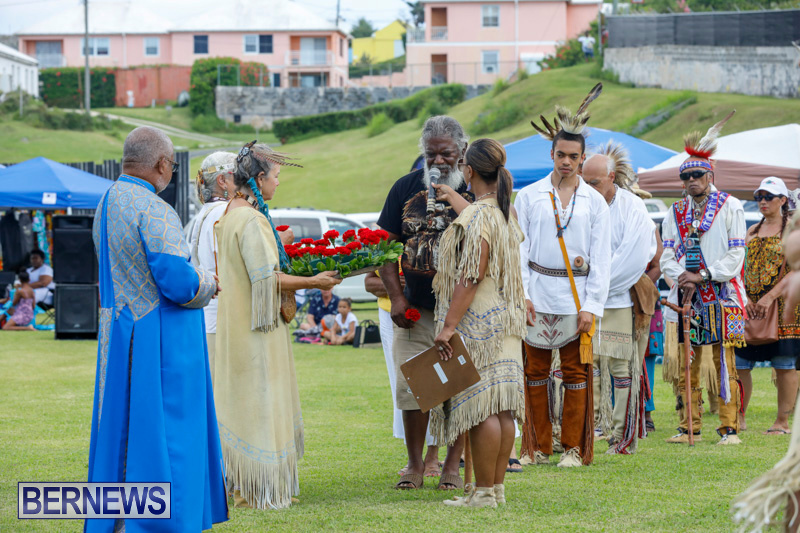 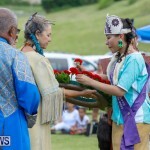 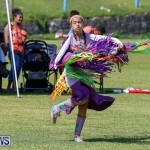 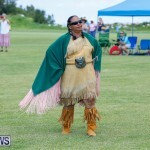 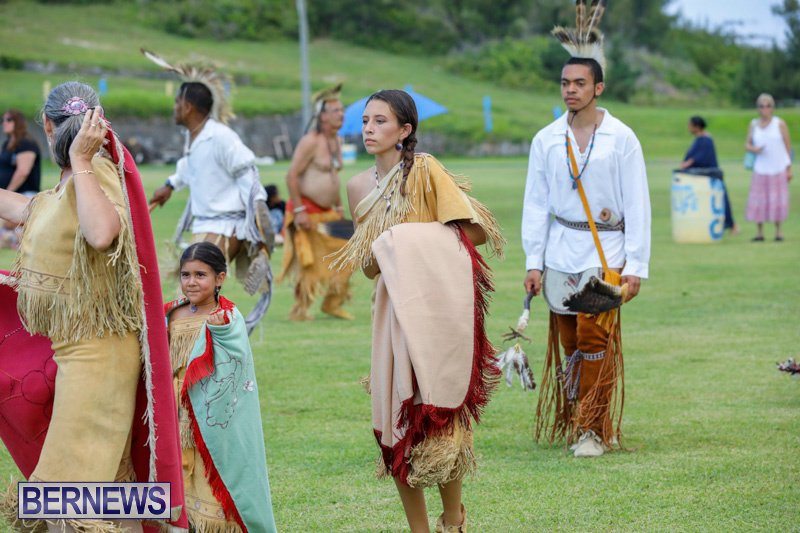 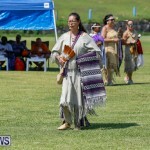 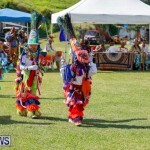 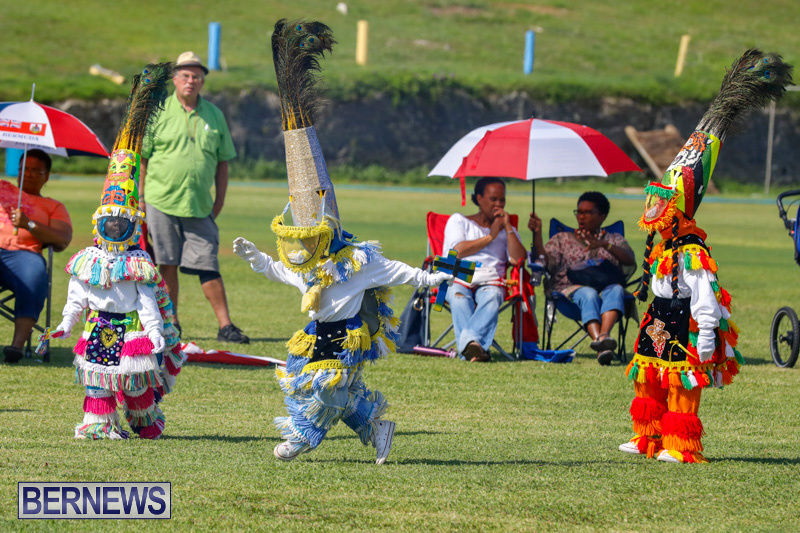 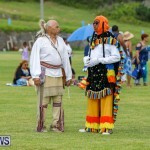 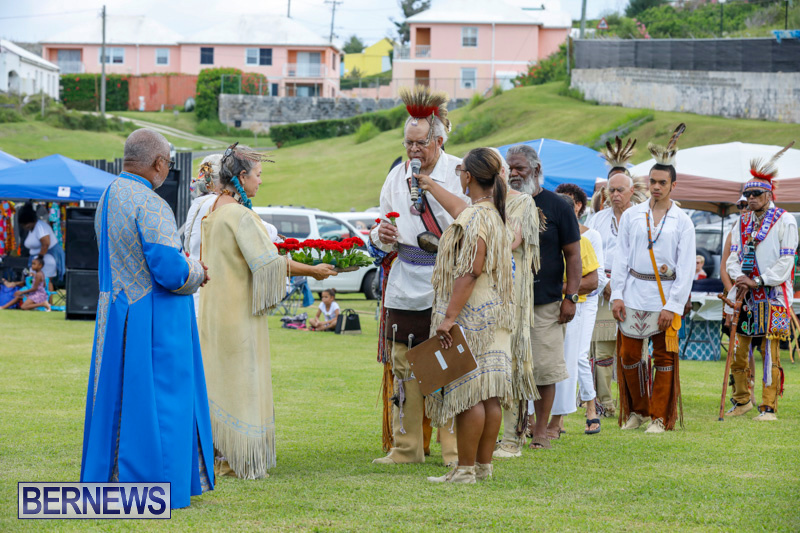 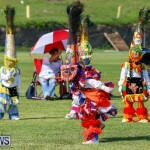 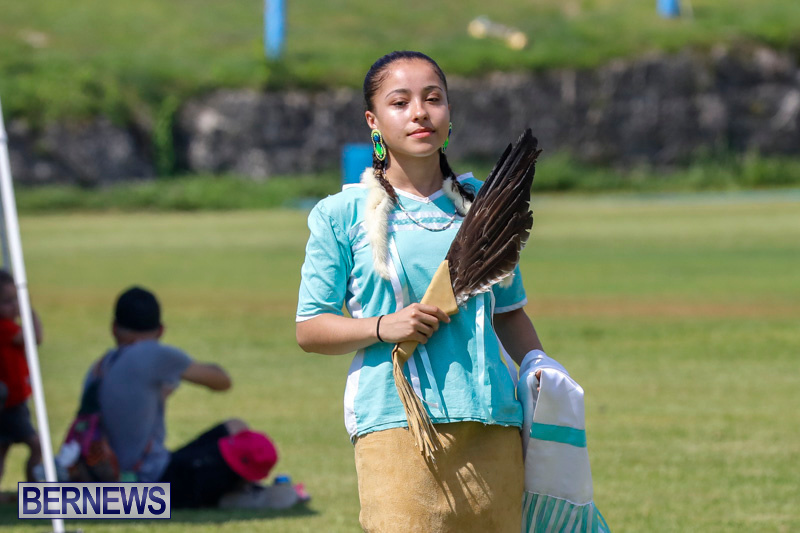 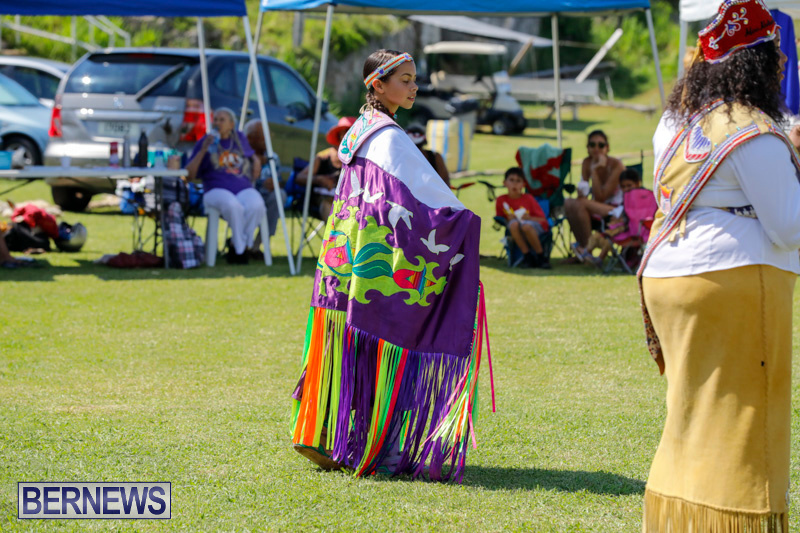 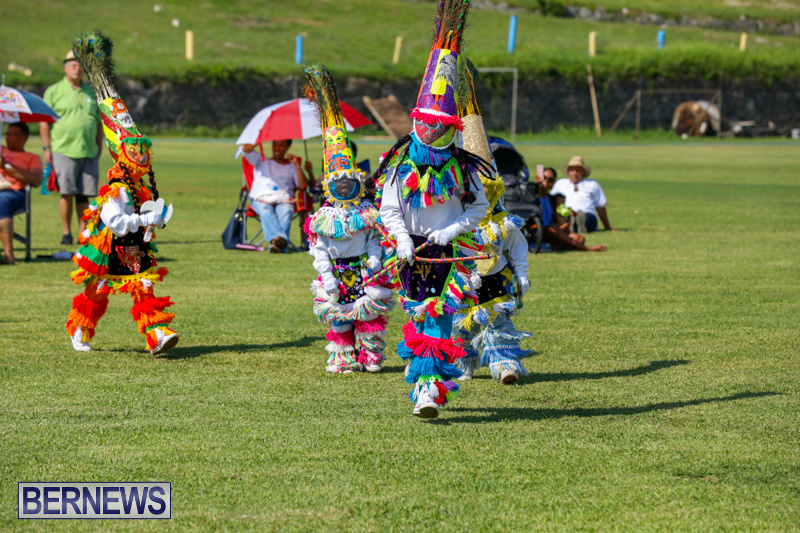 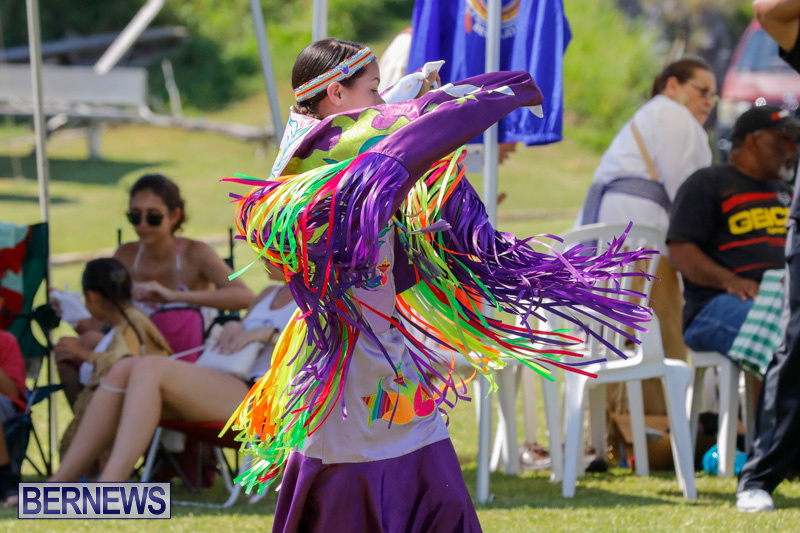 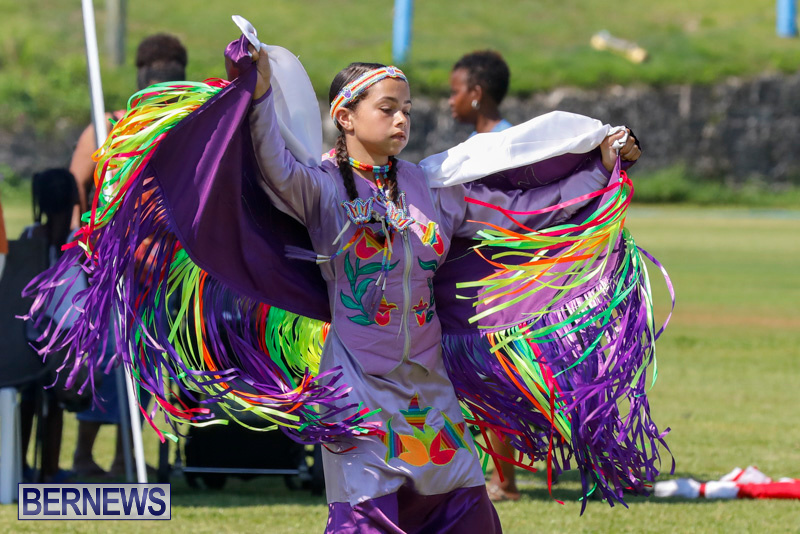 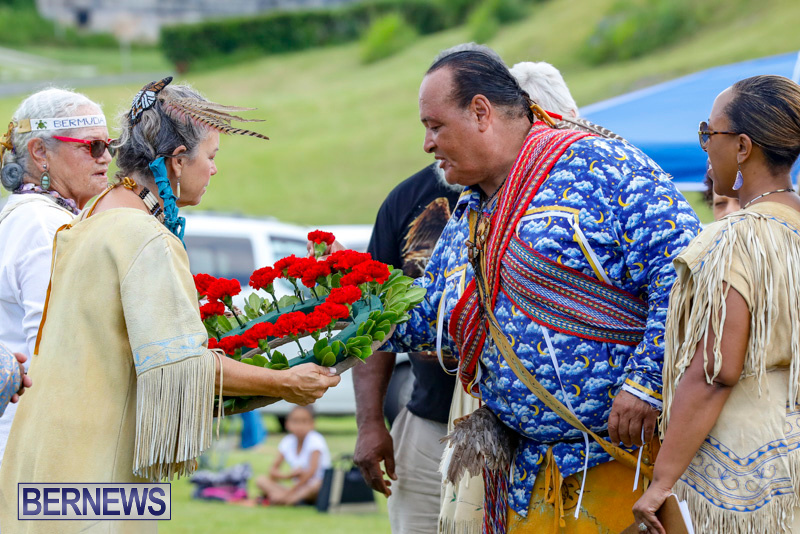 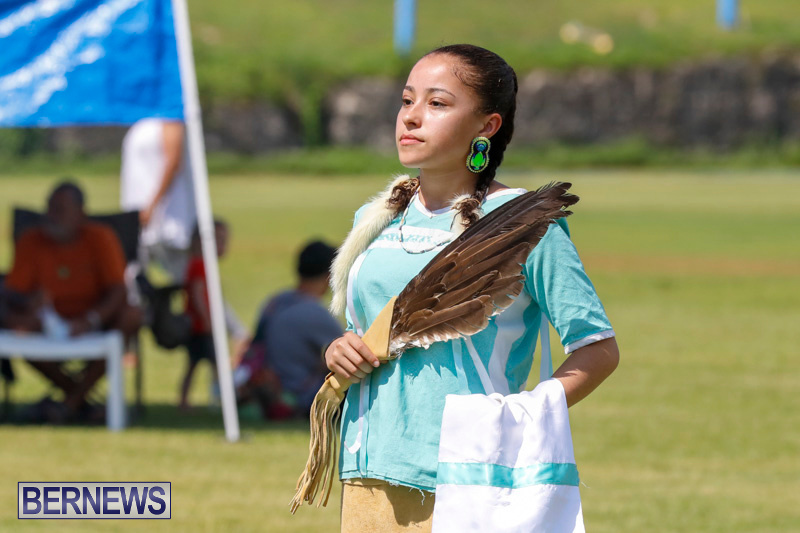 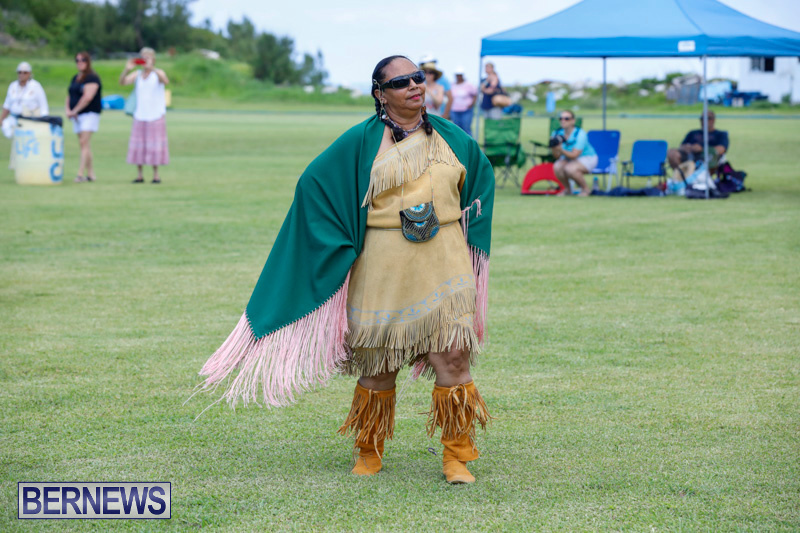 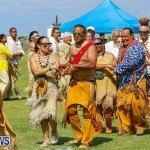 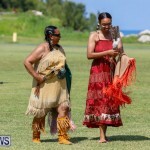 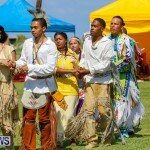 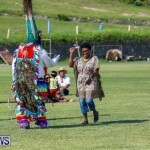 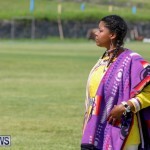 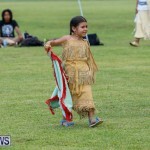 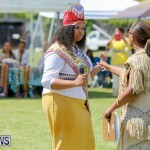 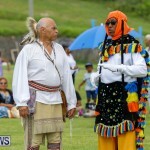 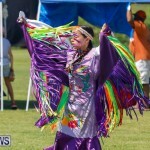 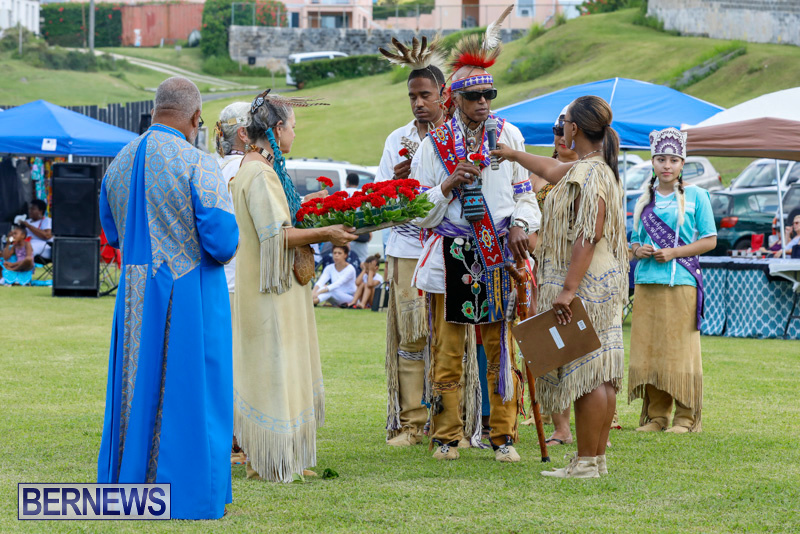 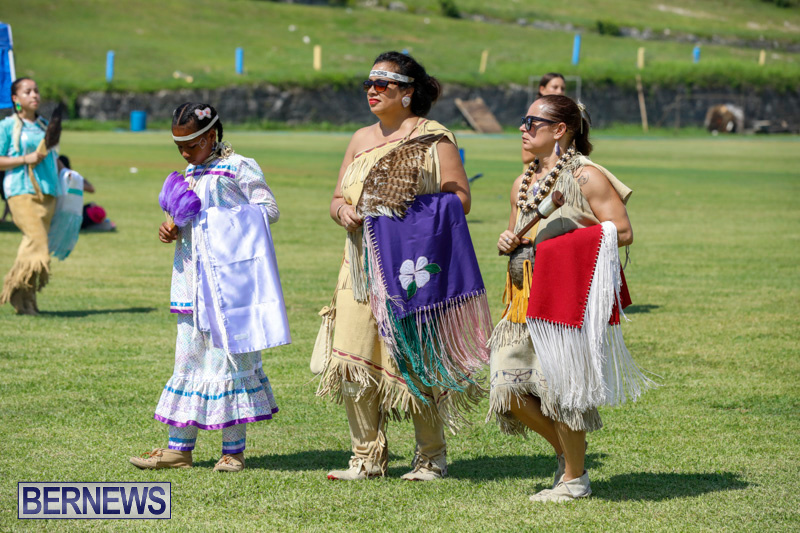 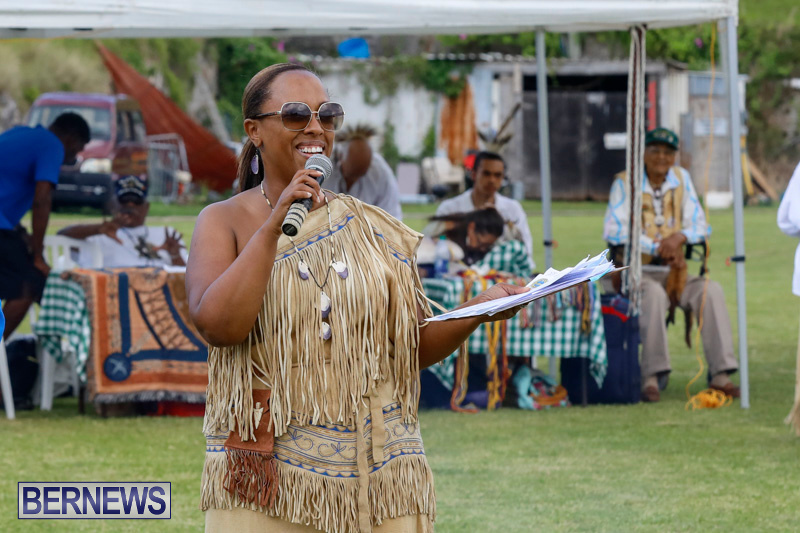 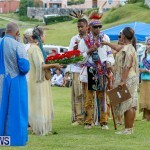 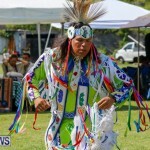 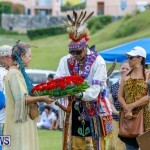 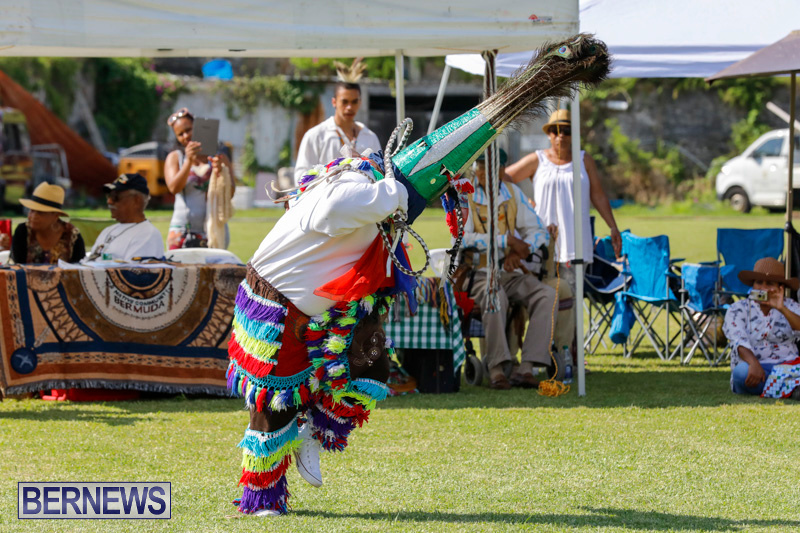 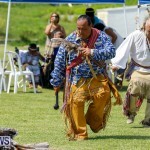 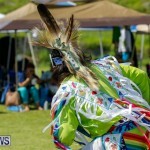 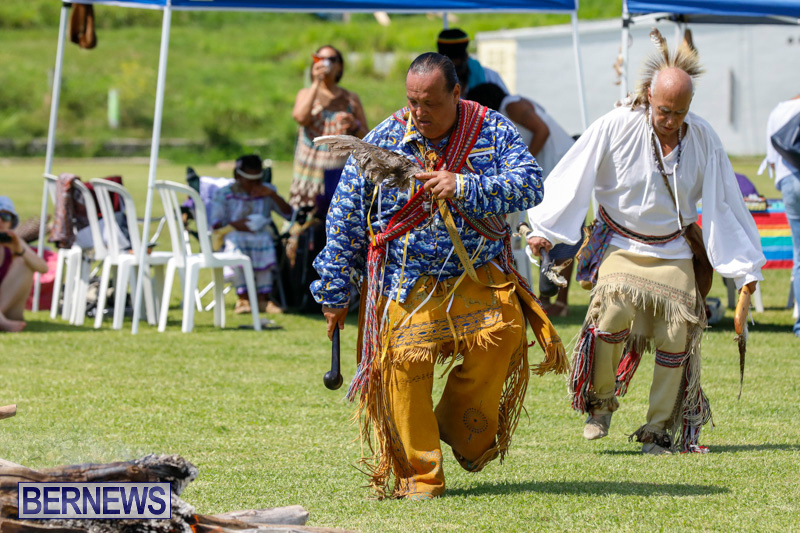 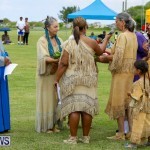 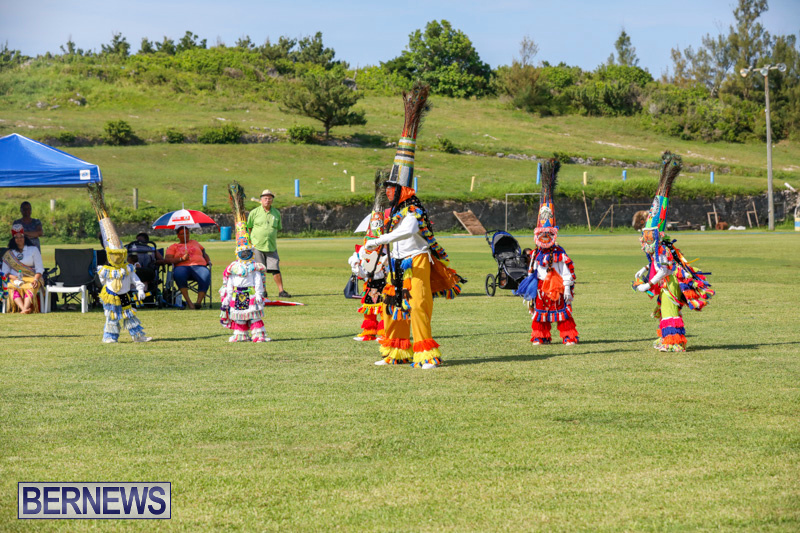 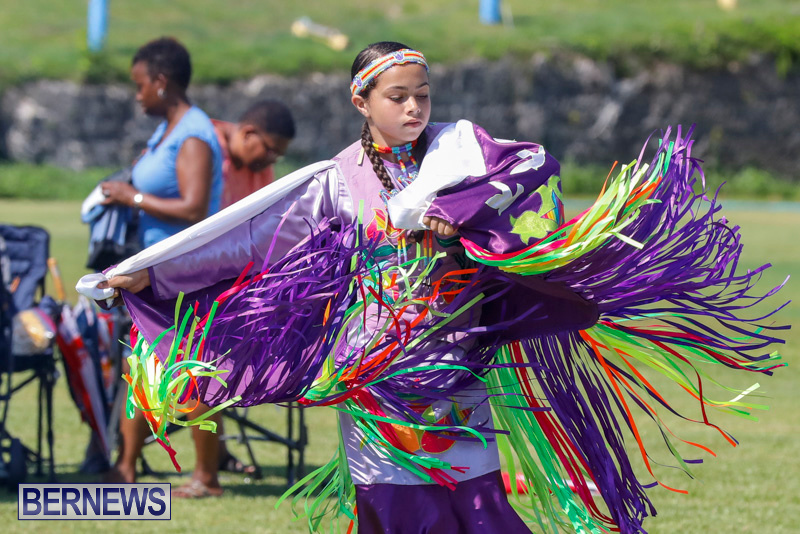 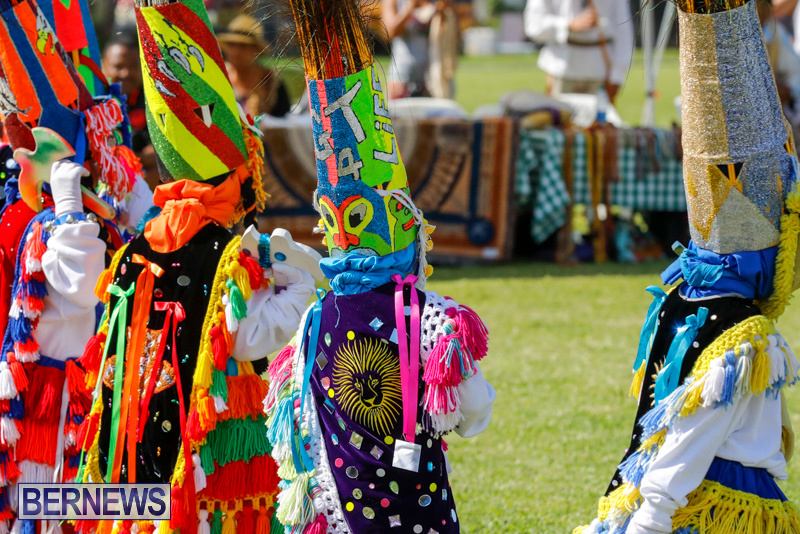 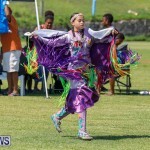 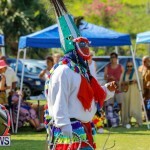 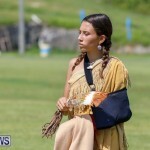 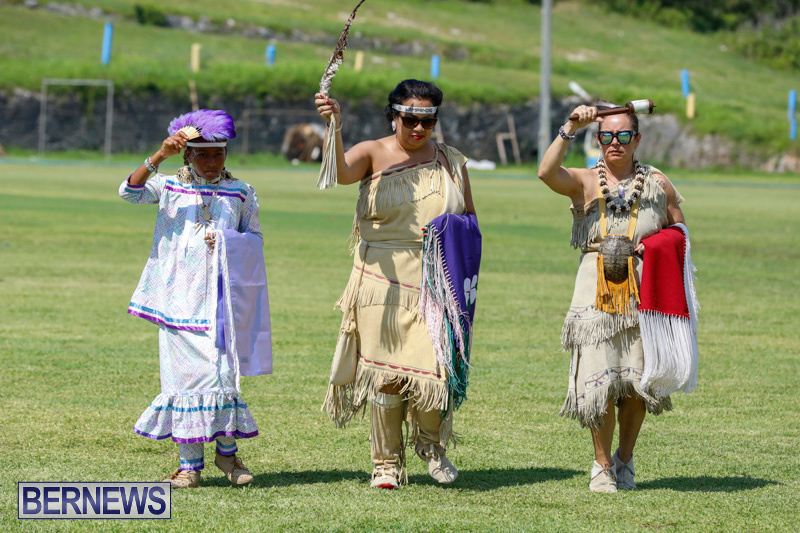 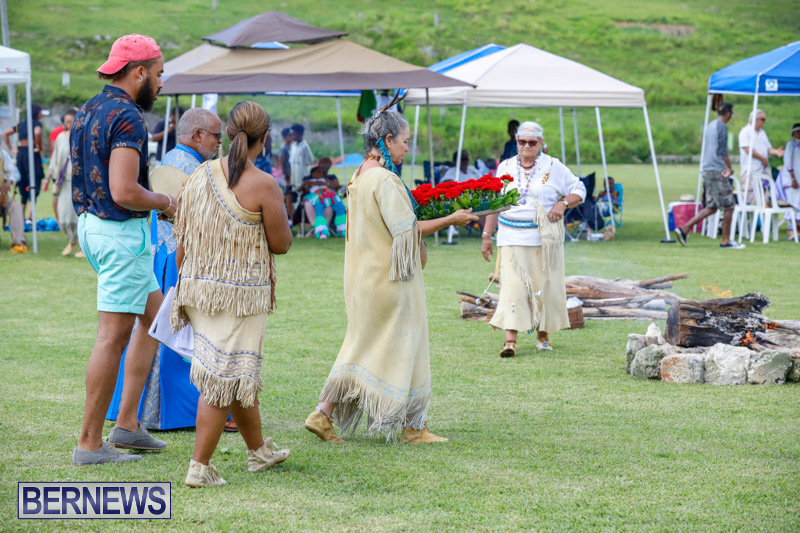 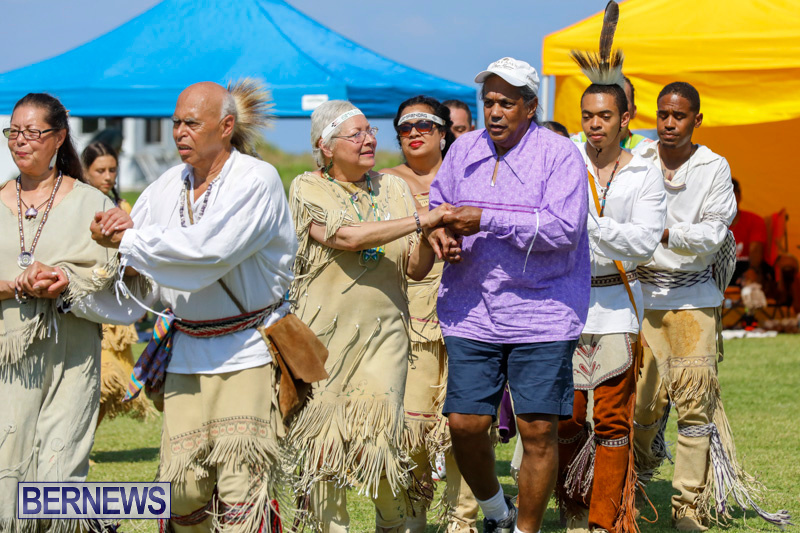 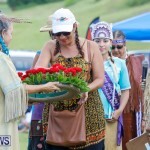 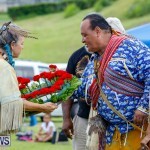 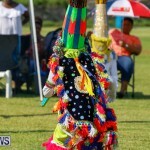 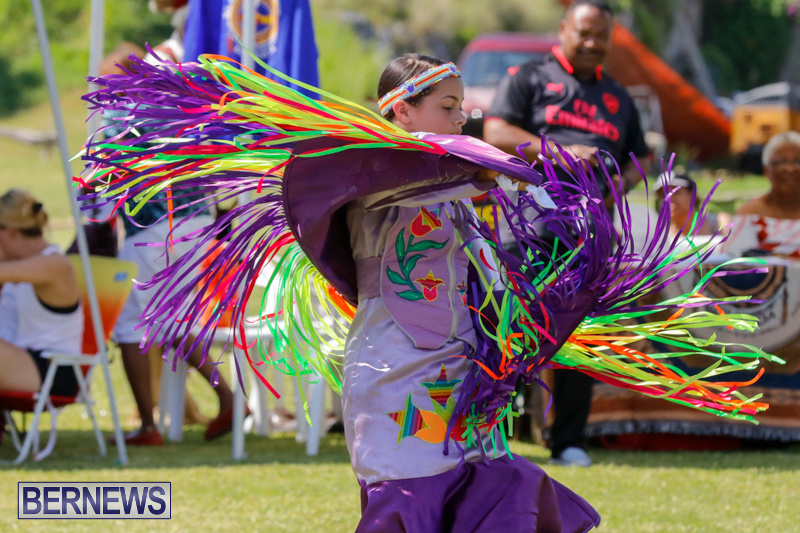 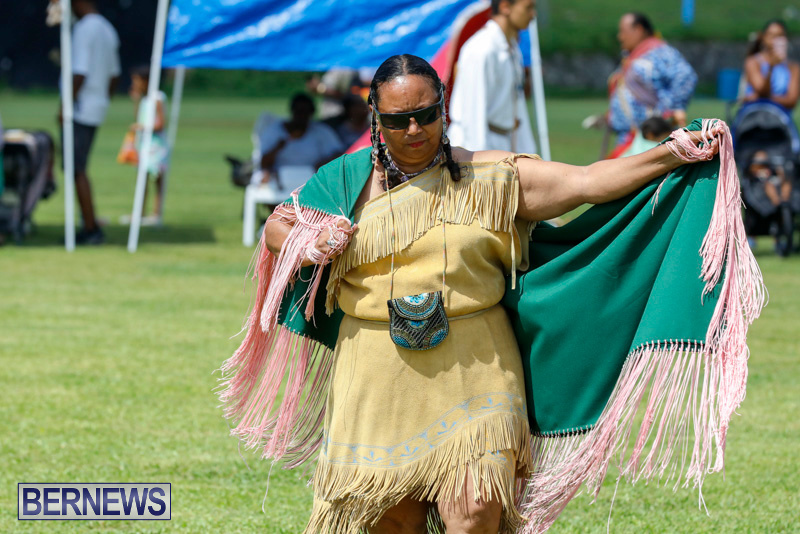 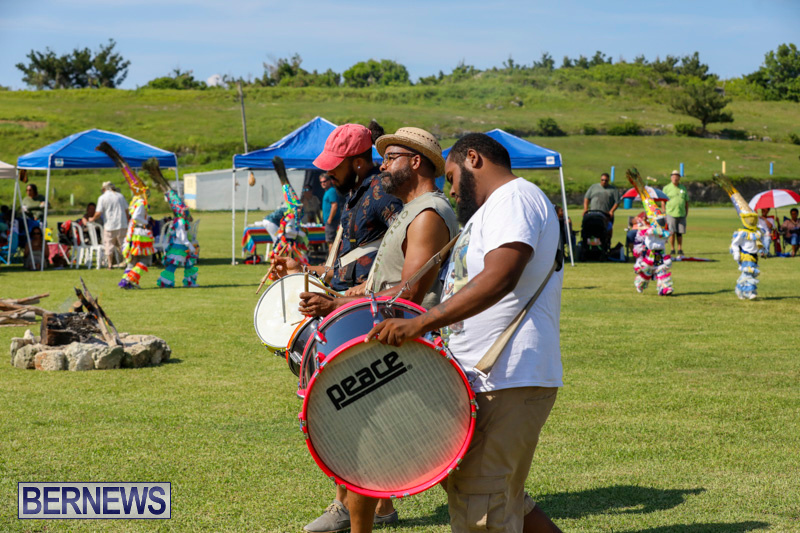 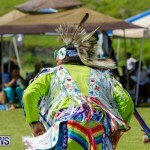 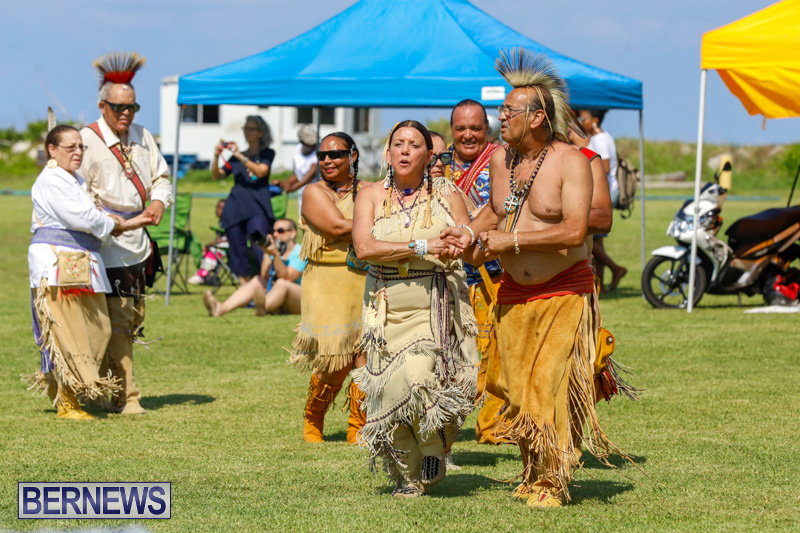 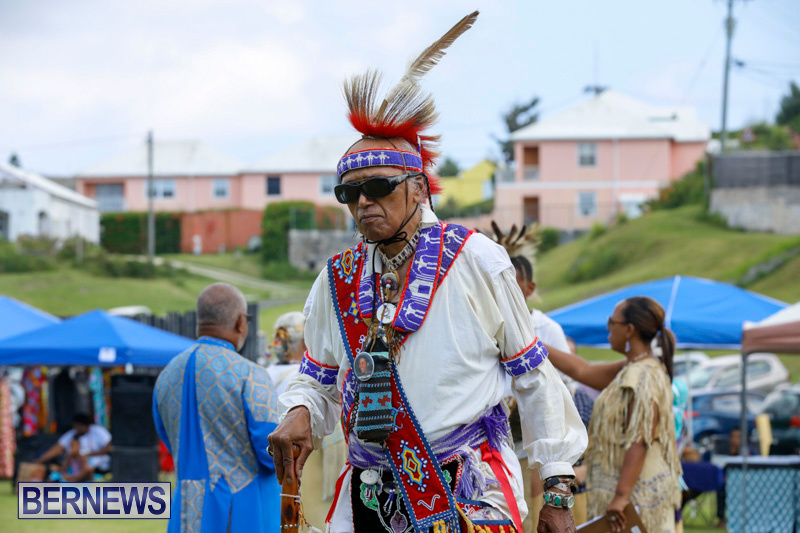 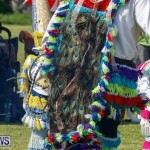 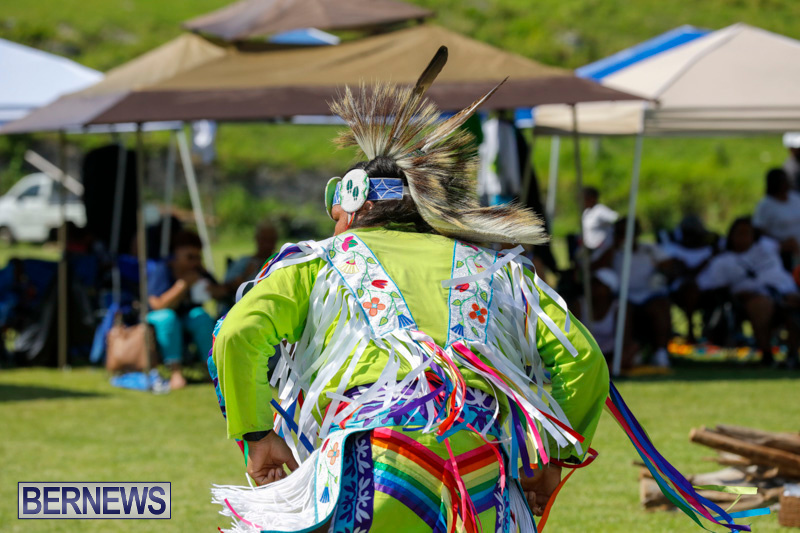 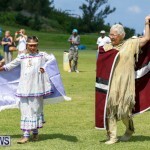 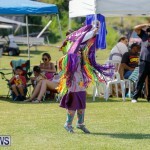 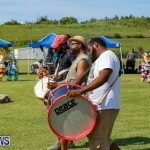 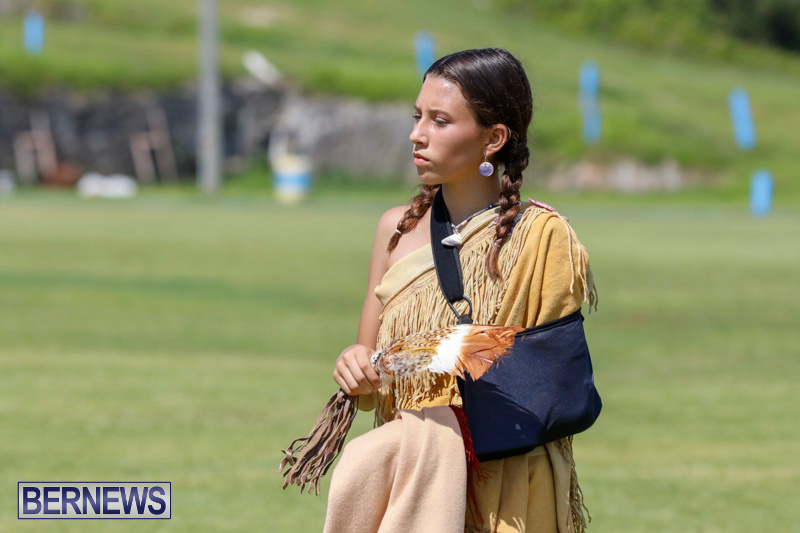 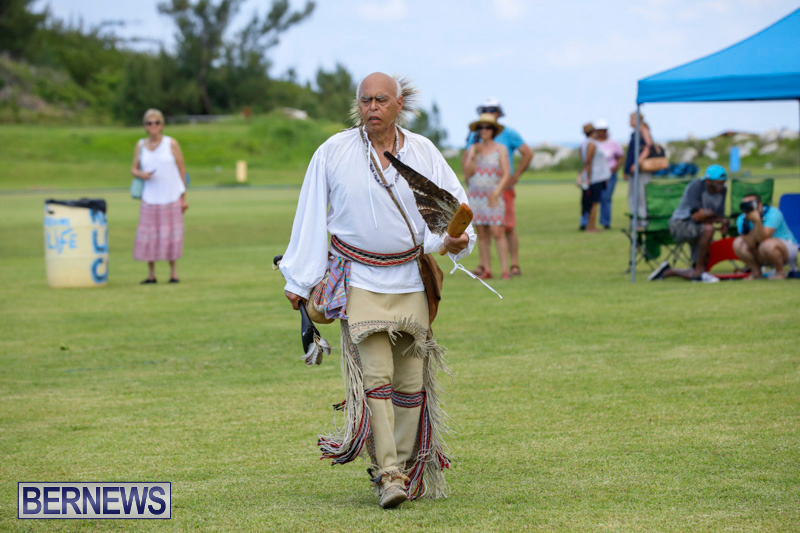 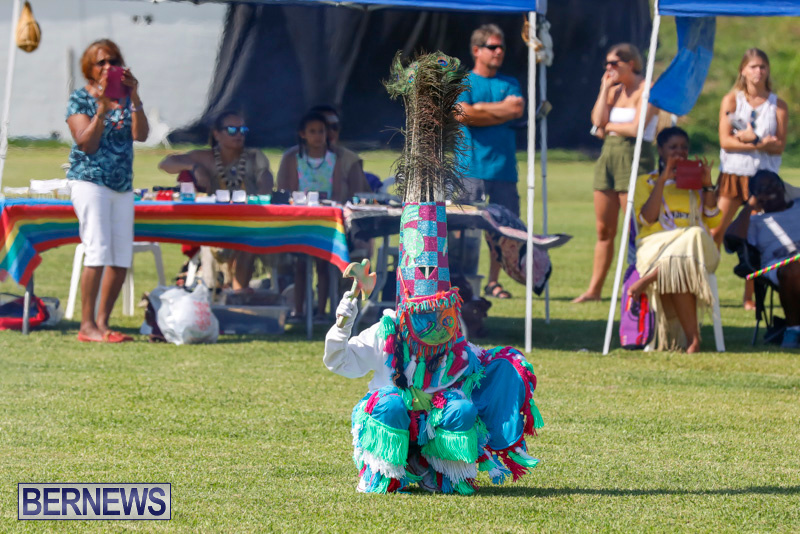 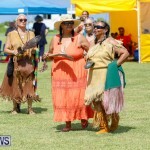 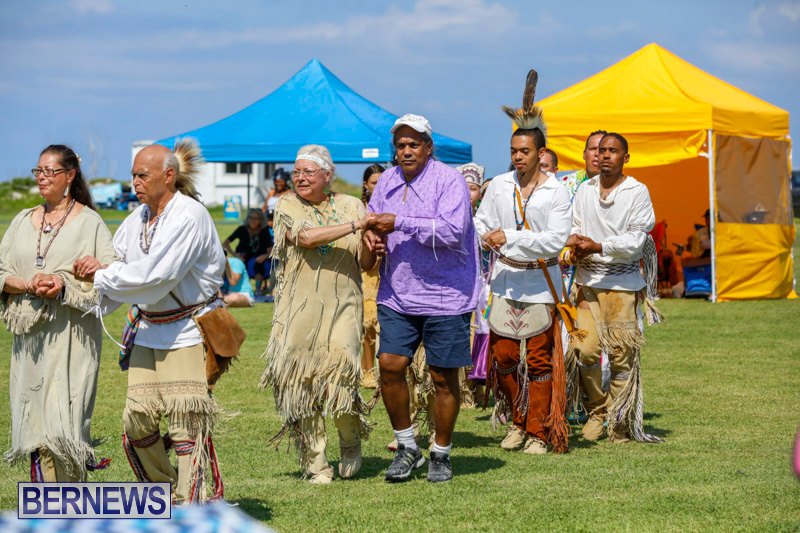 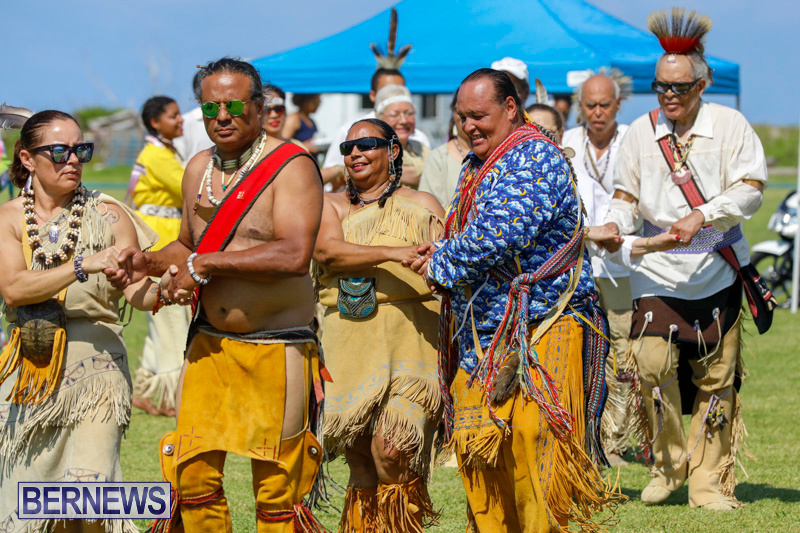 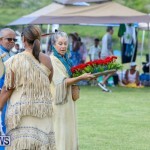 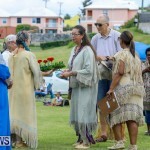 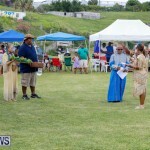 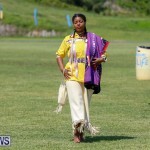 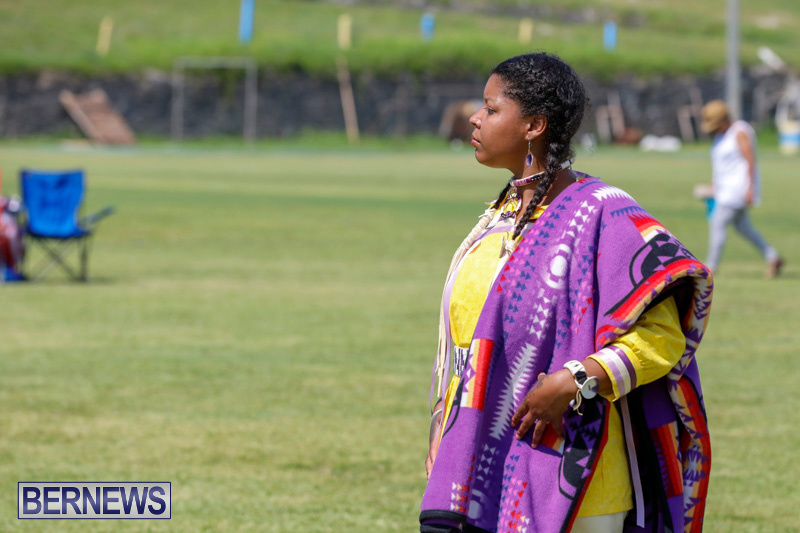 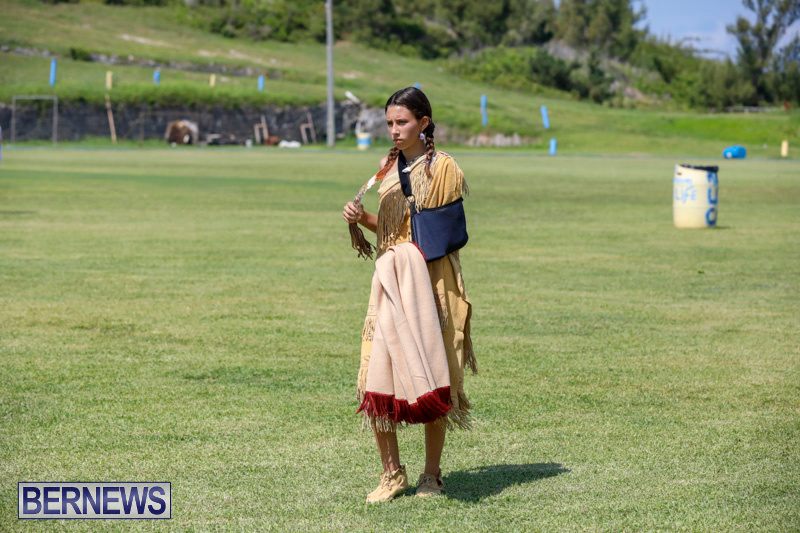 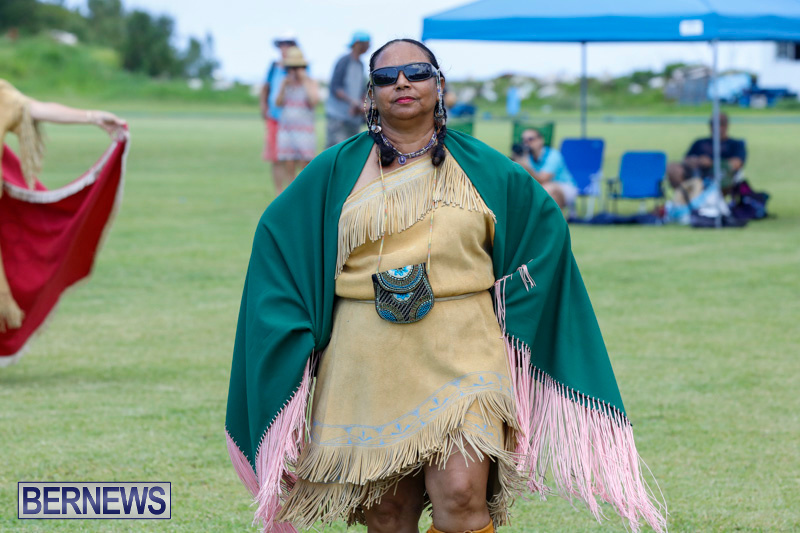 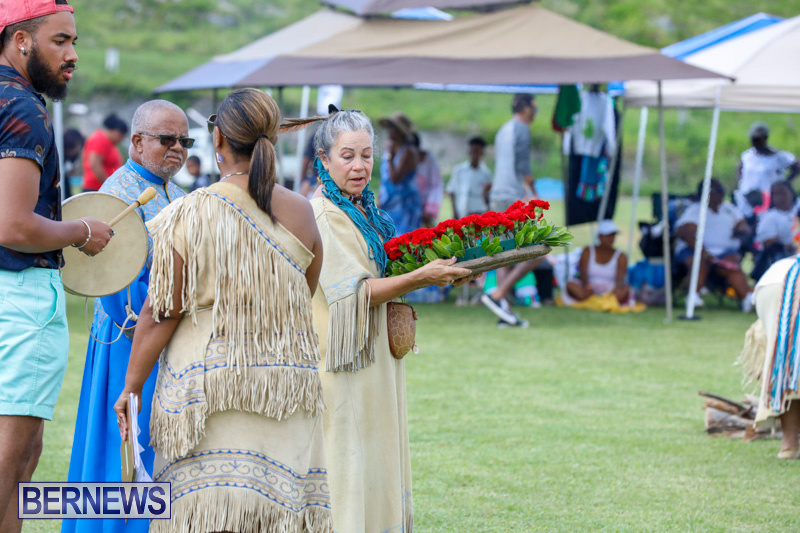 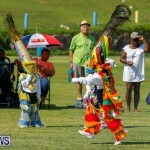 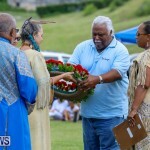 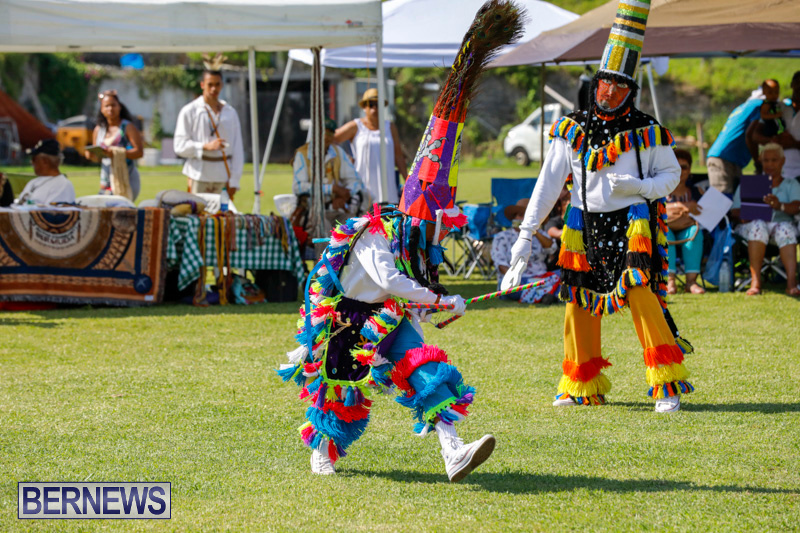 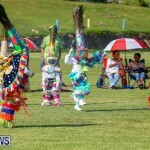 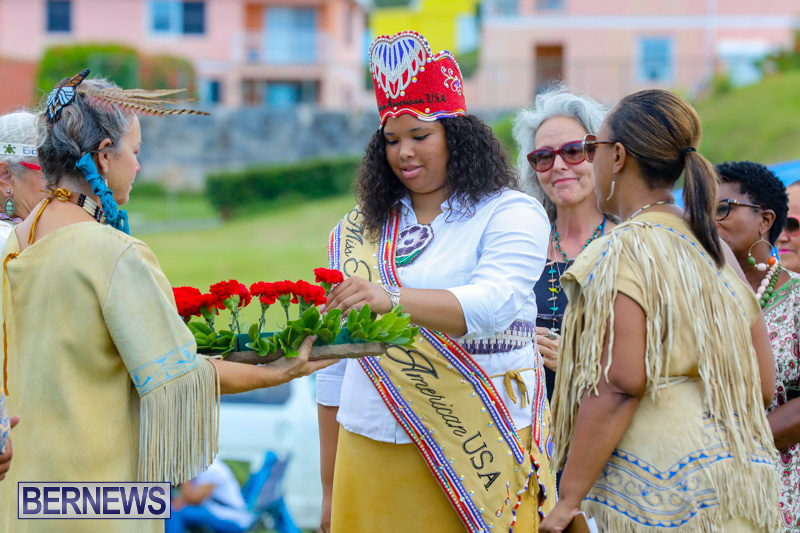 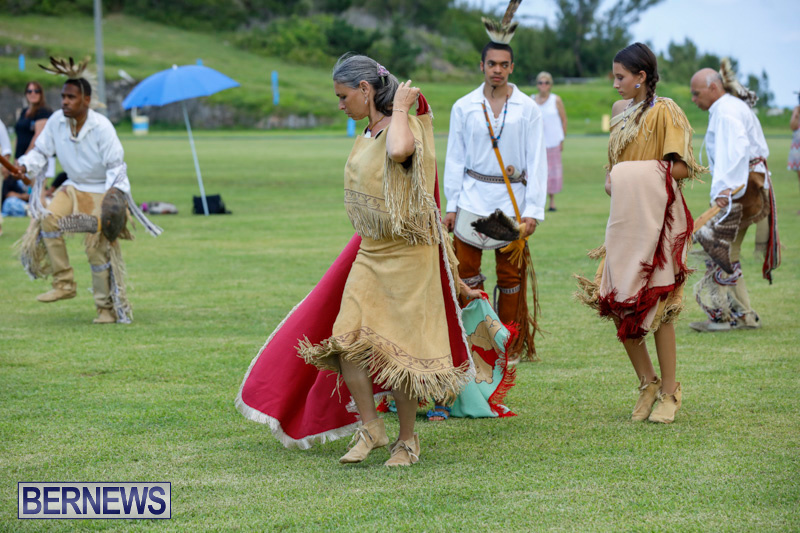 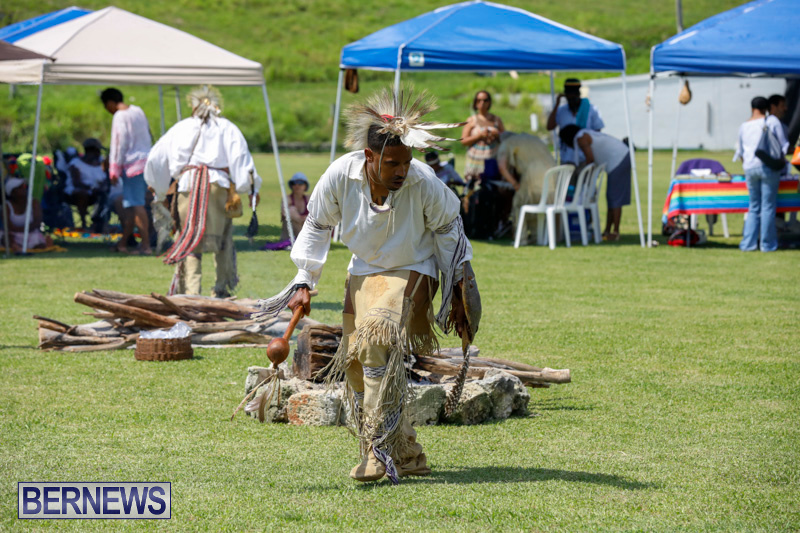 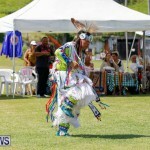 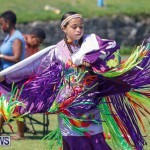 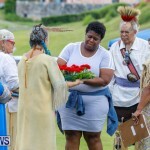 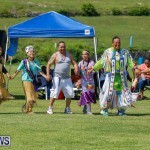 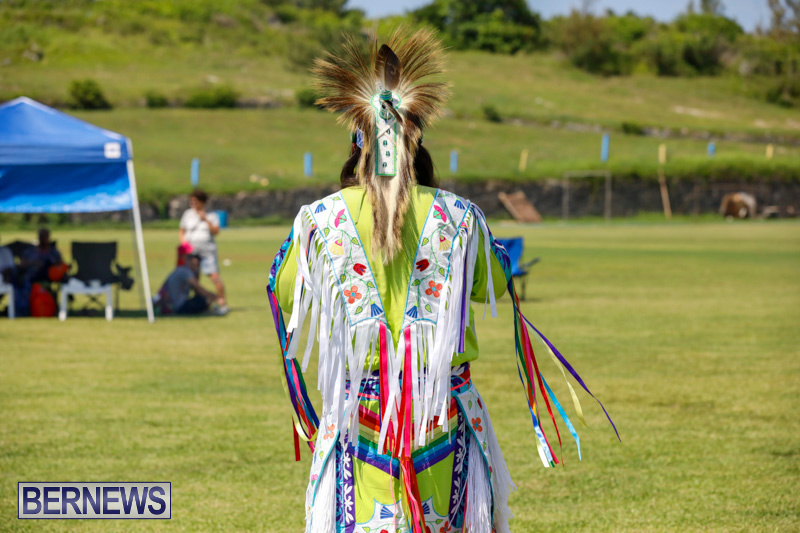 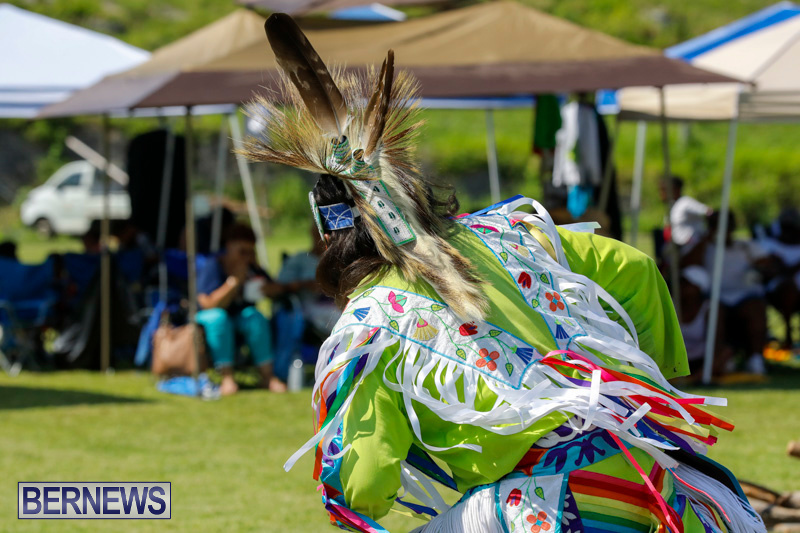 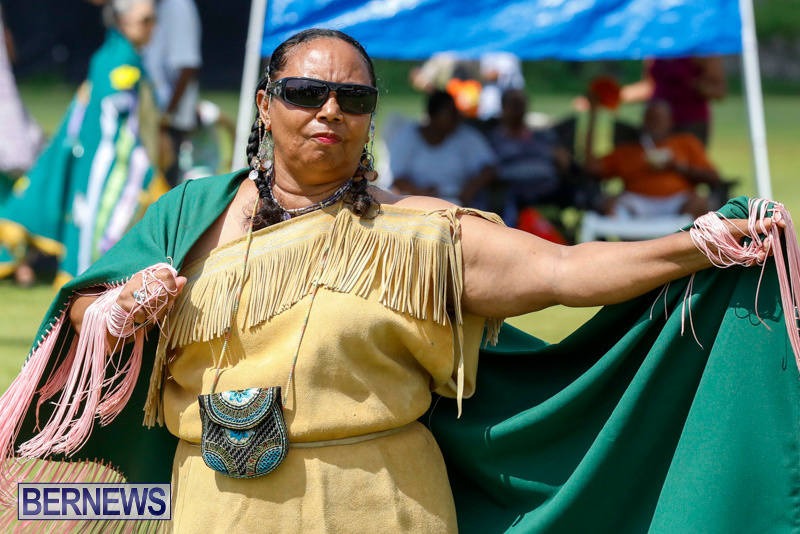 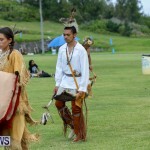 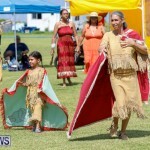 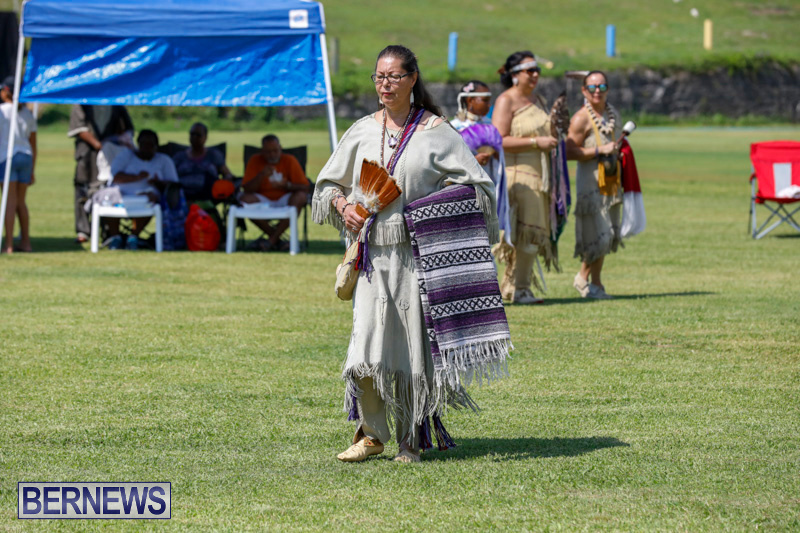 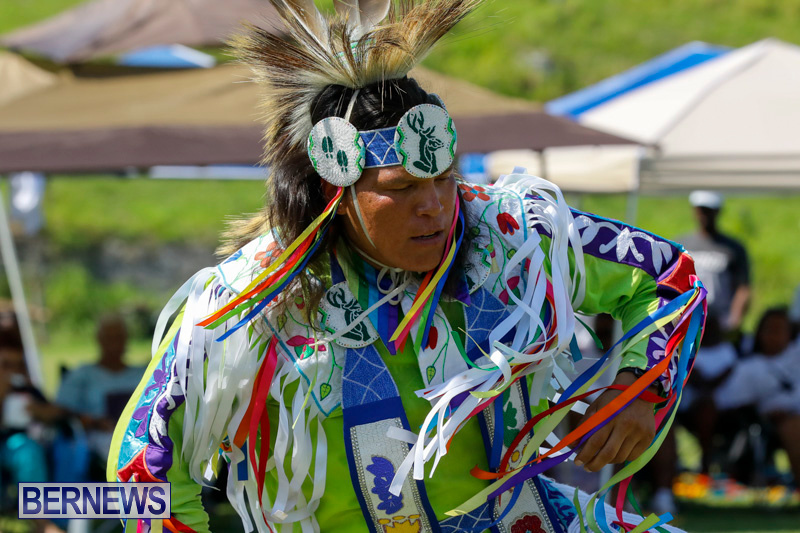 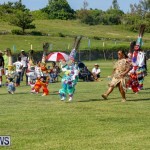 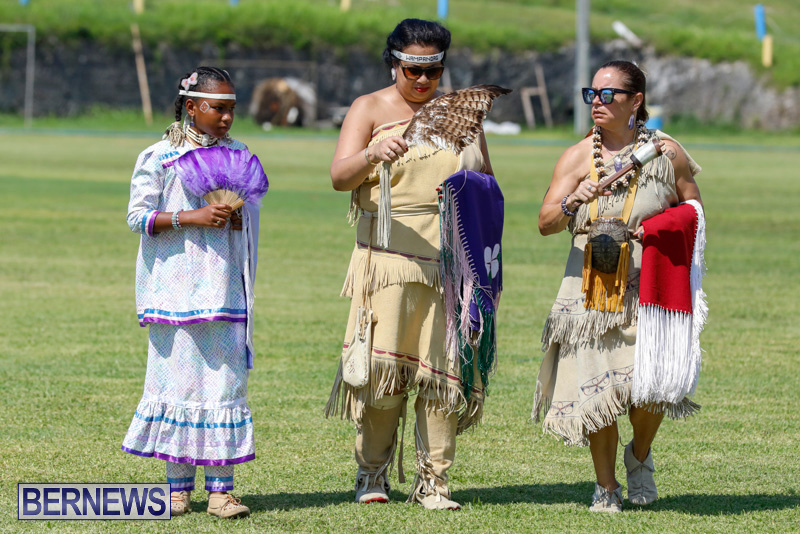 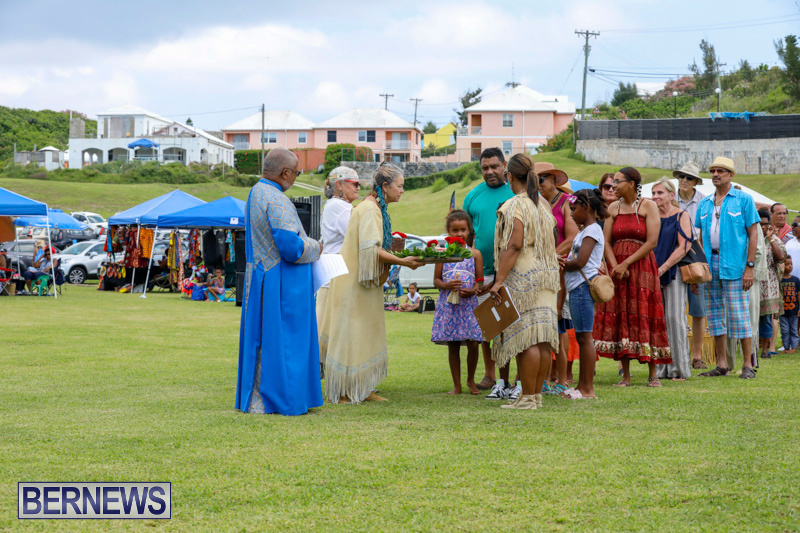 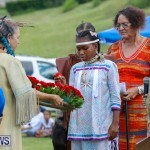 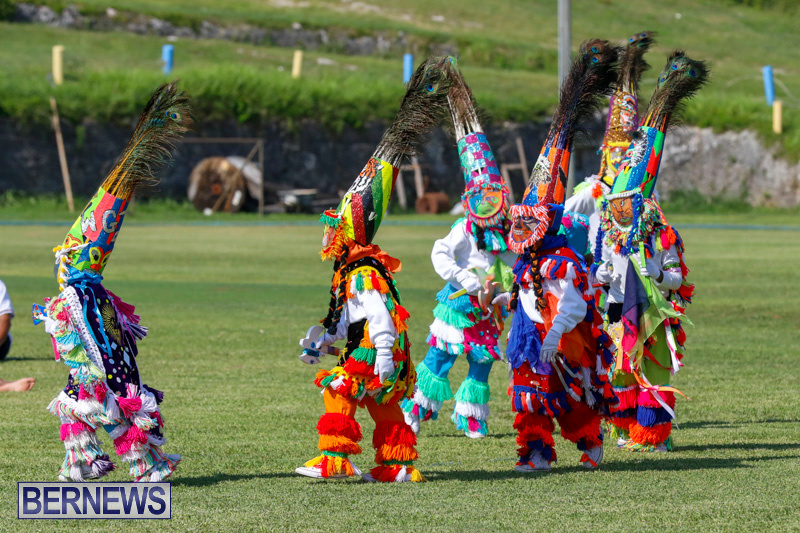 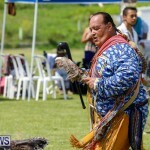 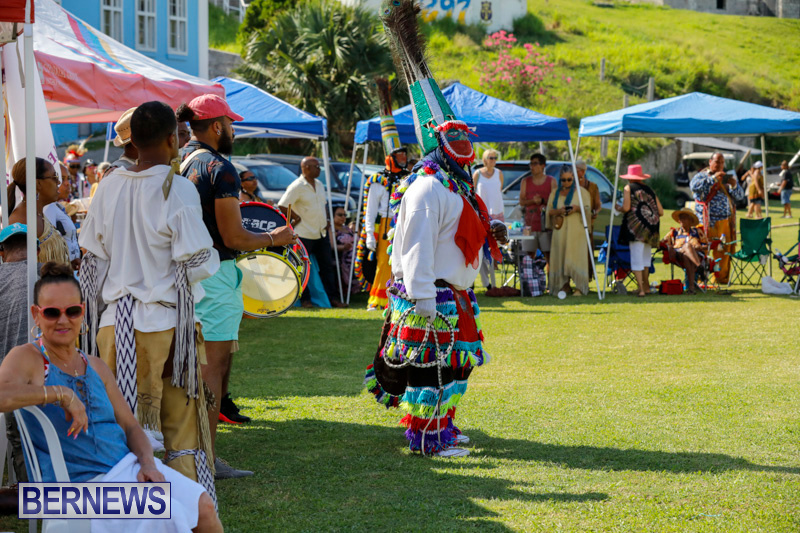 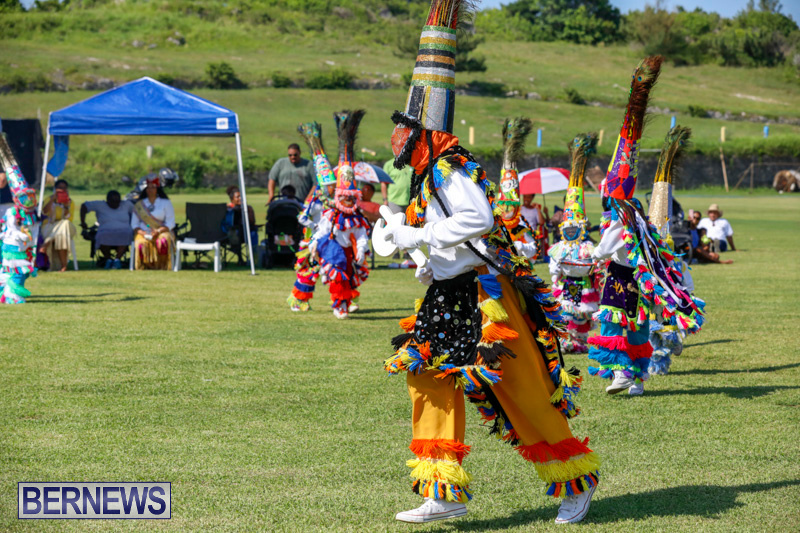 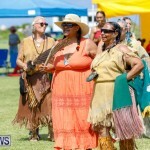 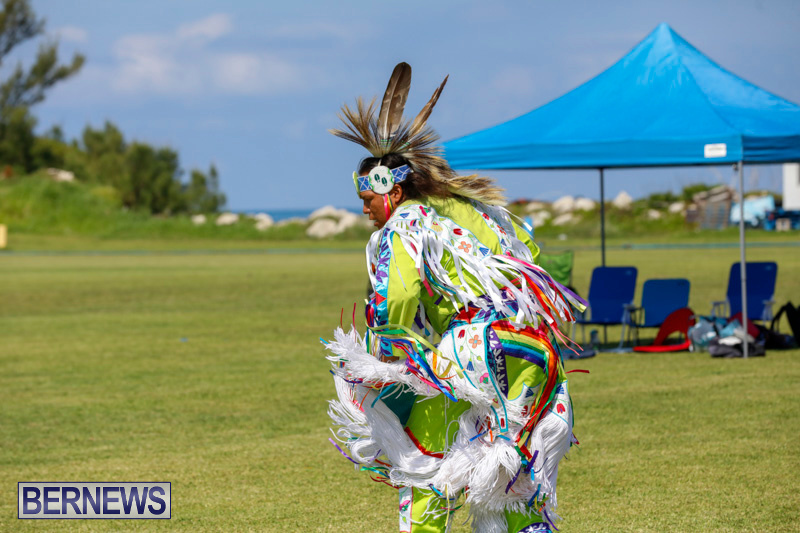 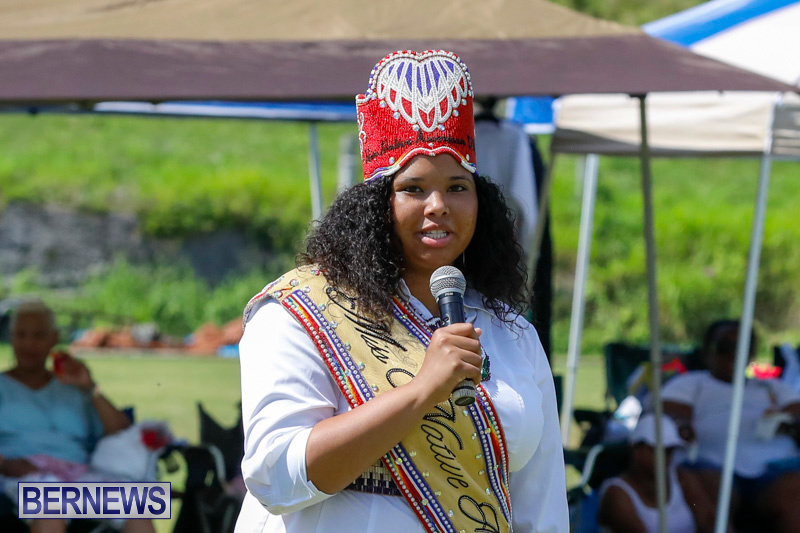 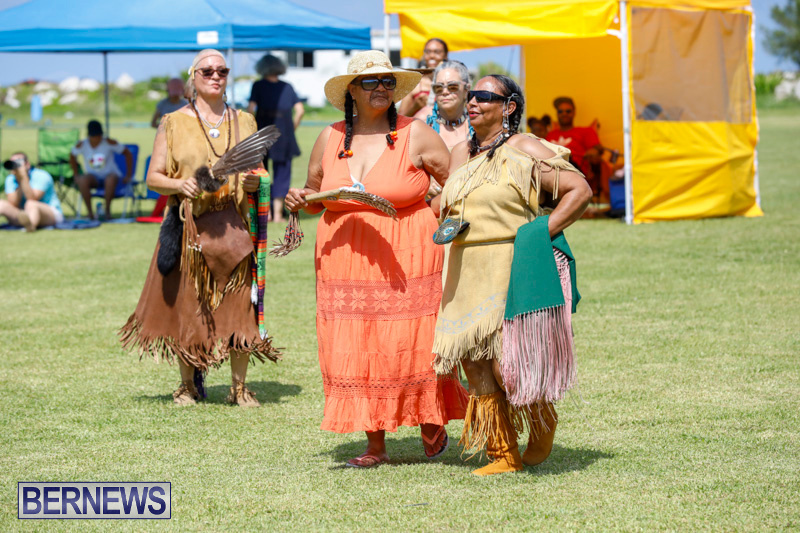 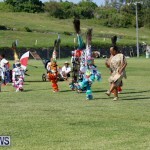 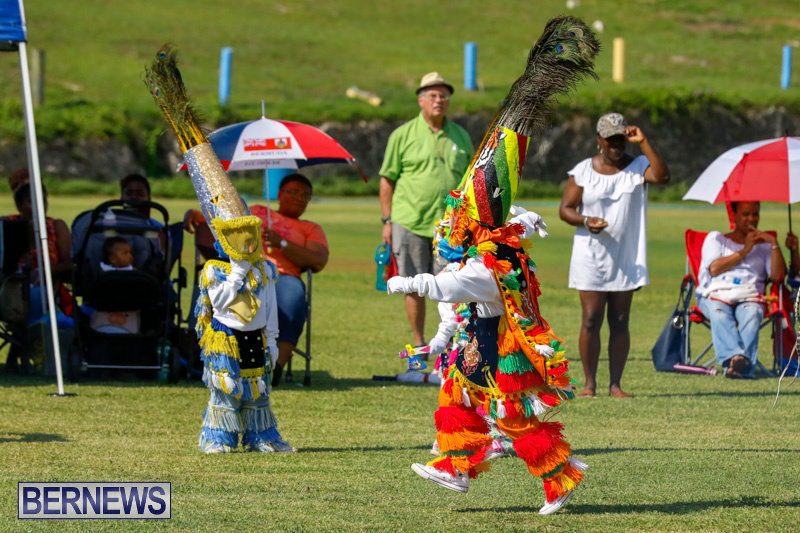 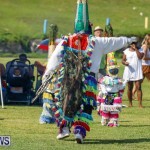 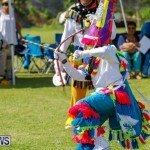 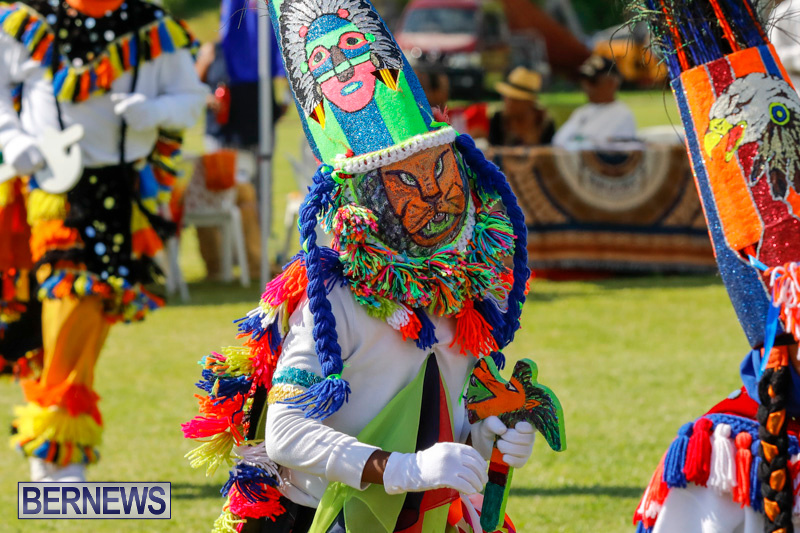 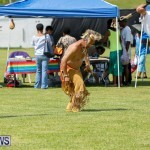 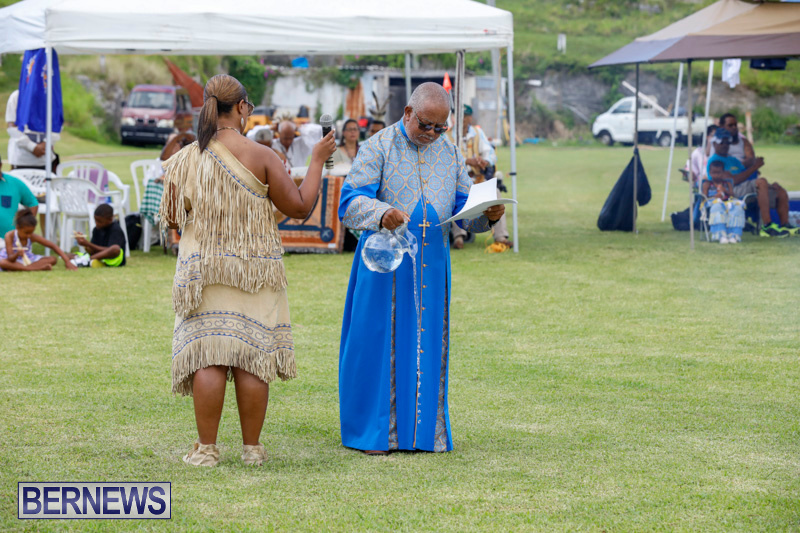 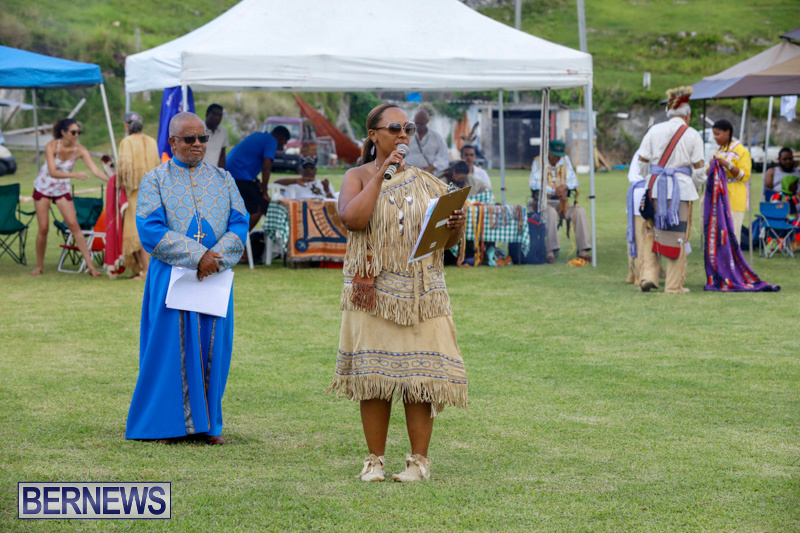 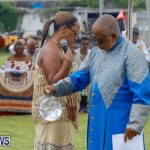 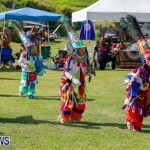 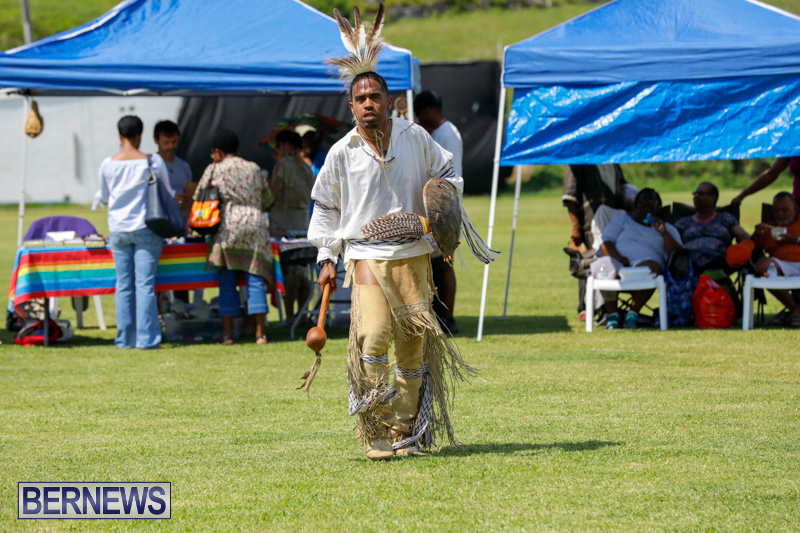 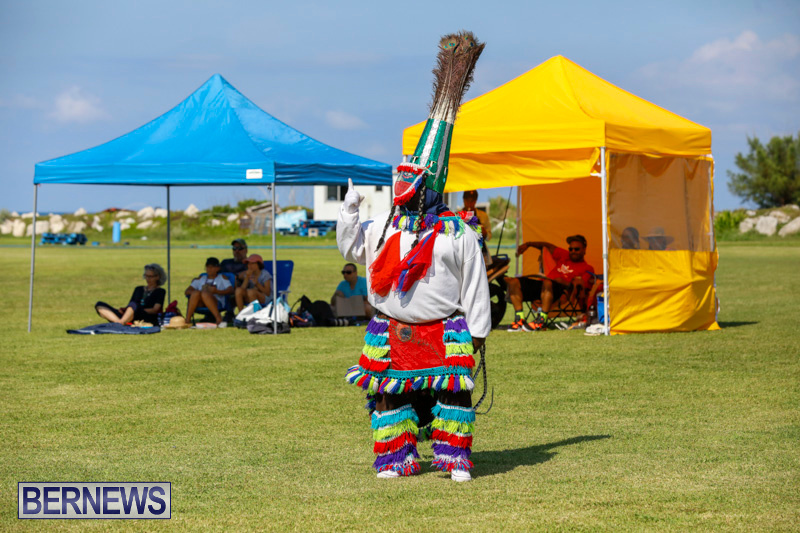 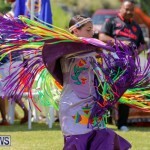 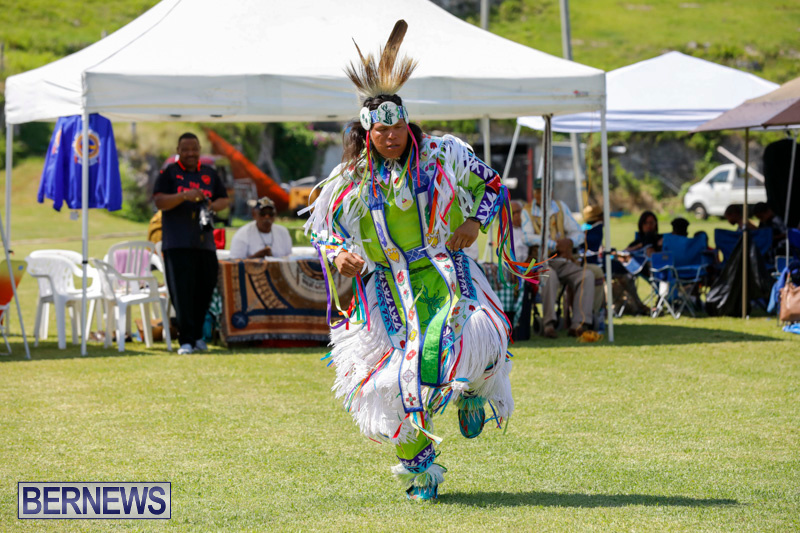 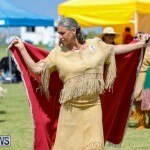 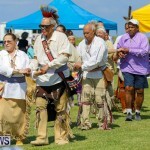 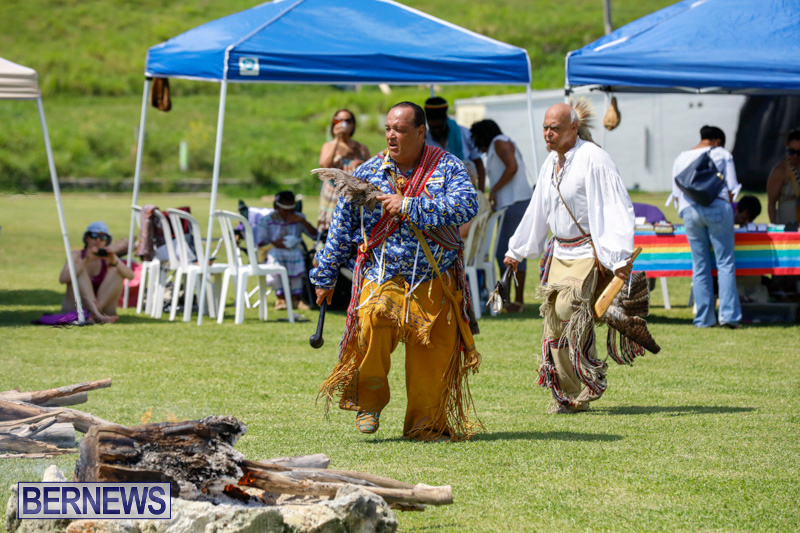 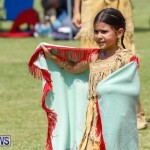 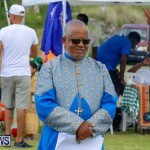 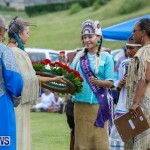 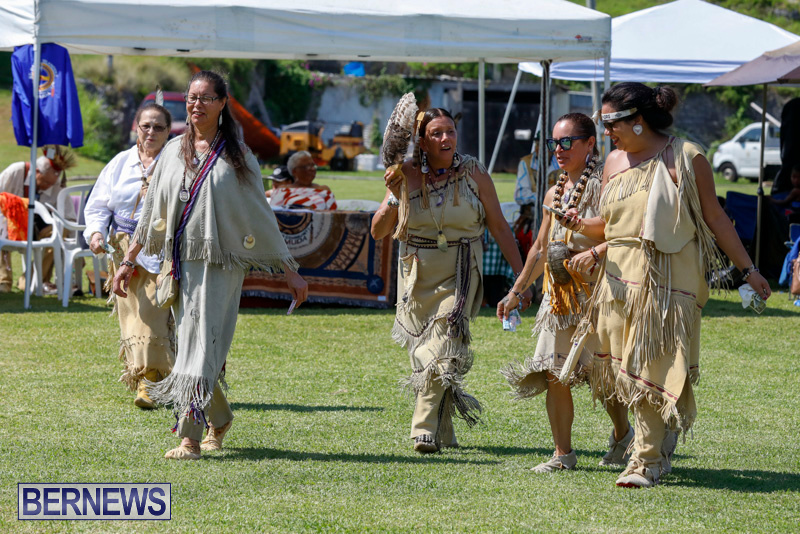 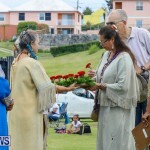 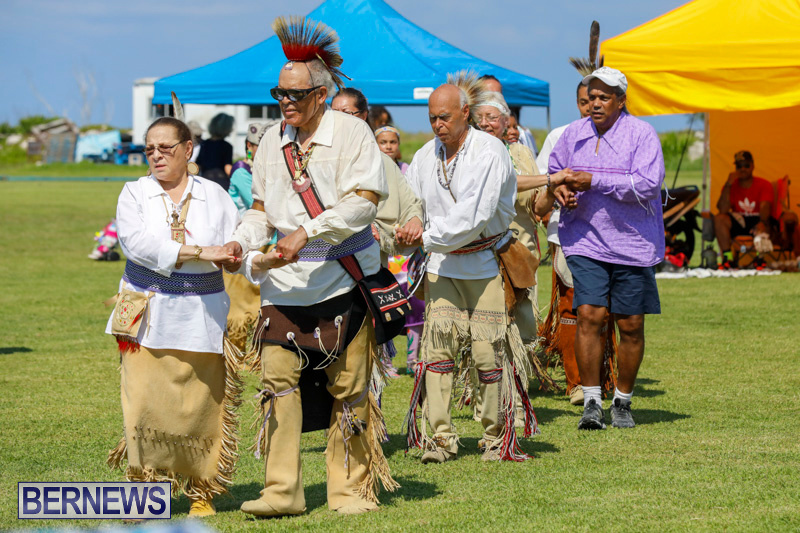 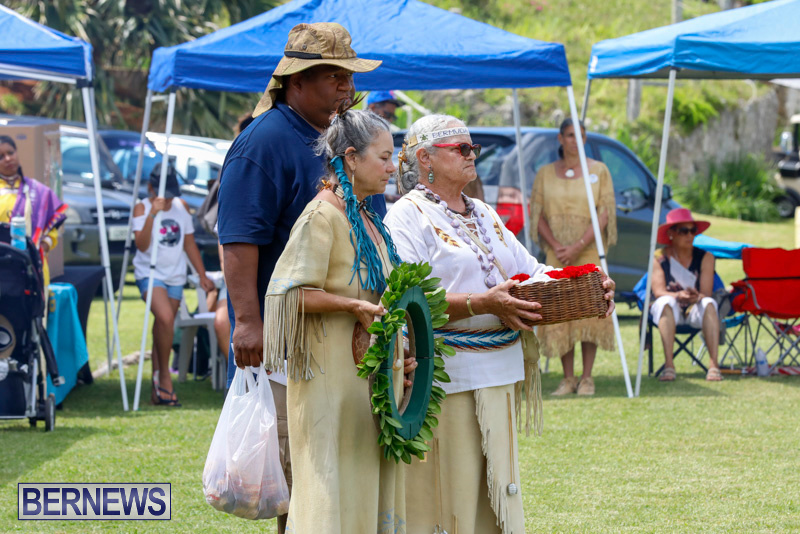 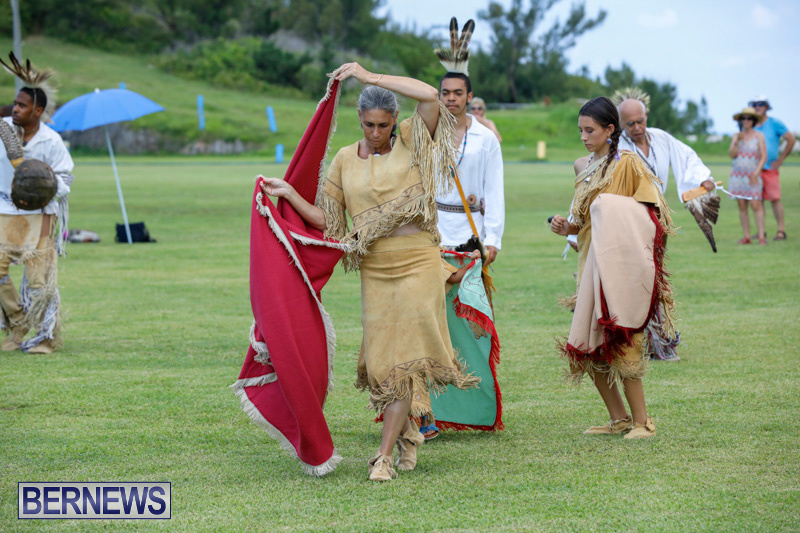 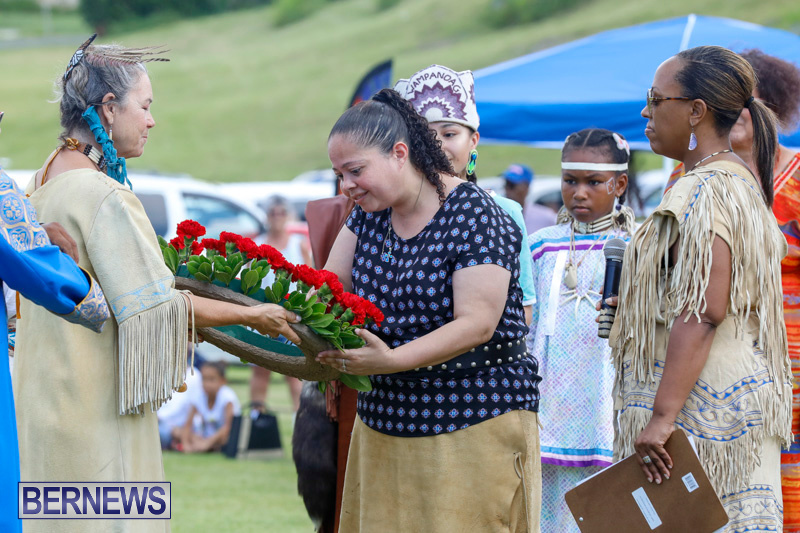 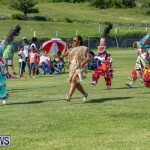 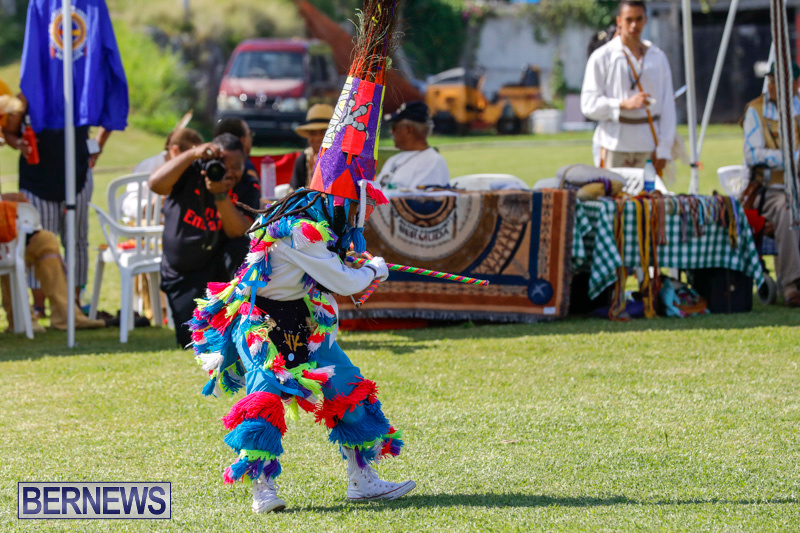 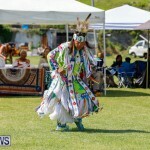 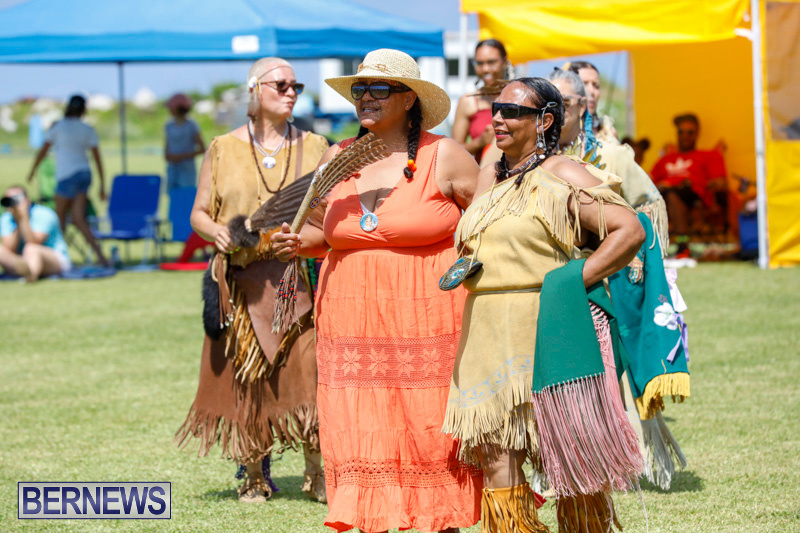 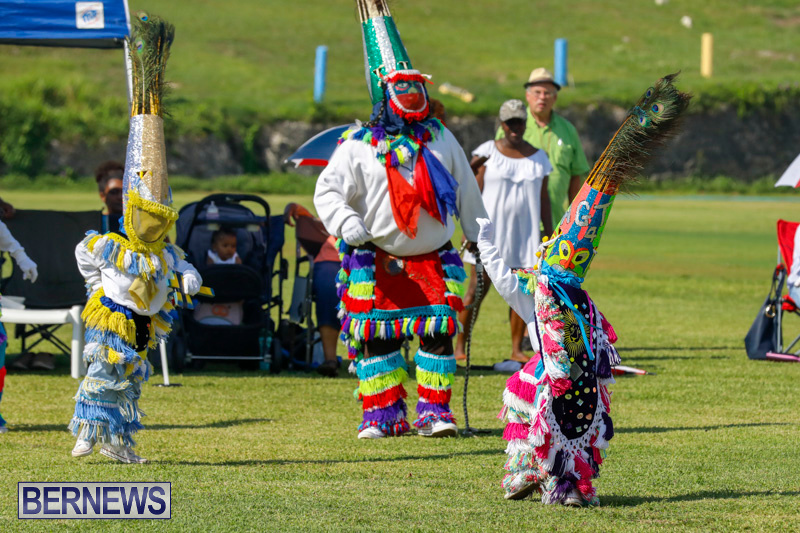 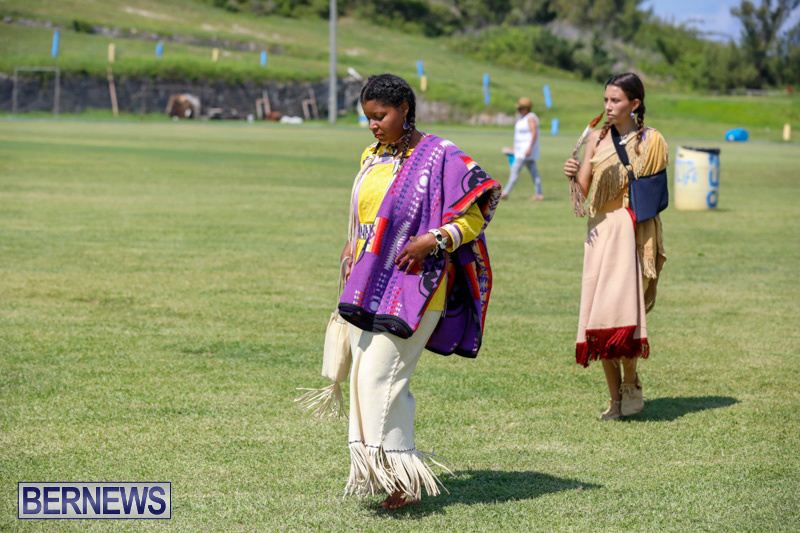 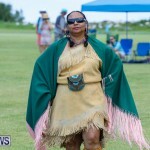 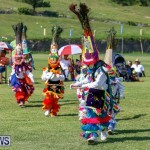 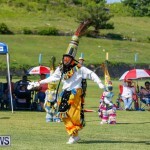 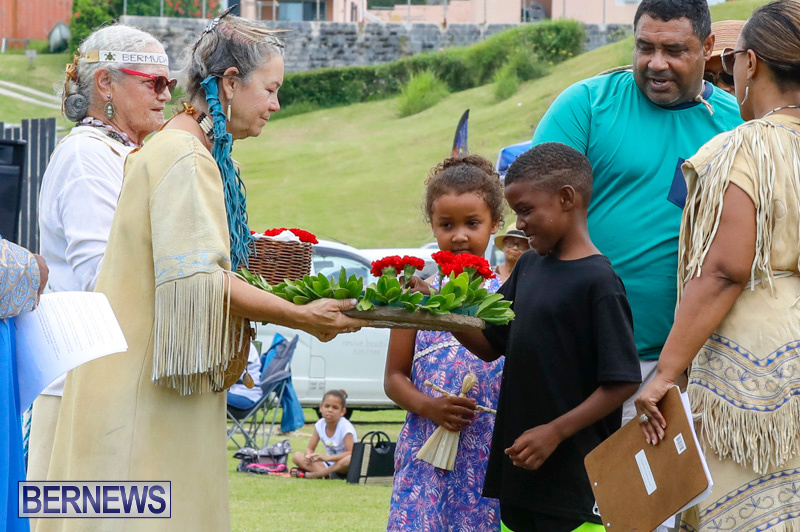 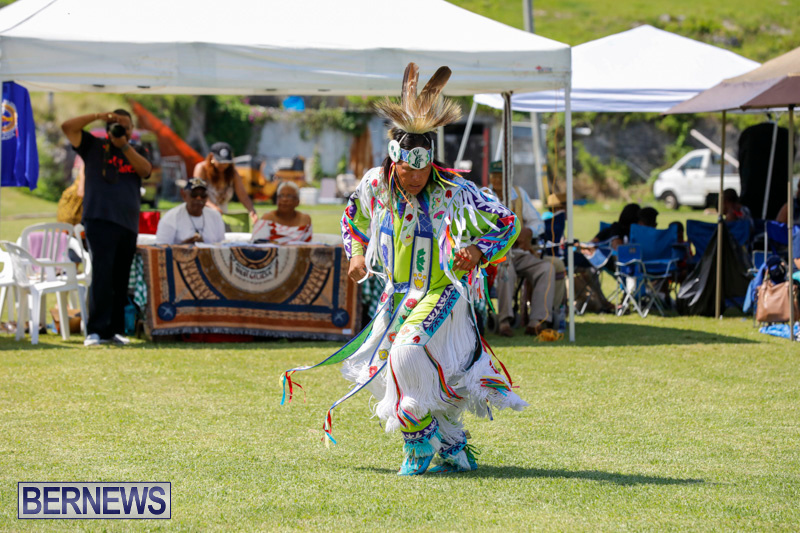 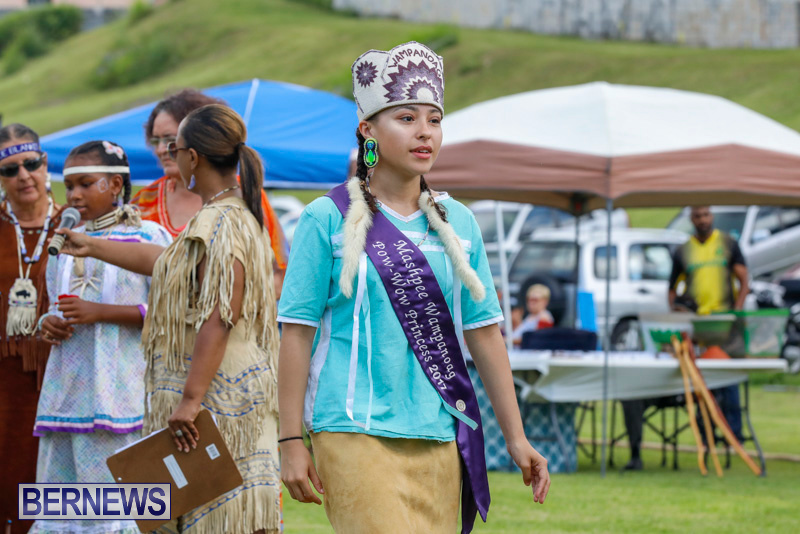 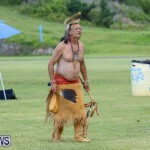 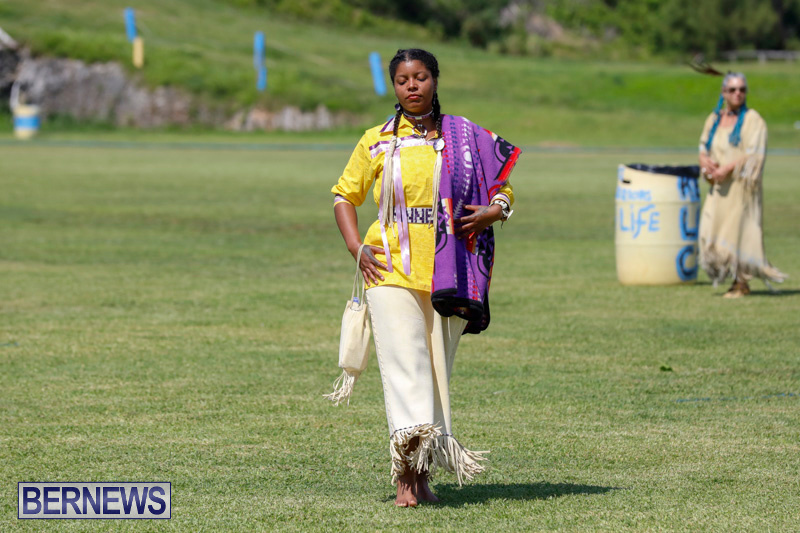 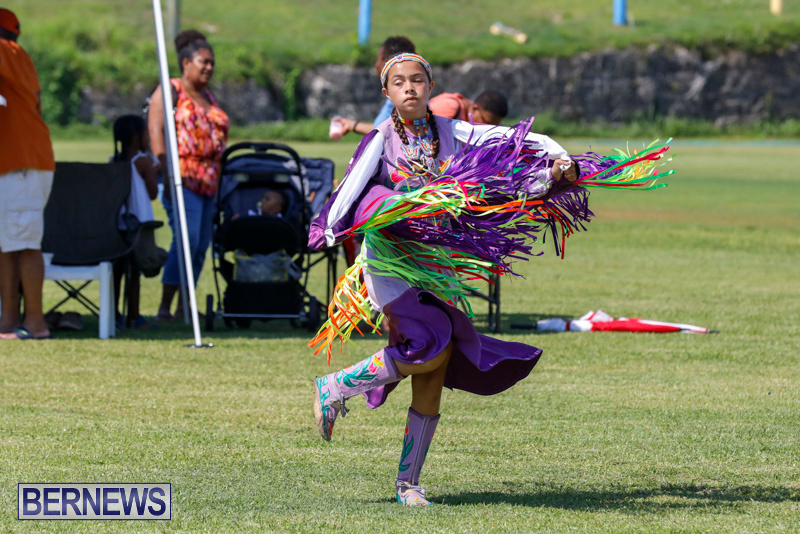 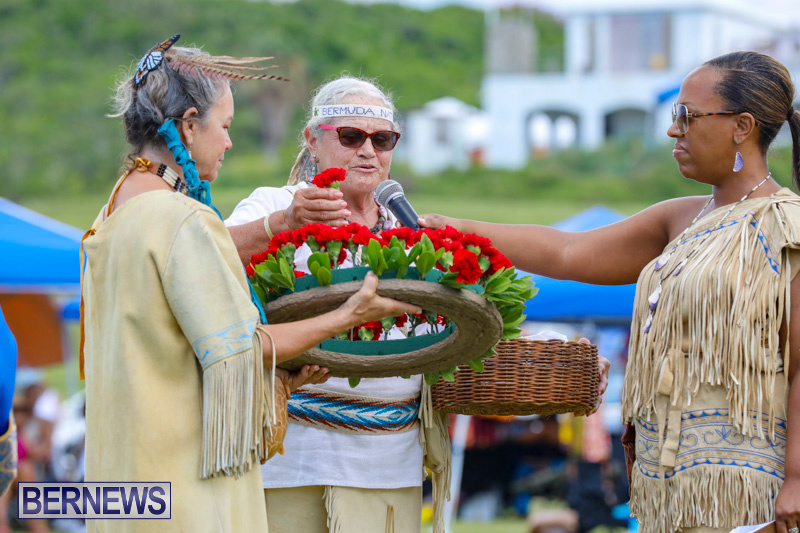 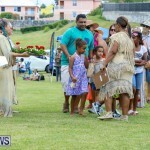 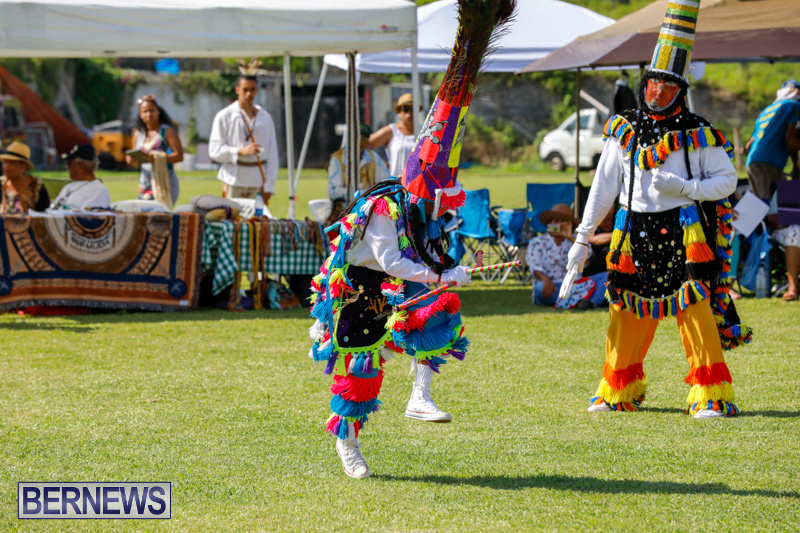 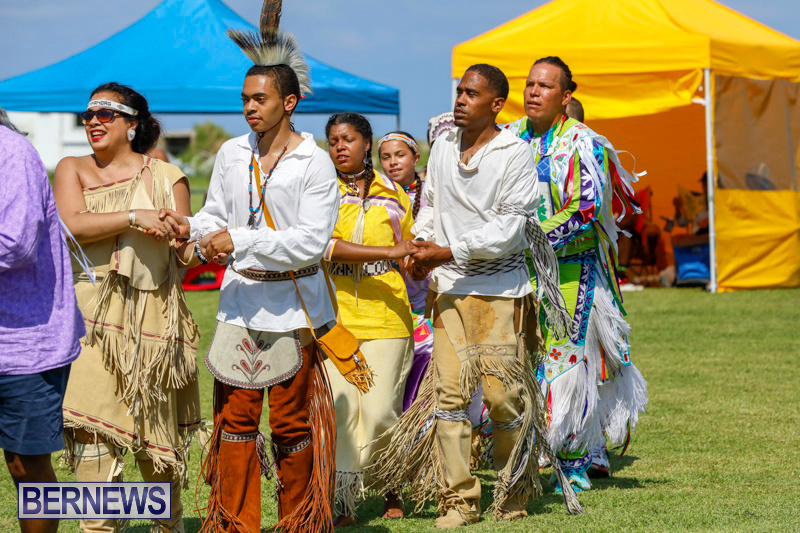 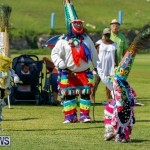 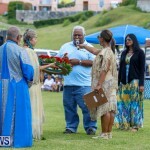 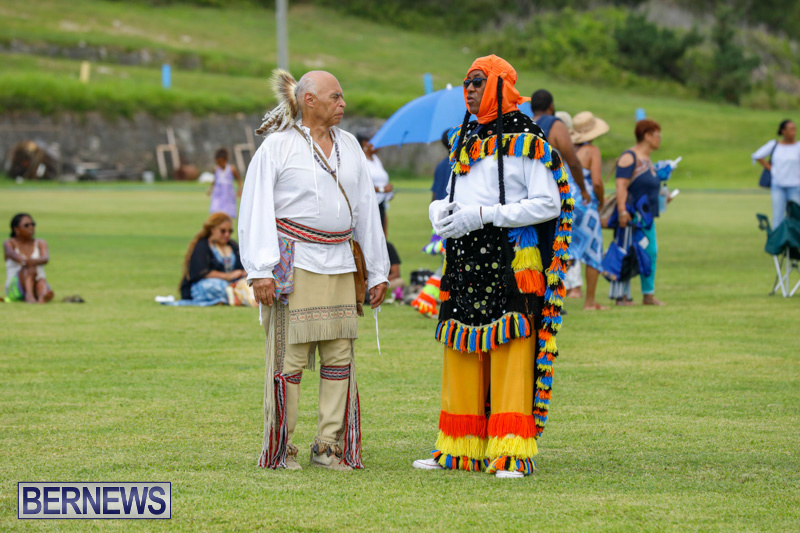 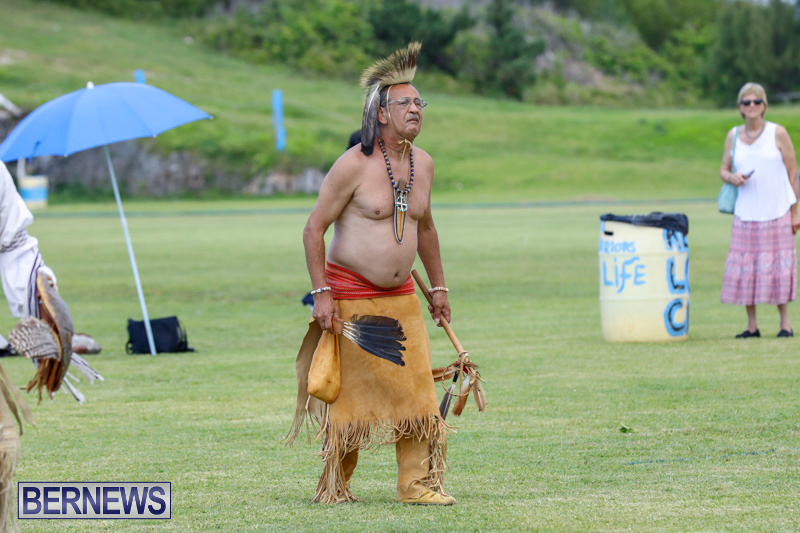 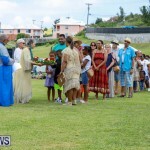 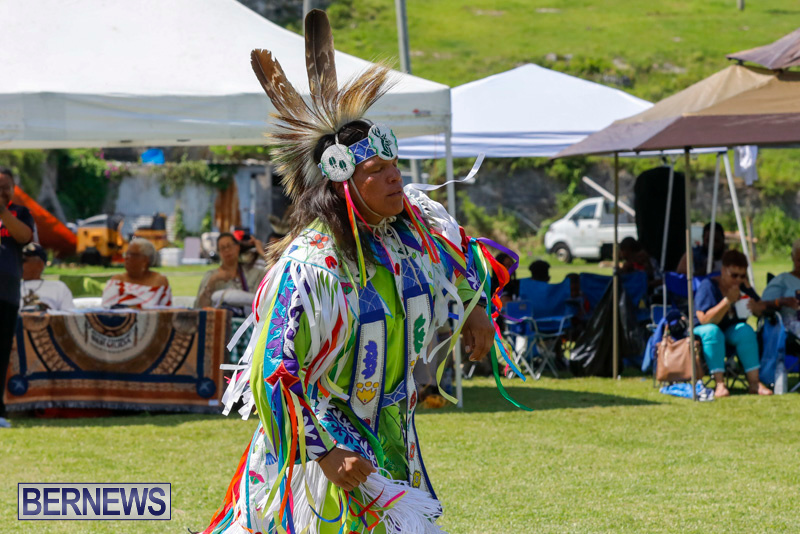 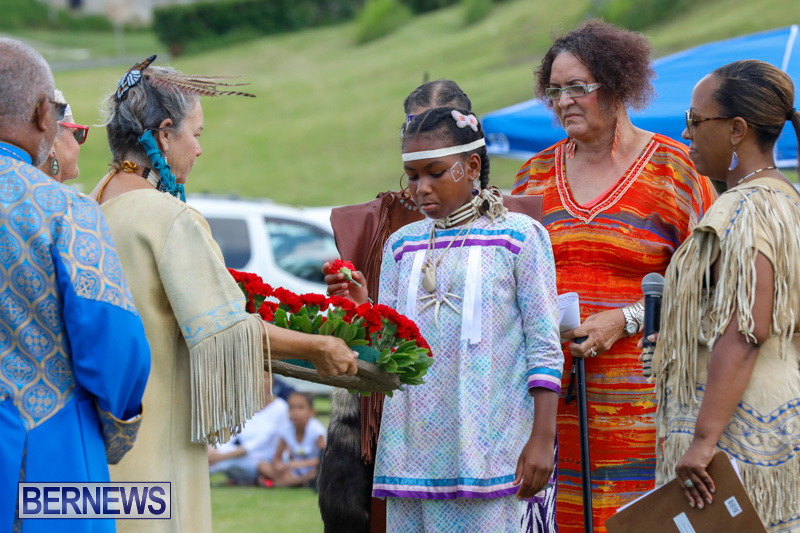 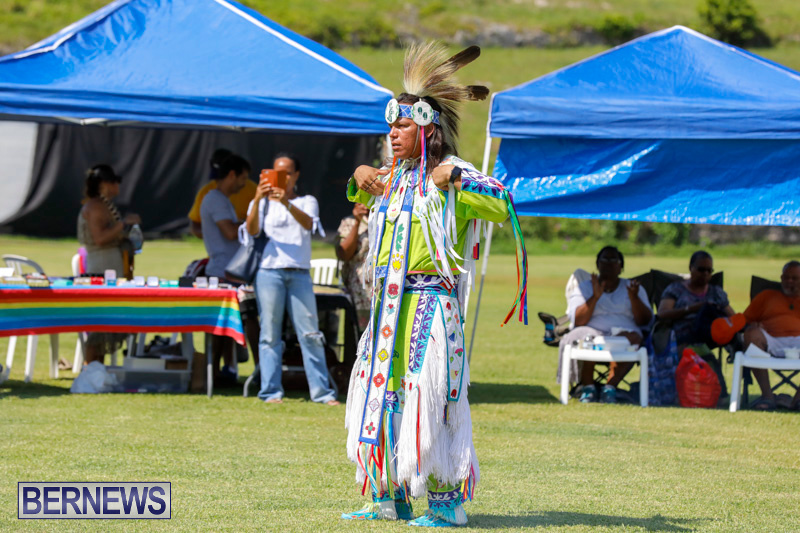 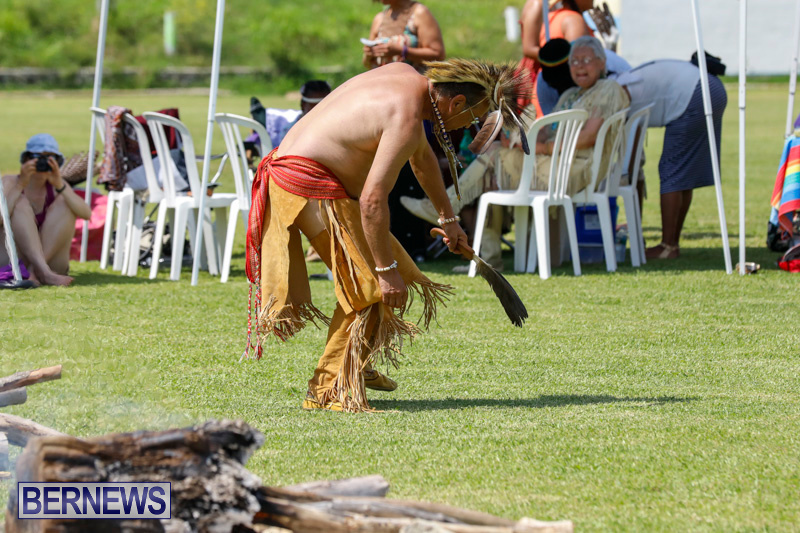 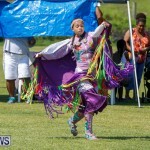 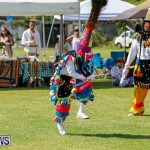 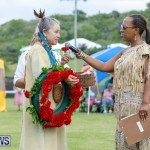 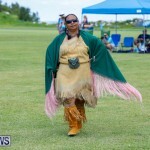 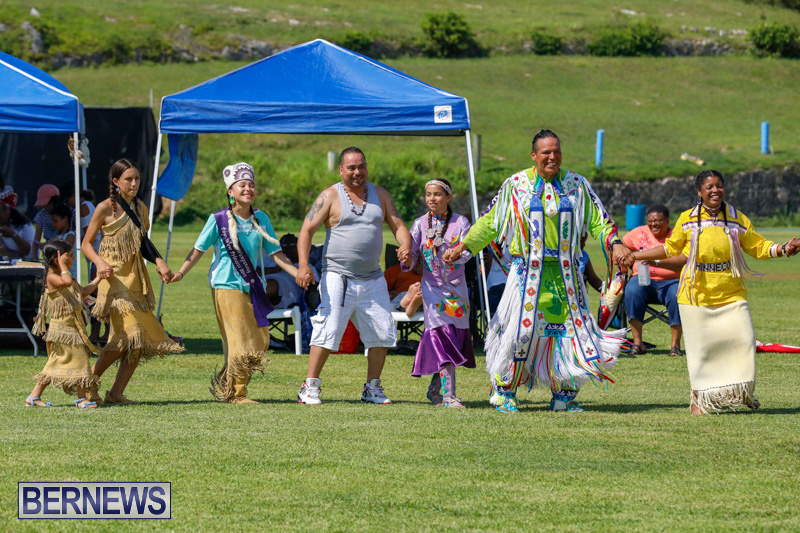 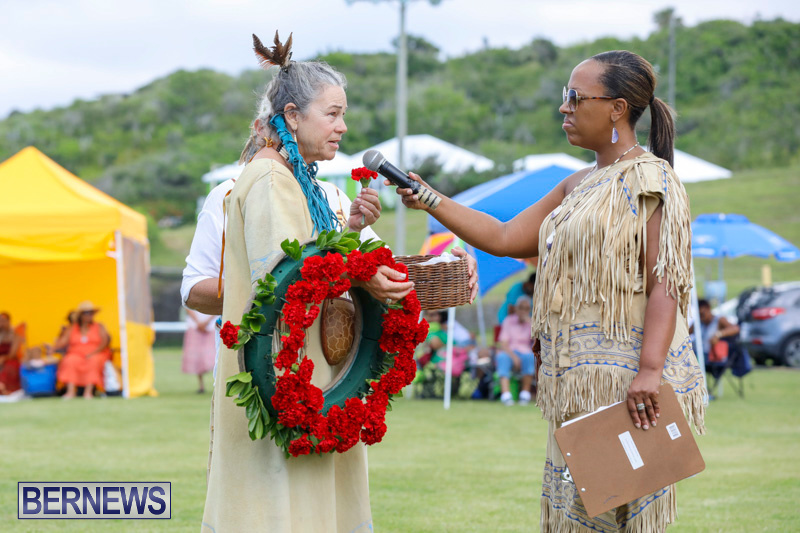 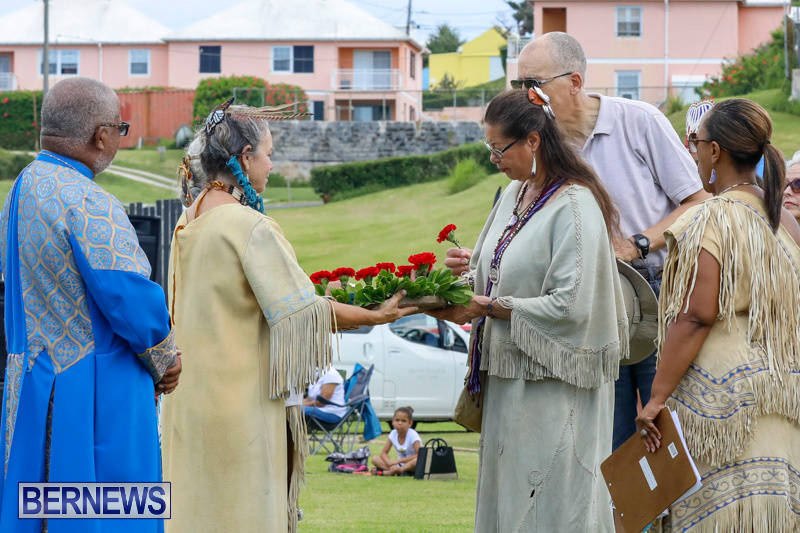 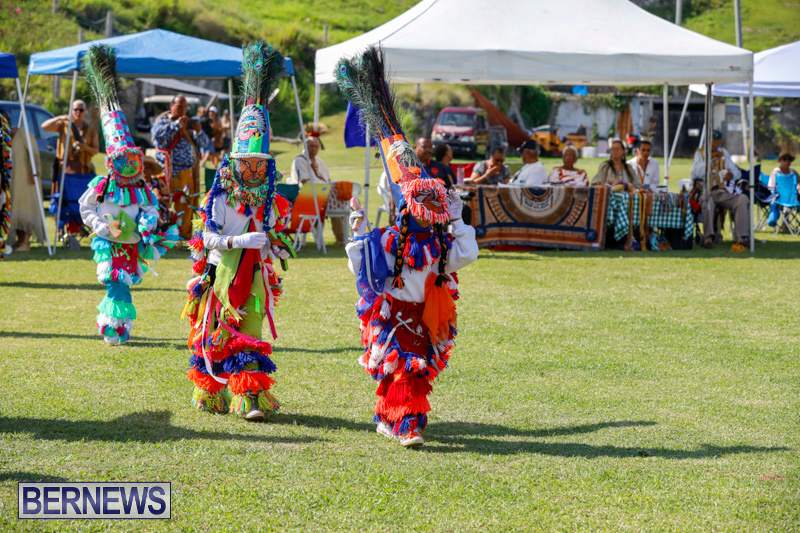 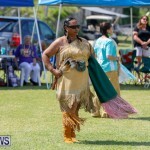 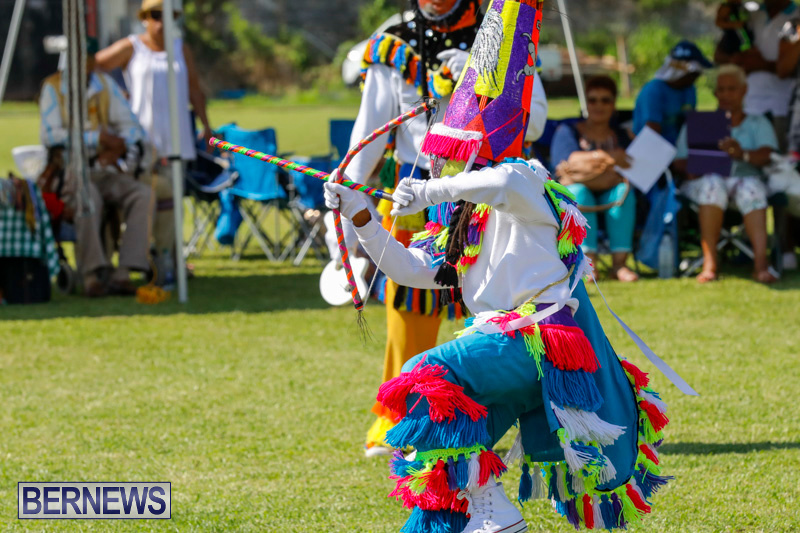 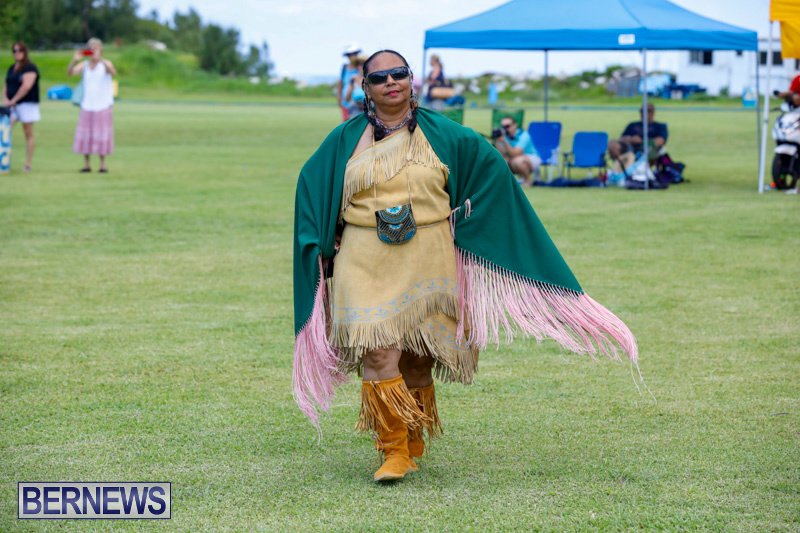 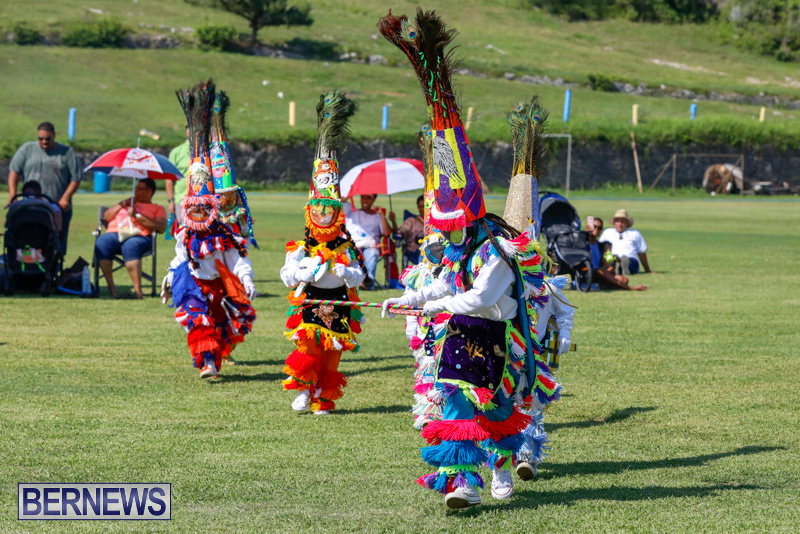 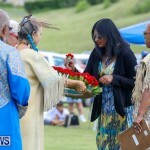 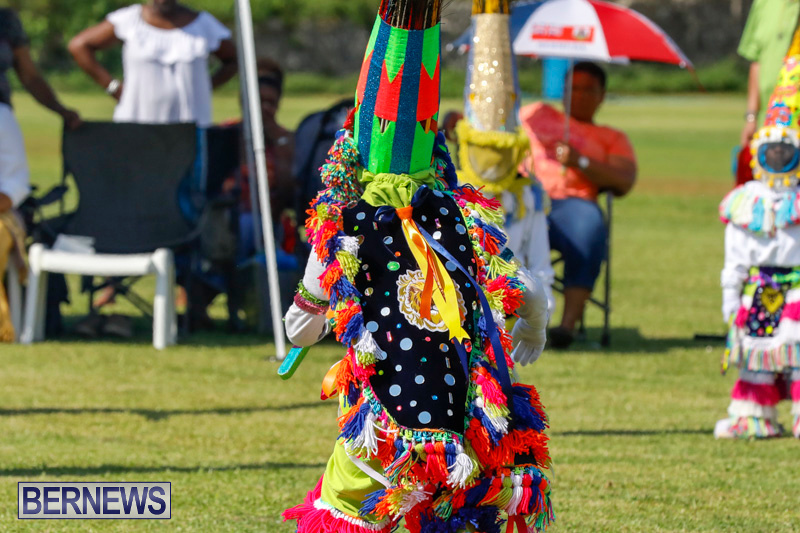 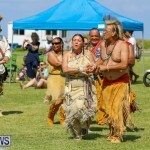 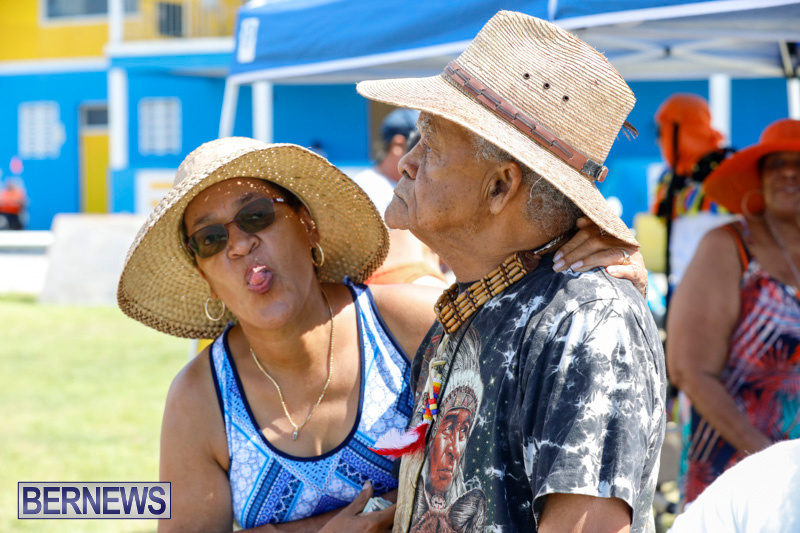 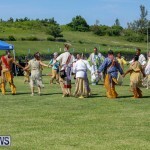 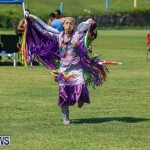 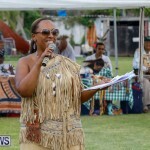 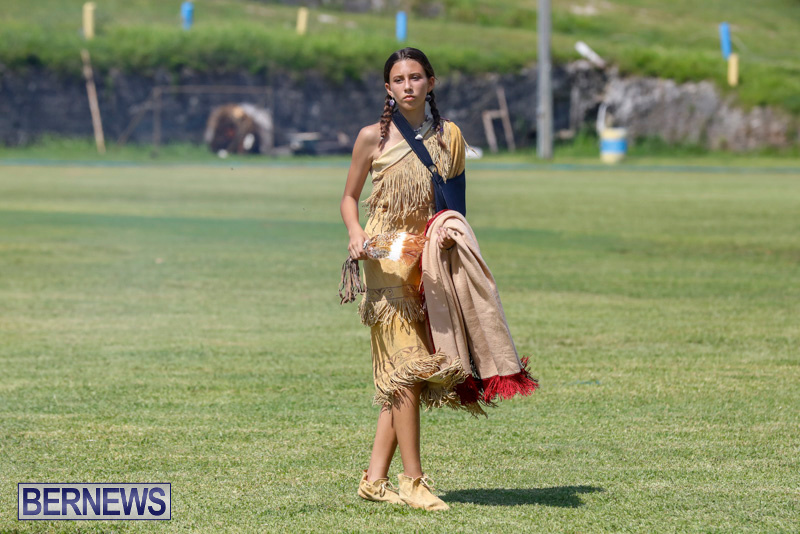 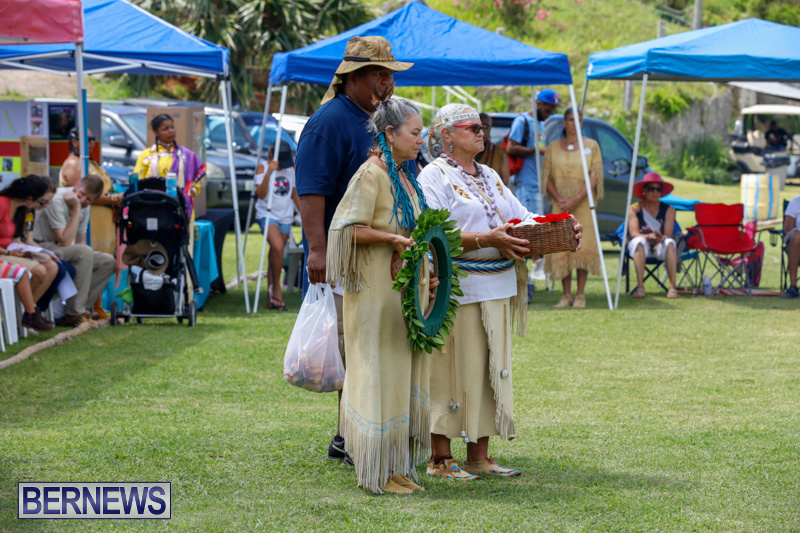 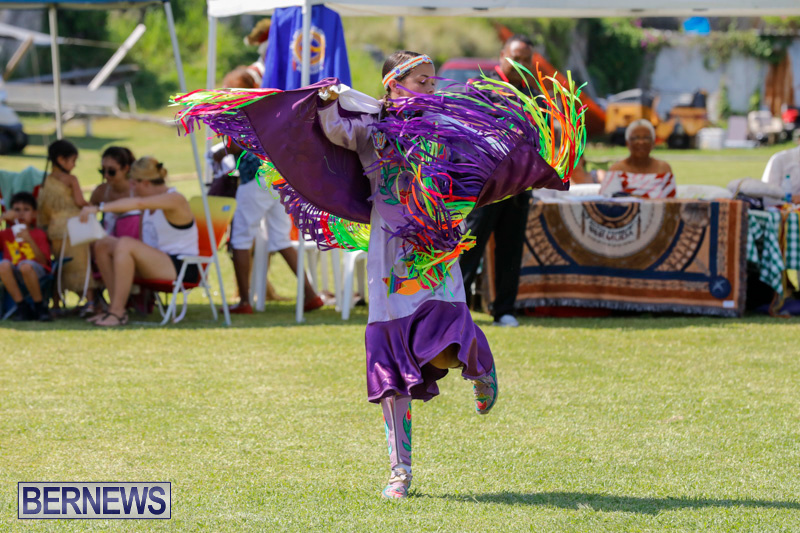 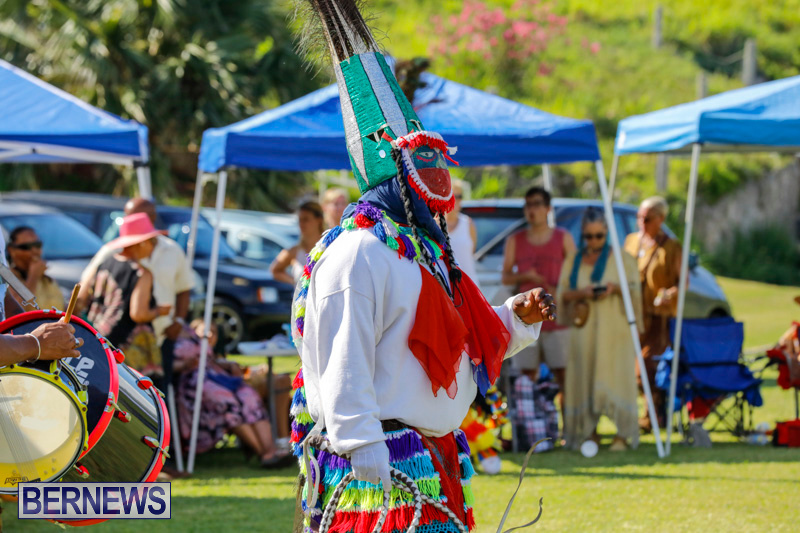 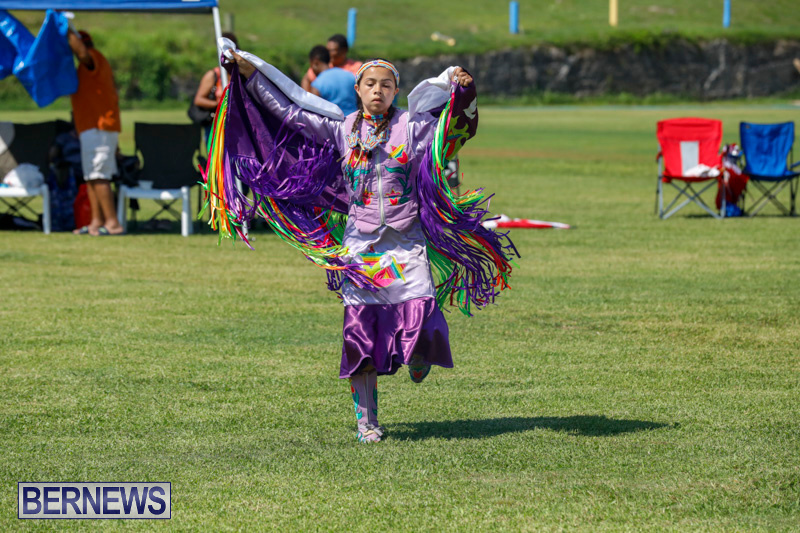 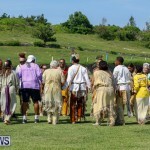 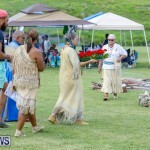 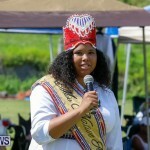 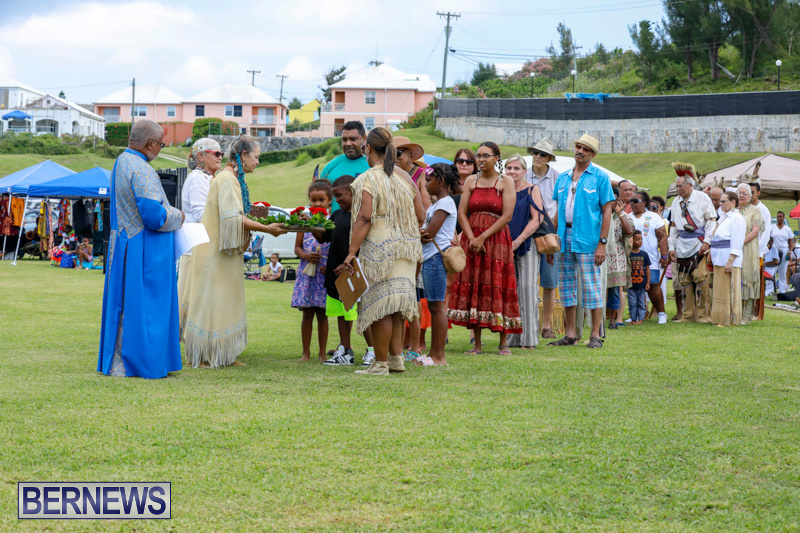 [Updated with photos] The St. David’s Islanders and native community will be hosting the Bermuda Pow Wow — “a celebration of our ancestors” — today [June 9] and Sunday [June 10] at the St. David’s Cricket Club Grounds in St. David’s. 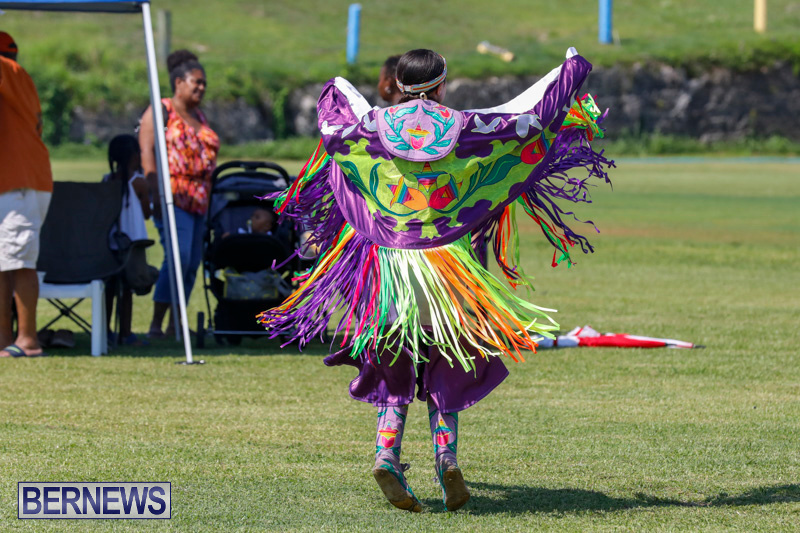 The event begins with the Grand Entry which is a sacred procession that officially opens the Pow Wow, in which Tribal flags are carried followed by head dancers, tribal dignitaries, elders and the rest of the participants in order of regalia worn; and in keeping with tradition, filming of the Grand Entry is restricted. 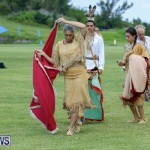 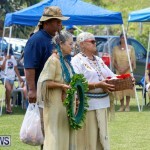 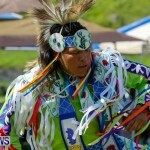 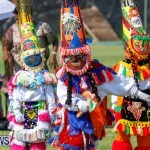 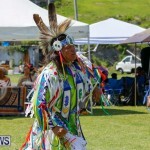 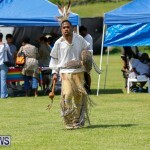 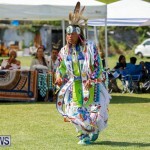 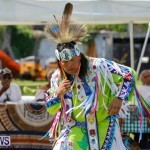 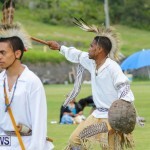 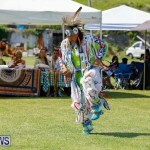 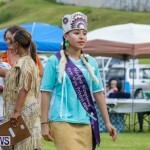 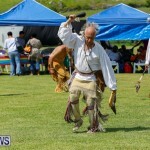 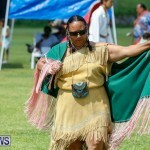 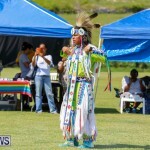 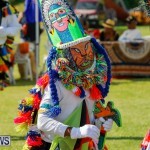 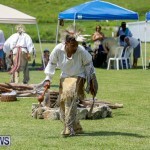 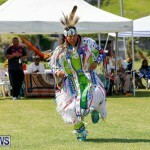 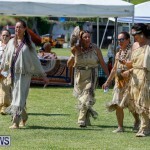 The event will continue with the Libation, and the Intertribal, Social and Exhibition dances.